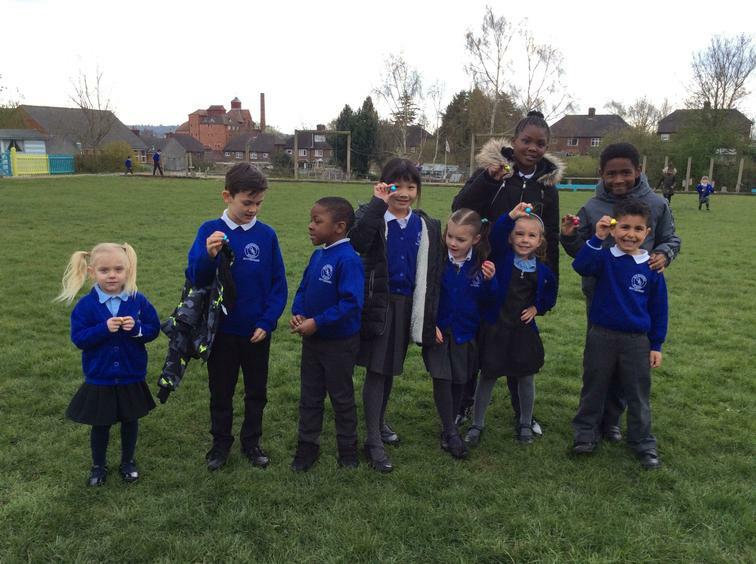 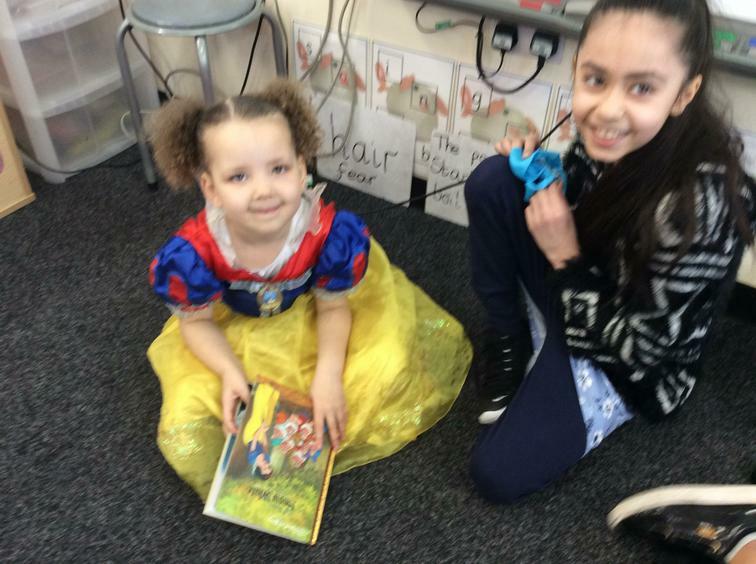 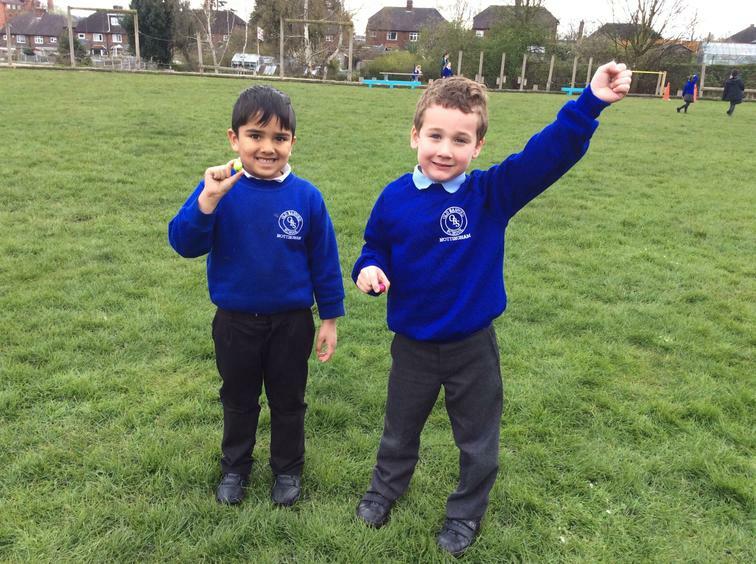 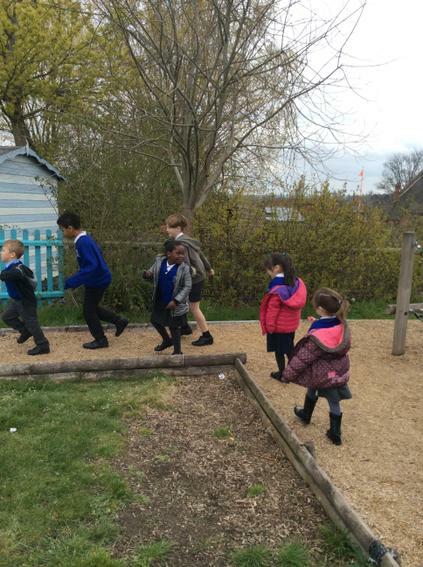 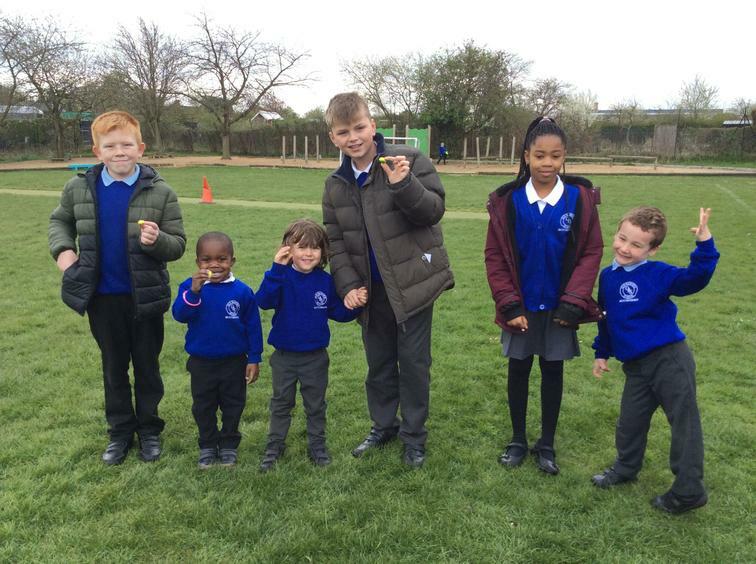 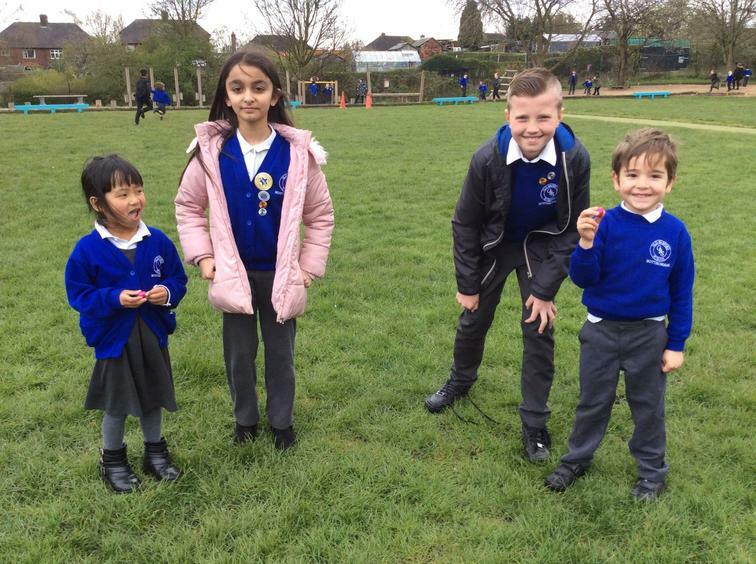 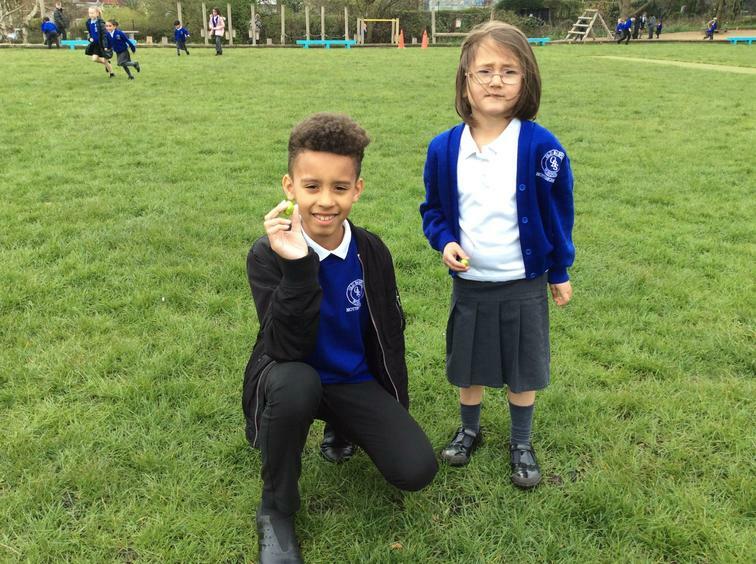 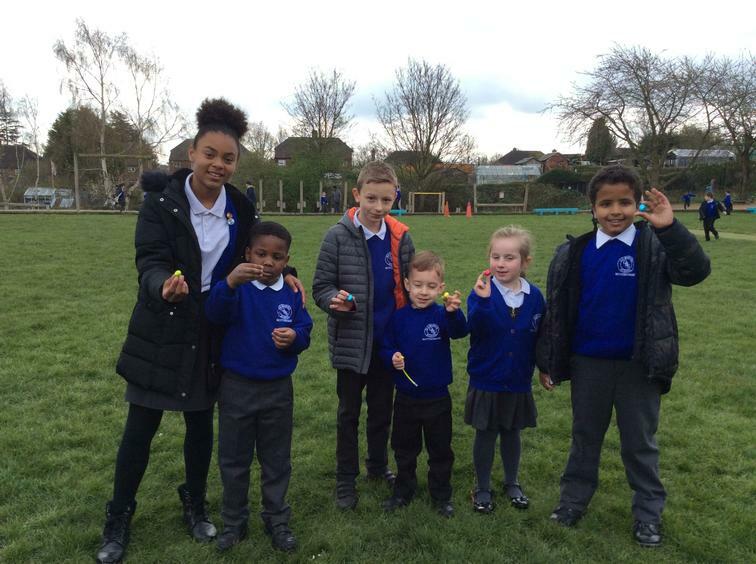 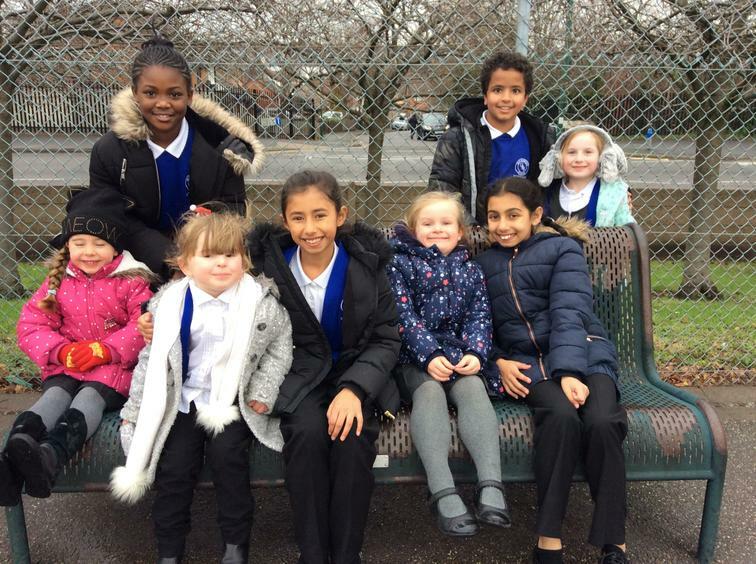 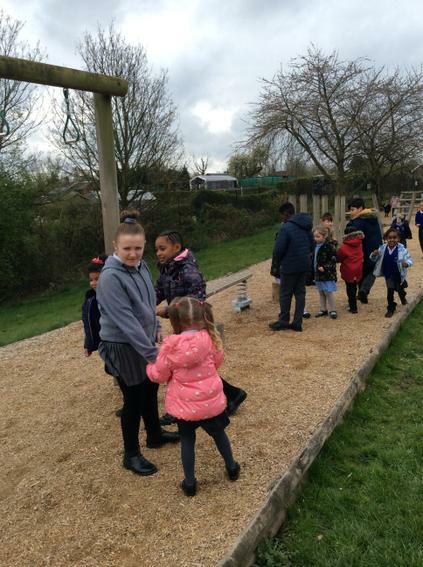 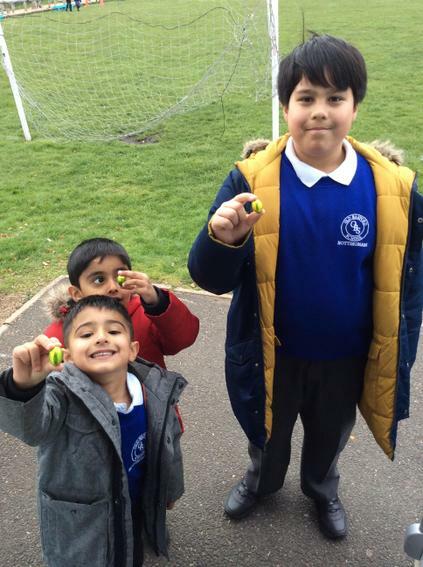 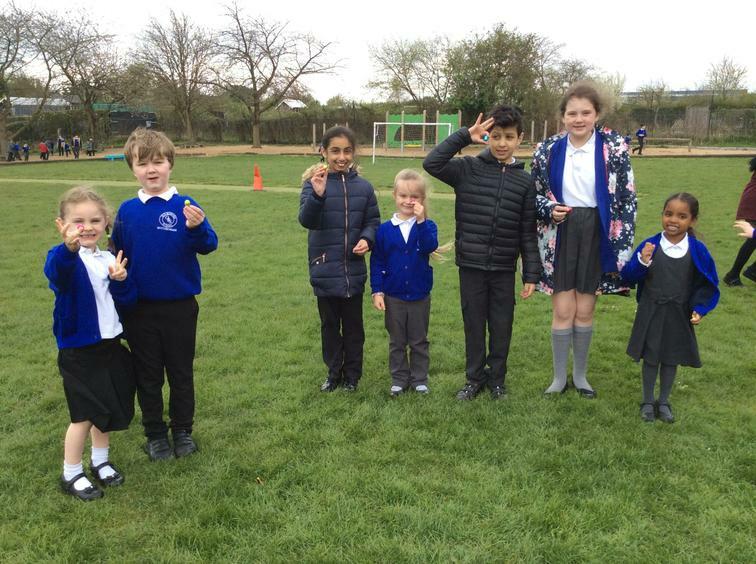 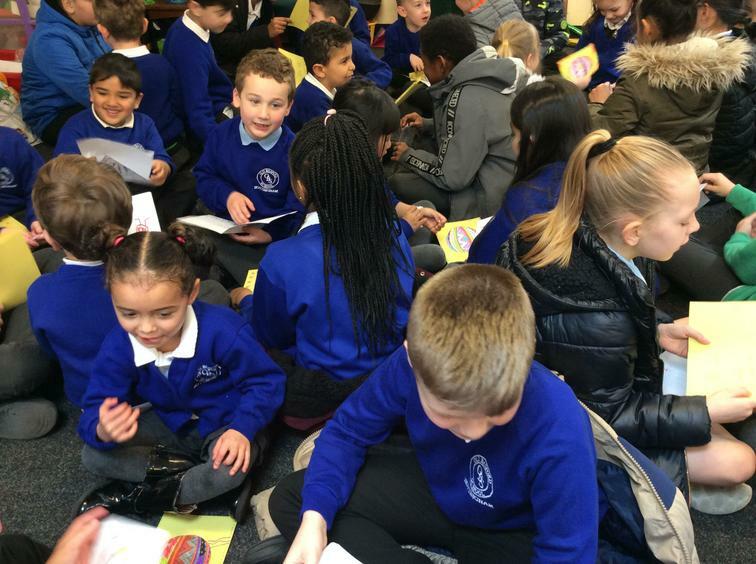 We enjoyed a lovely Easter egg hunt with our Amigos today, the chocolate was definitely a winner! 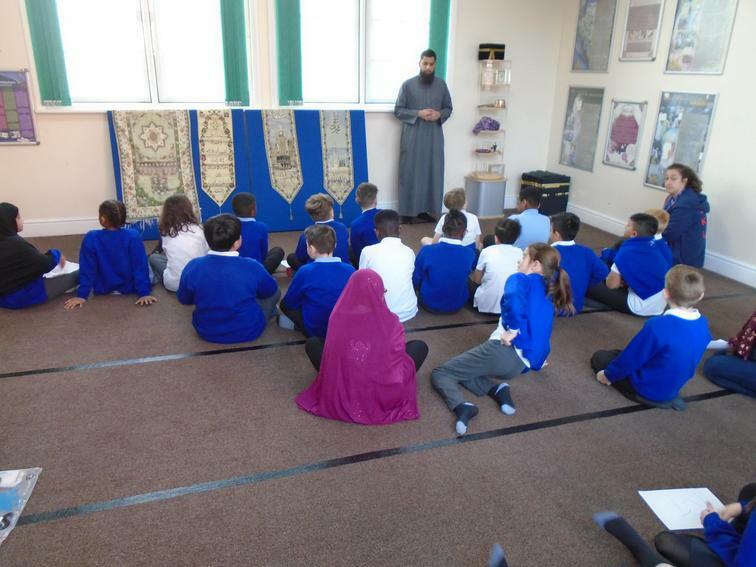 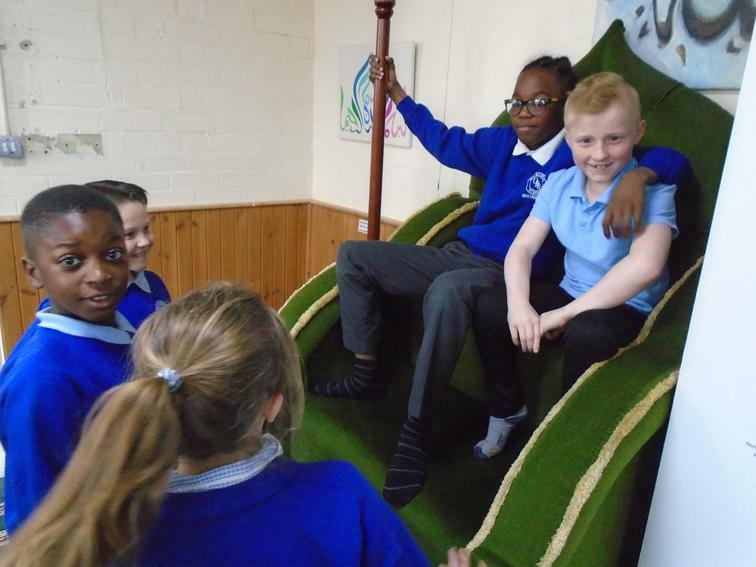 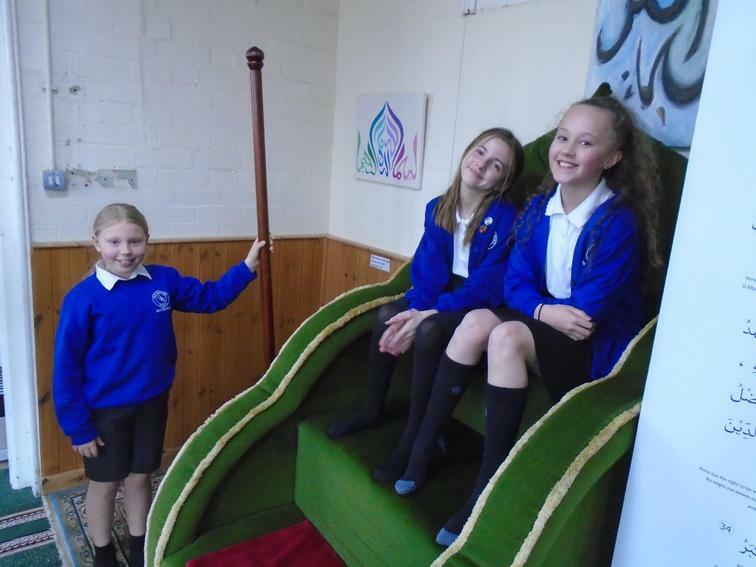 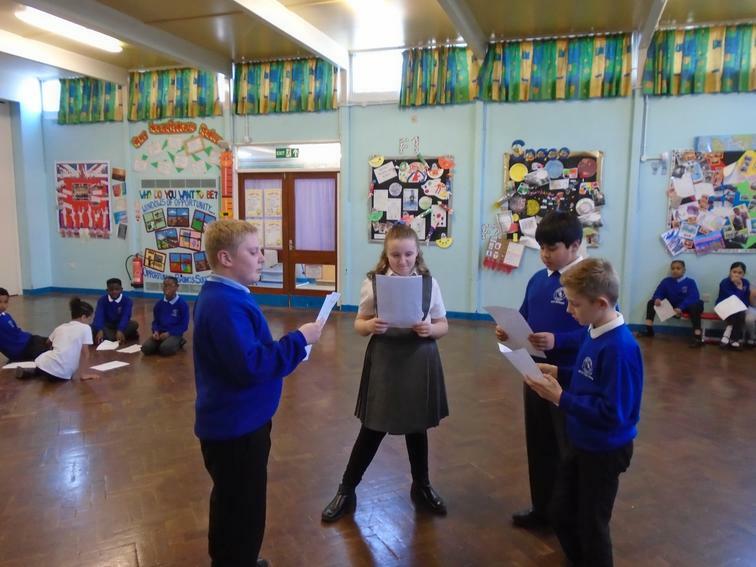 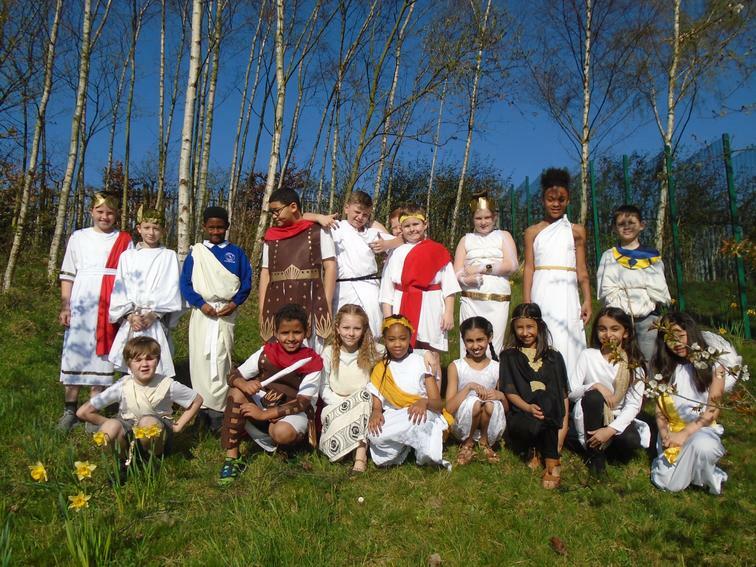 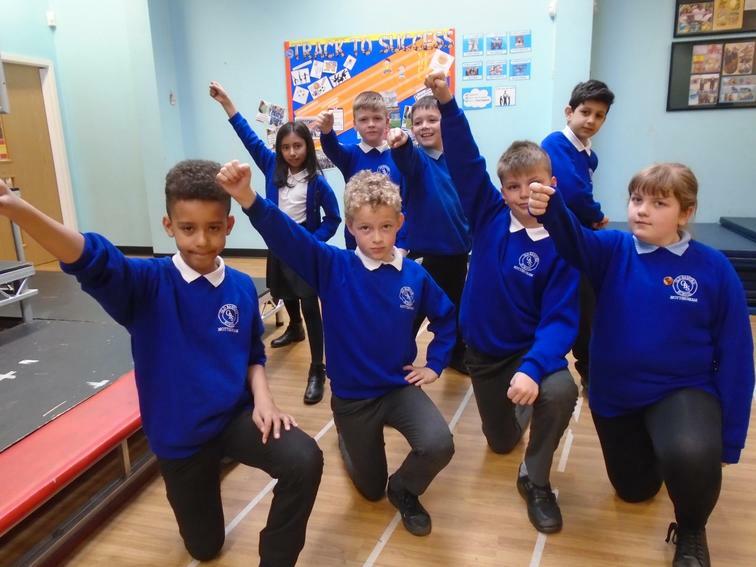 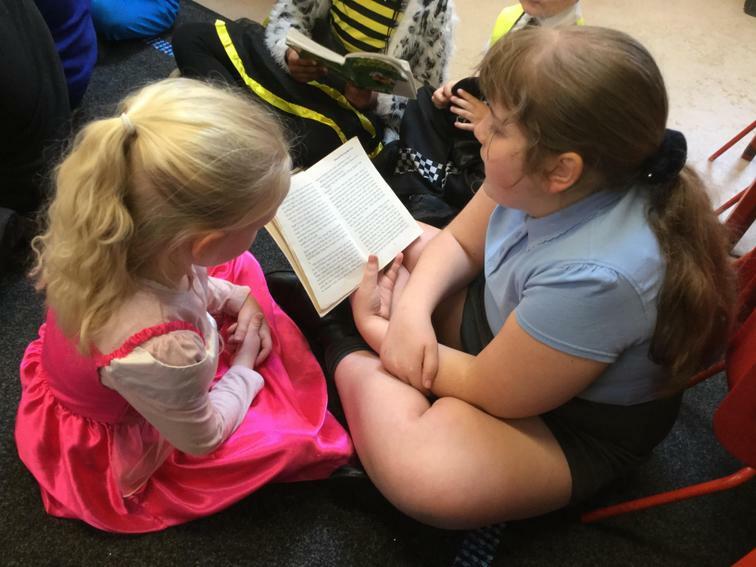 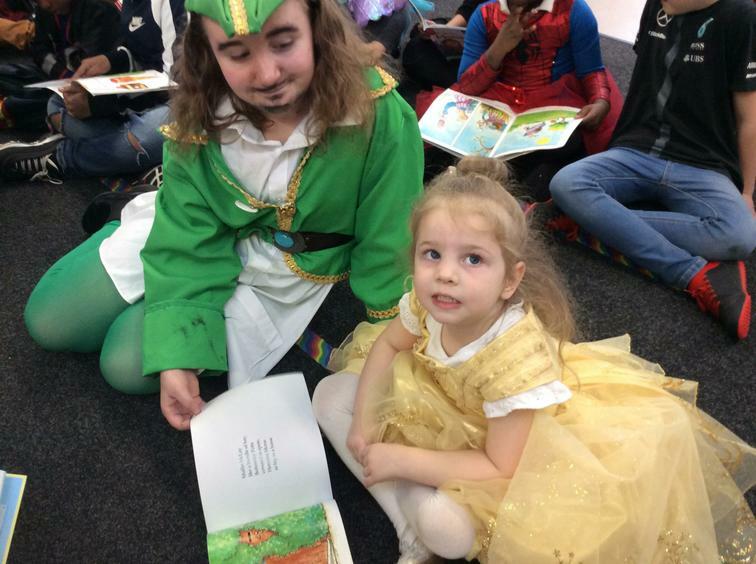 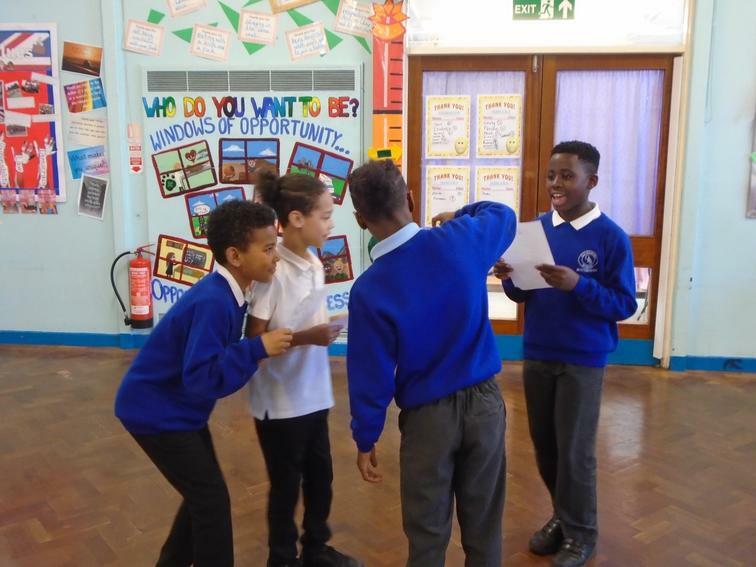 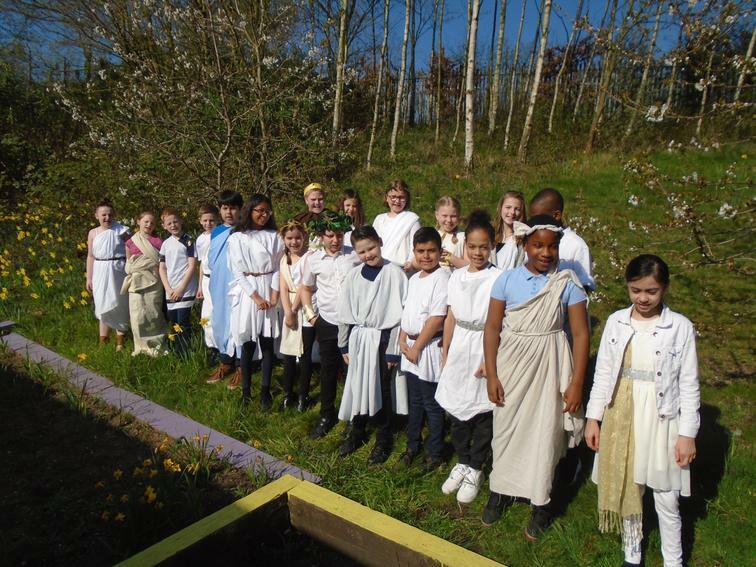 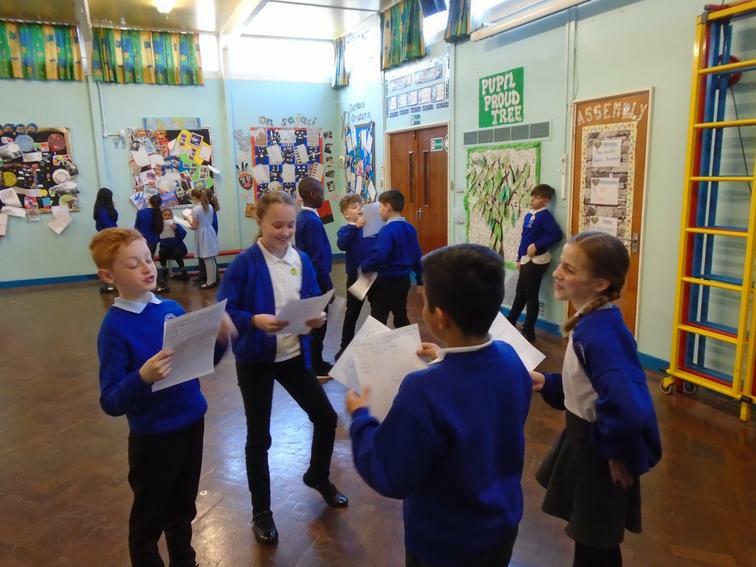 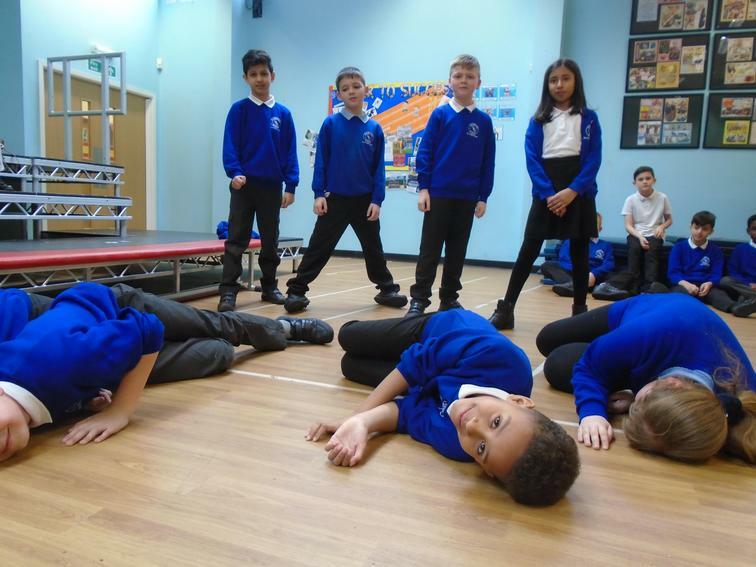 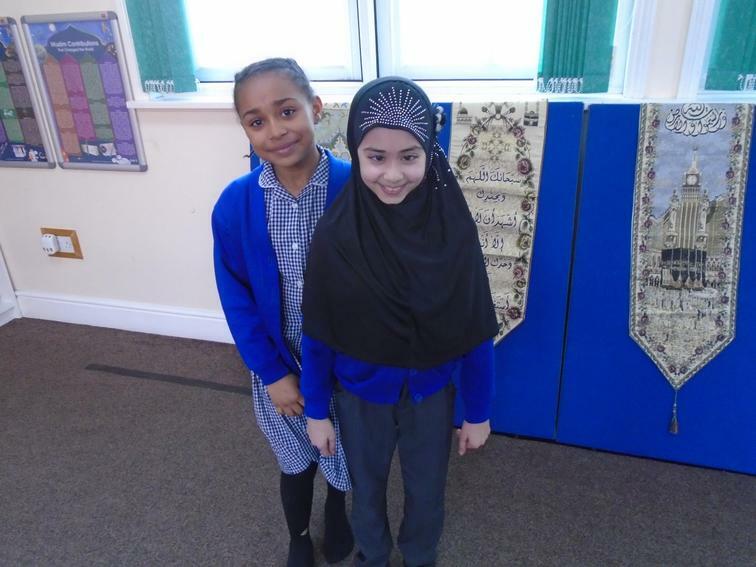 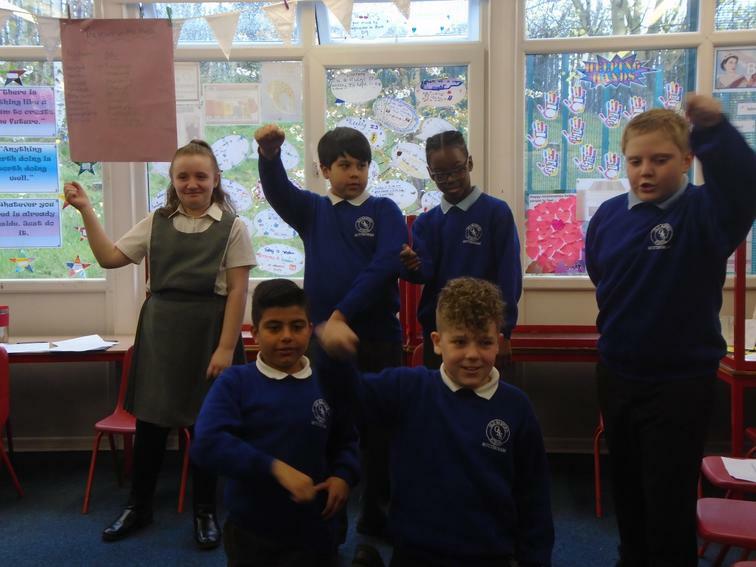 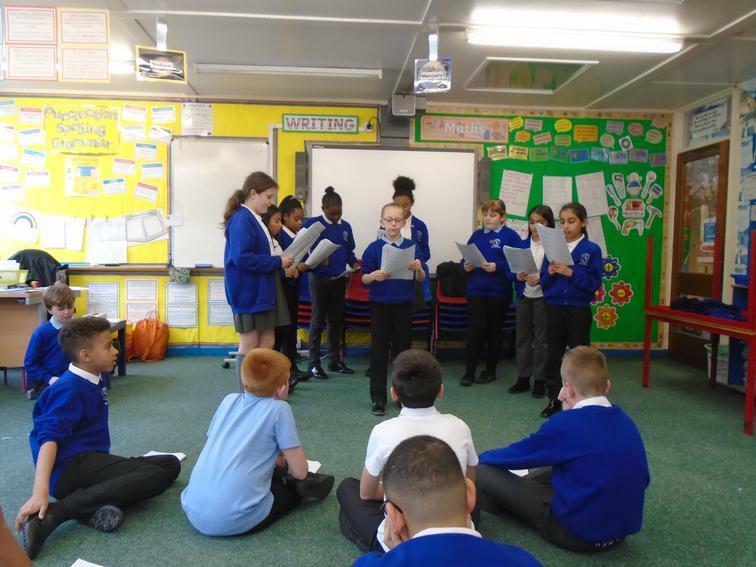 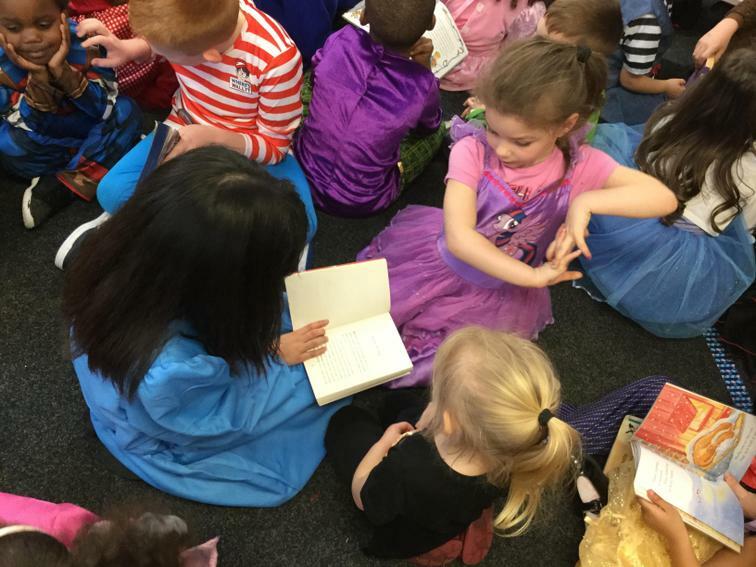 We have enjoyed getting to know the story of Romeo and Juliet and have been lucky enough to have had a drama practitioner spend the day in Year 5. 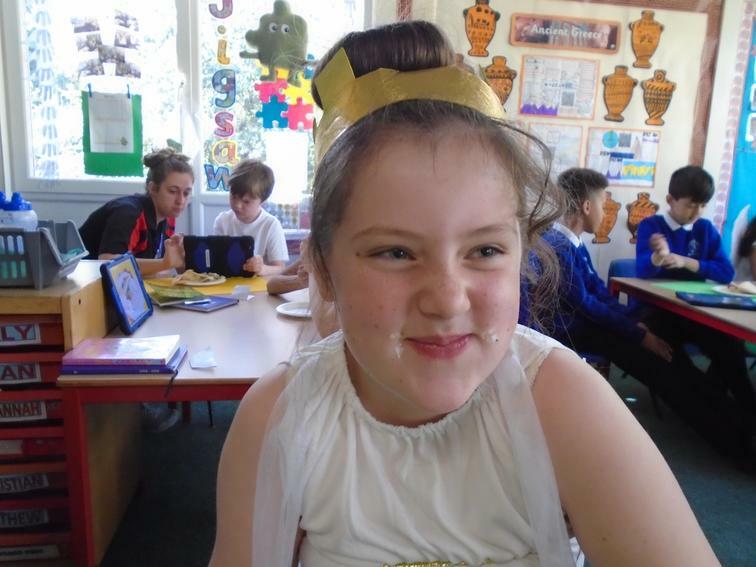 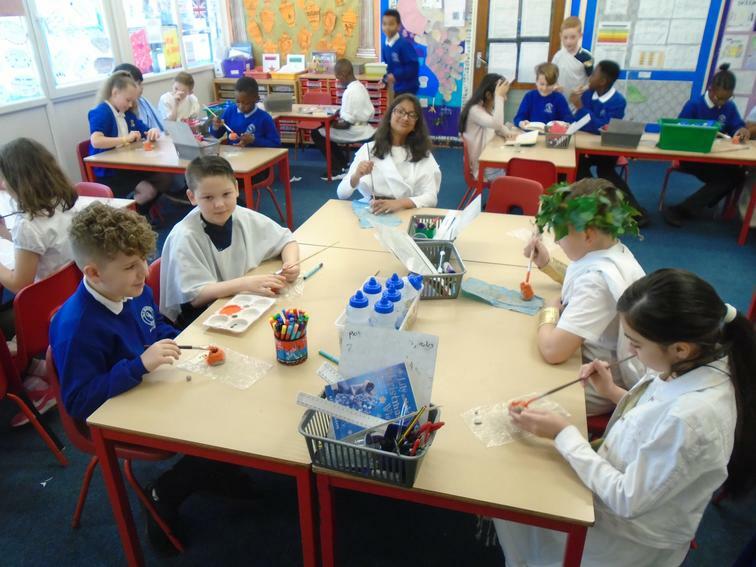 Our Topic for Spring Term 2 is Ancient Greece. 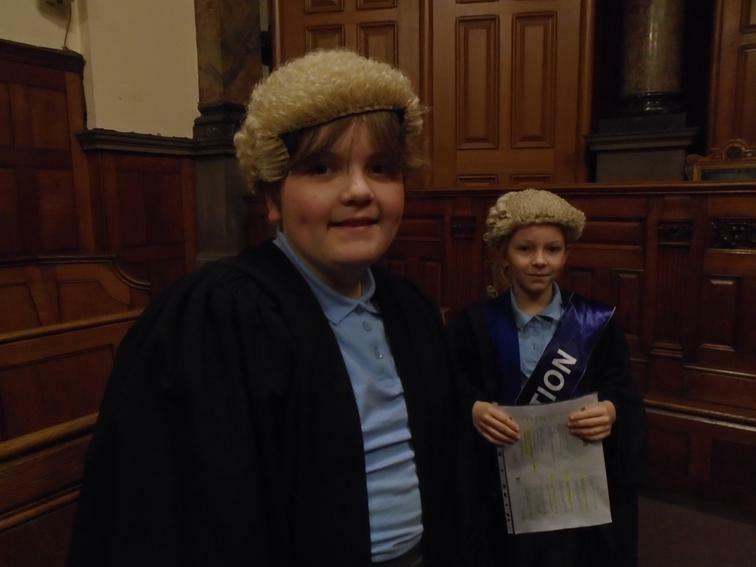 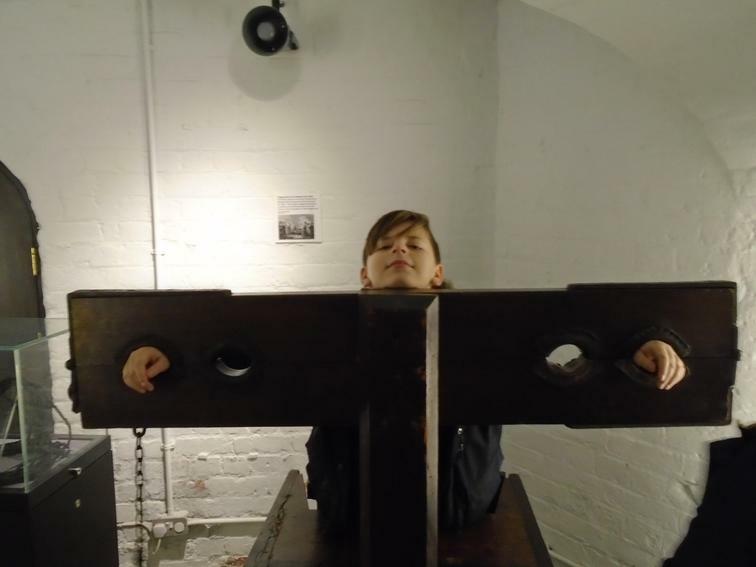 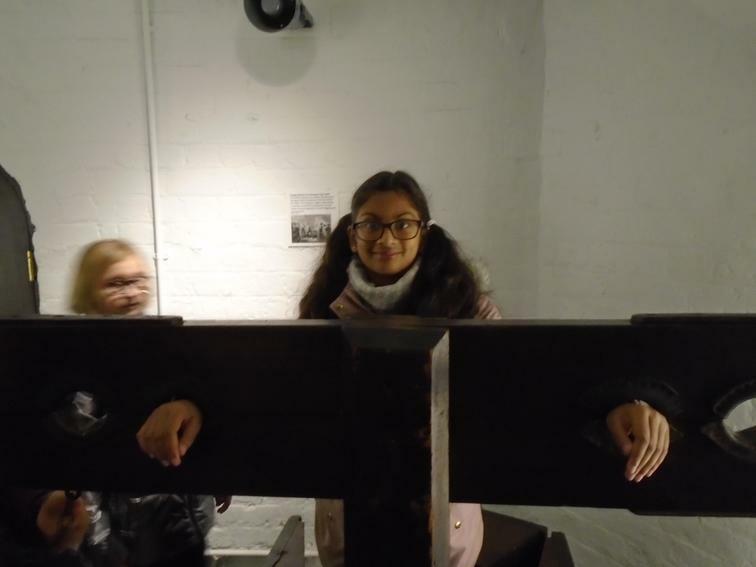 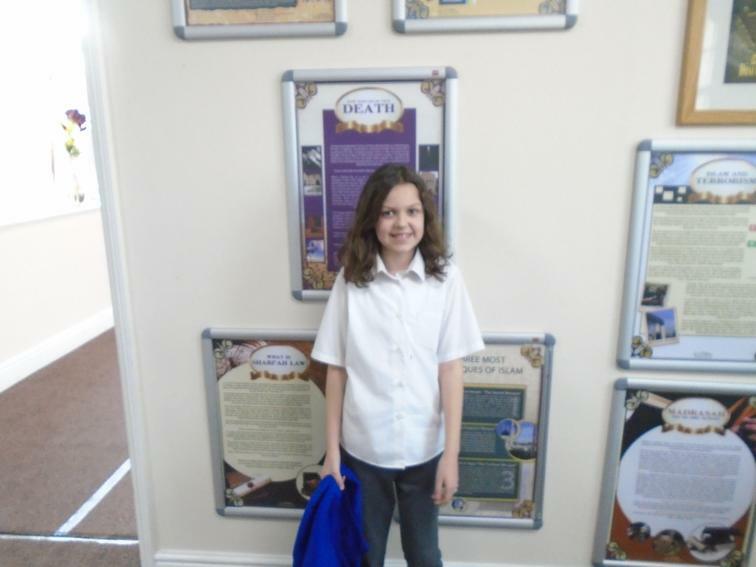 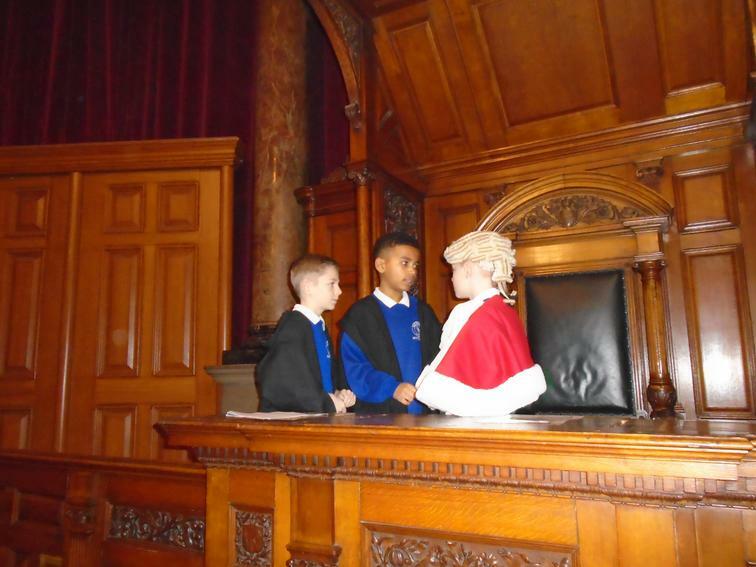 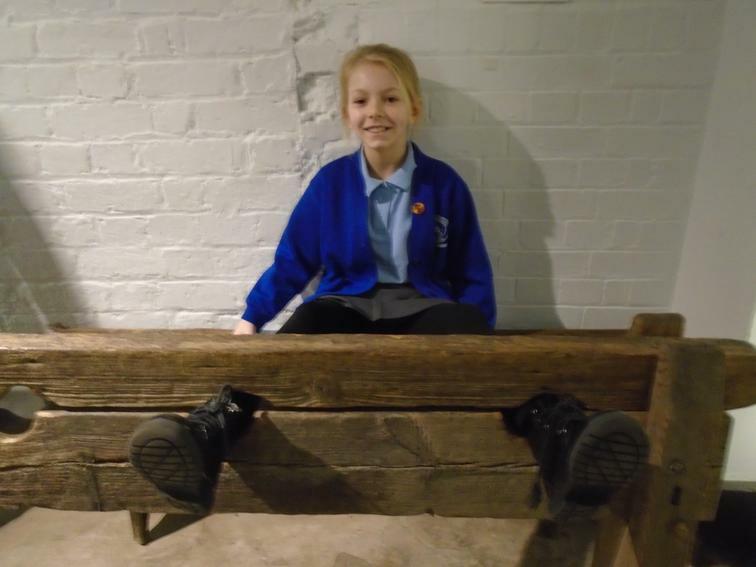 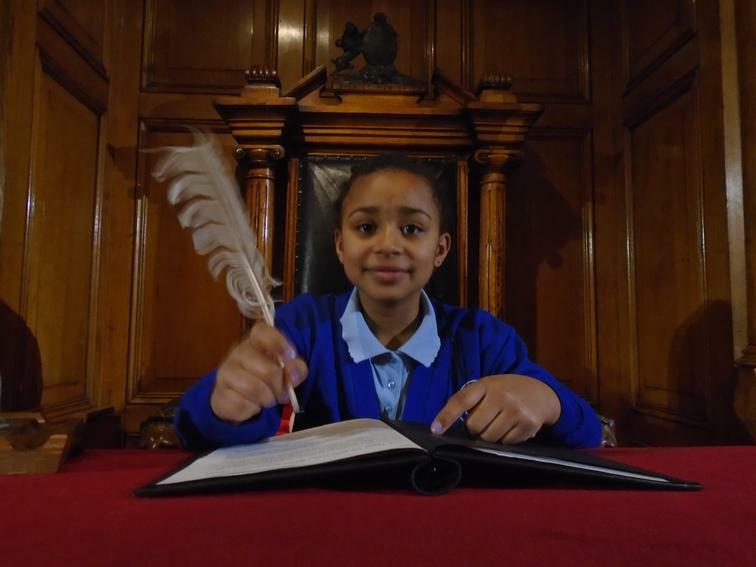 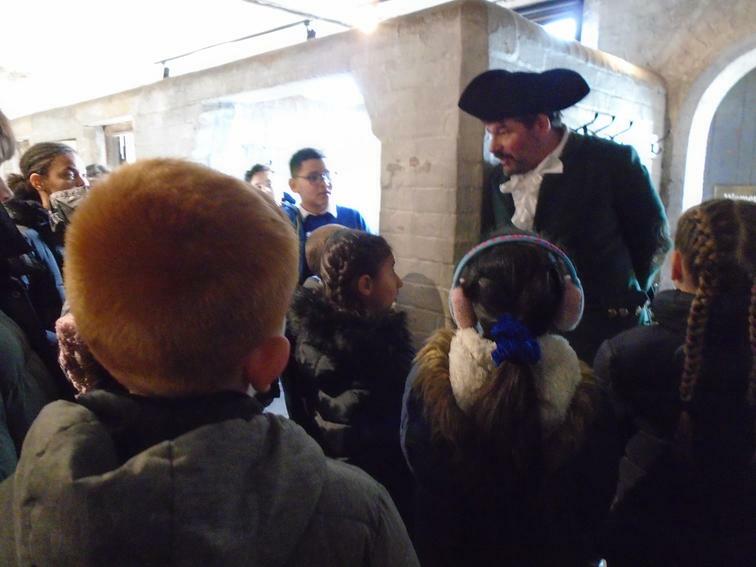 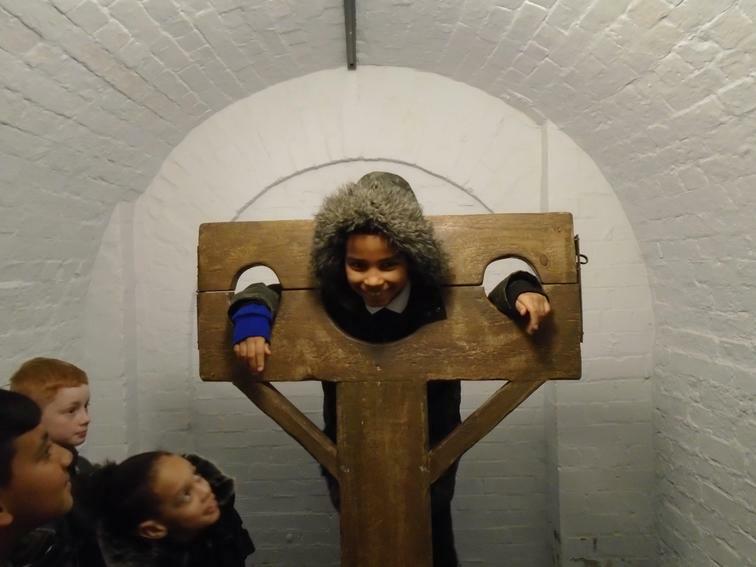 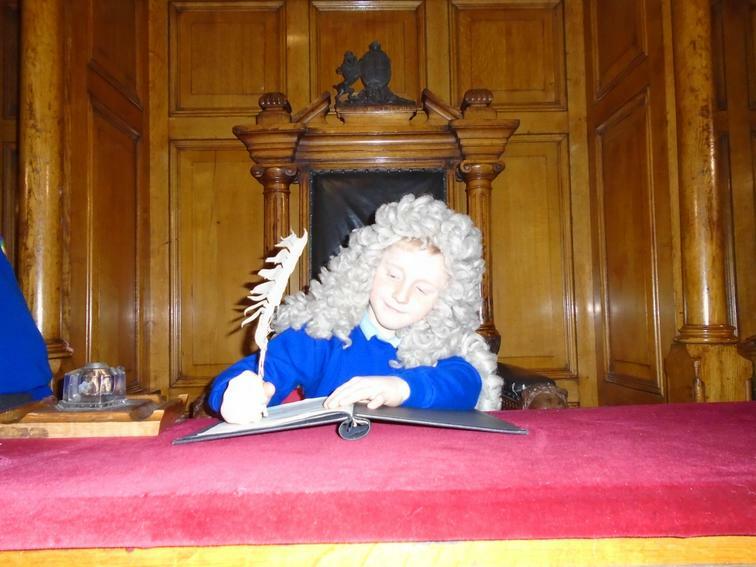 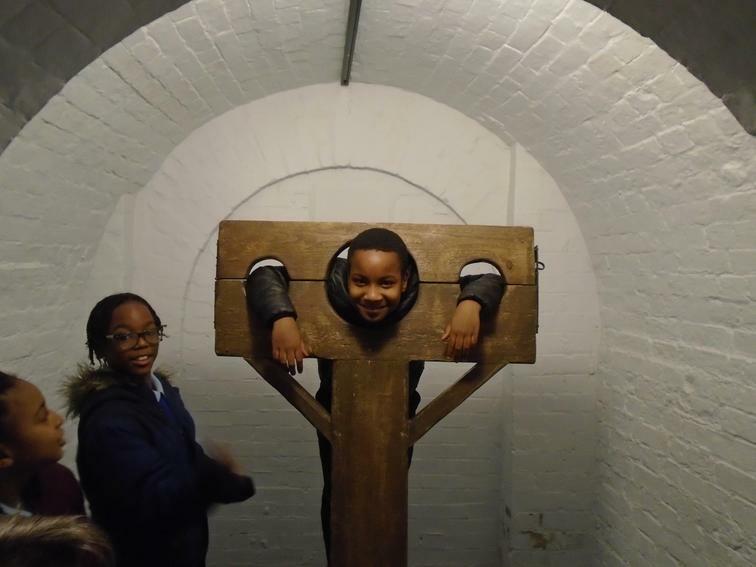 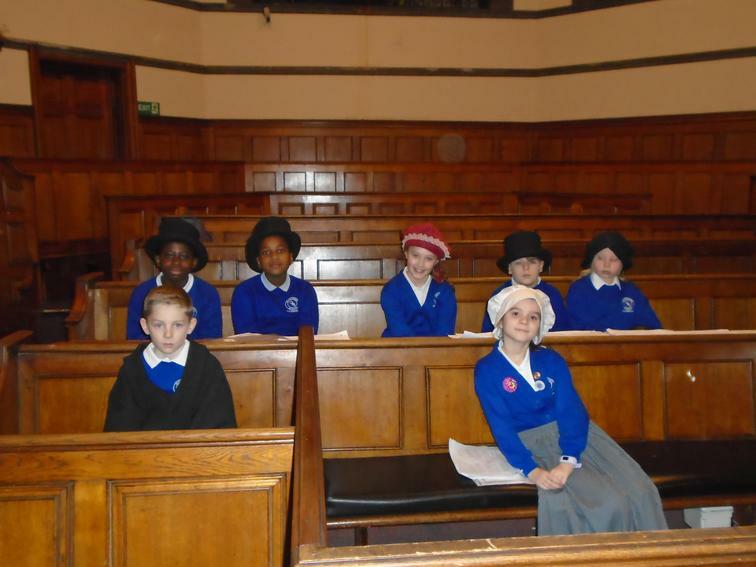 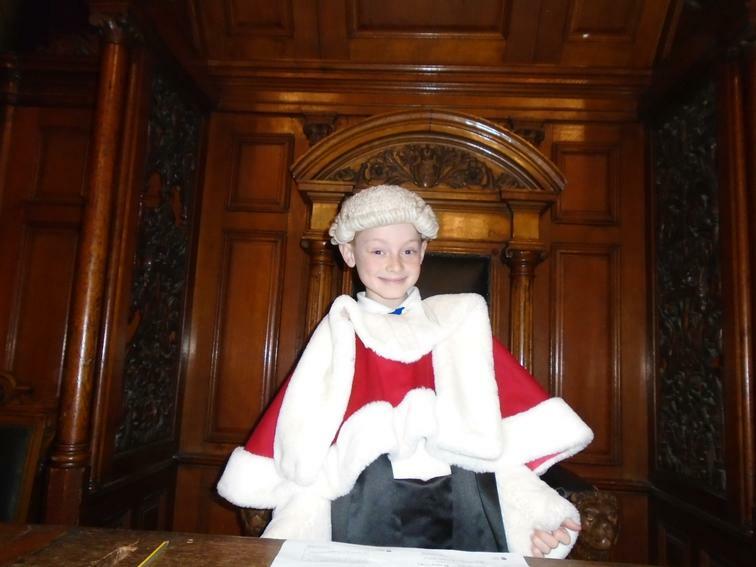 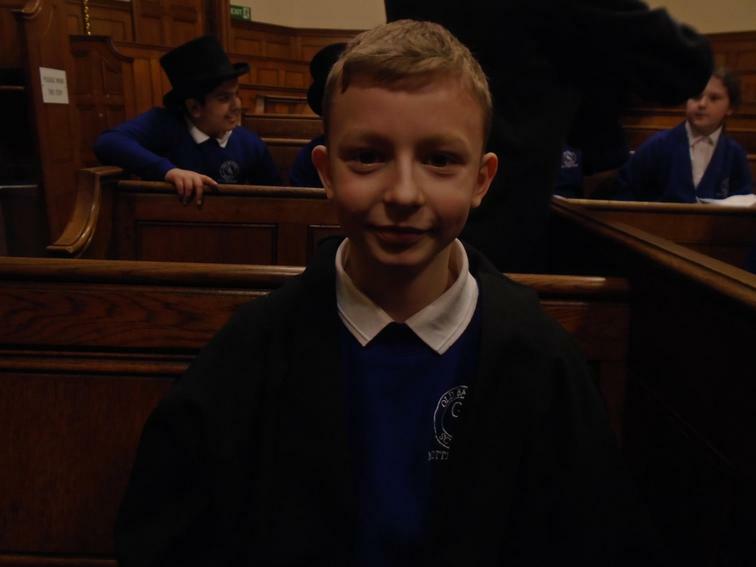 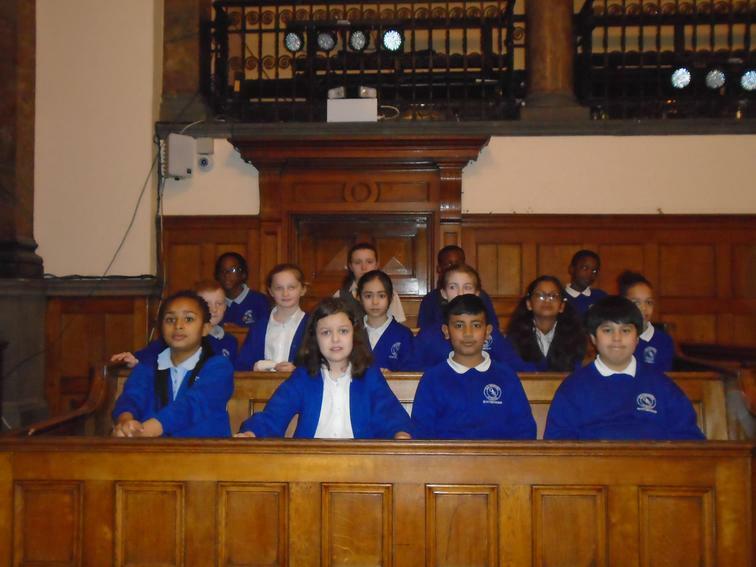 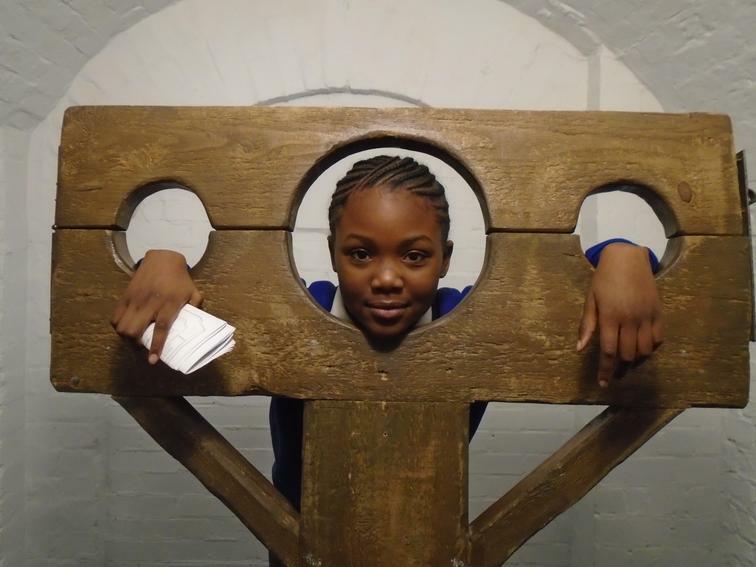 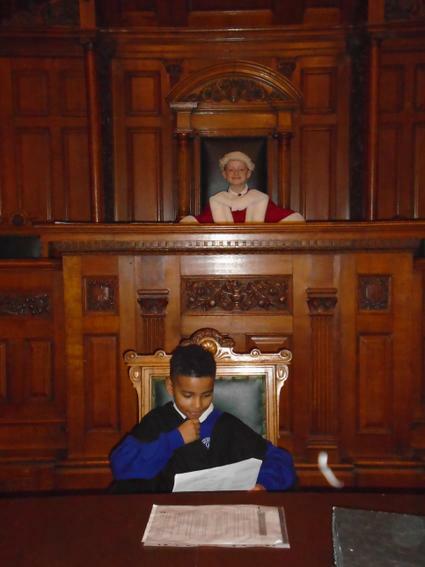 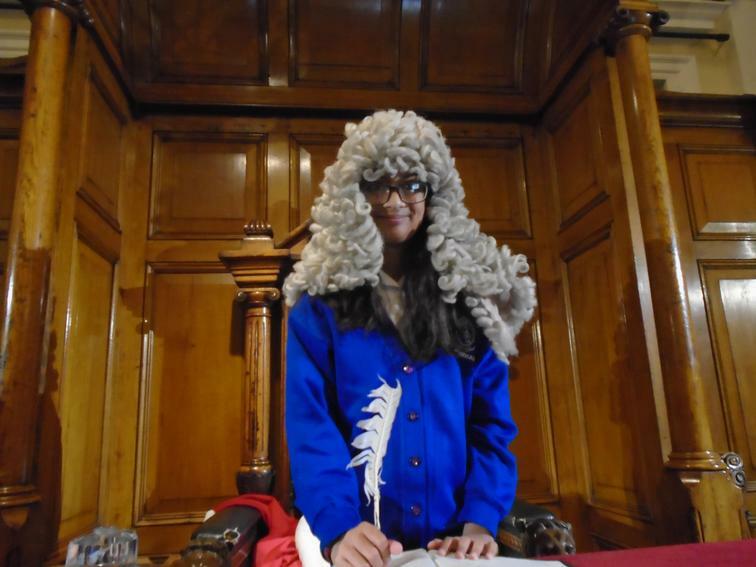 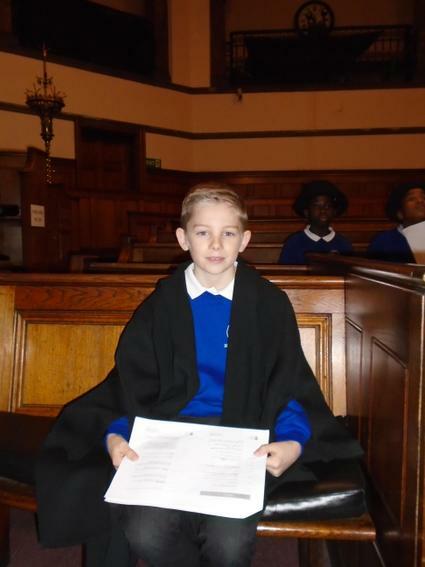 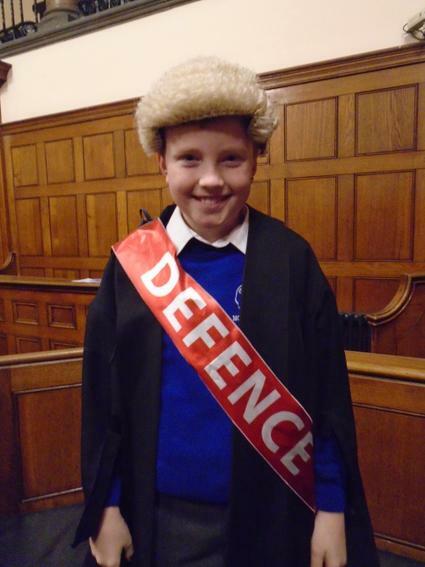 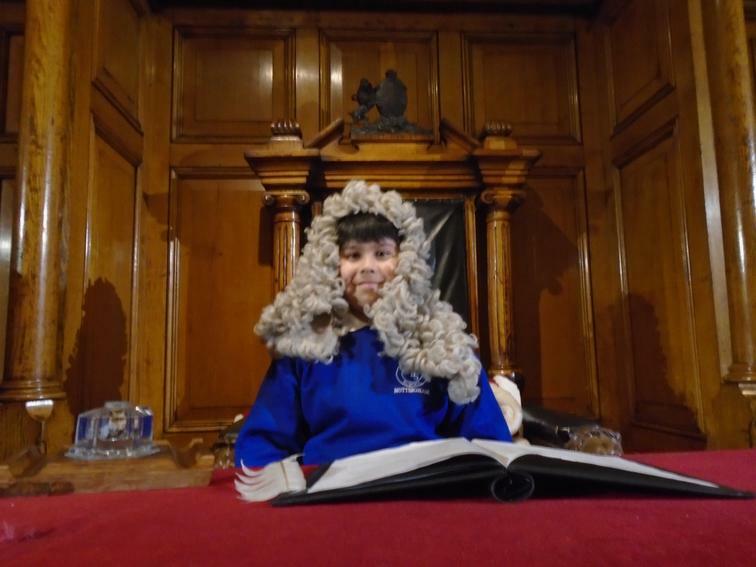 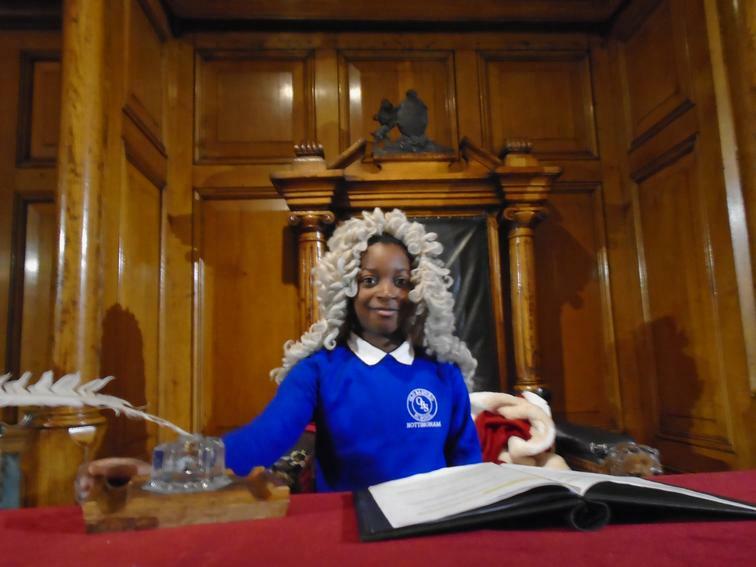 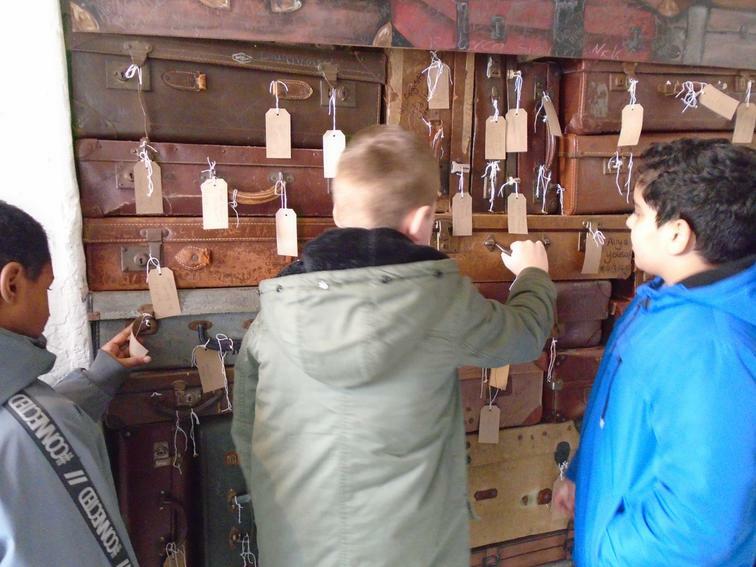 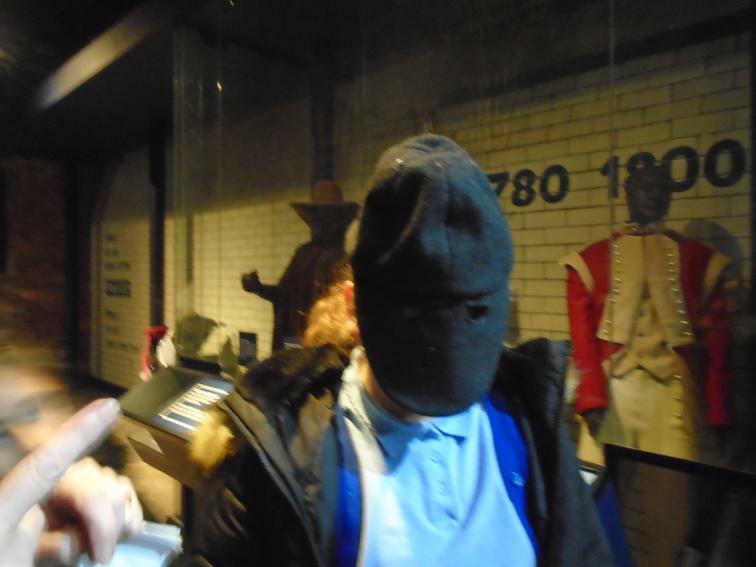 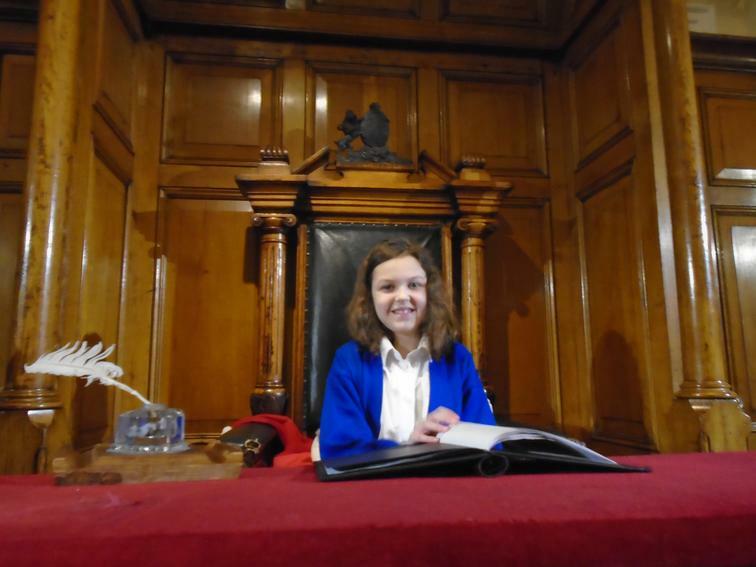 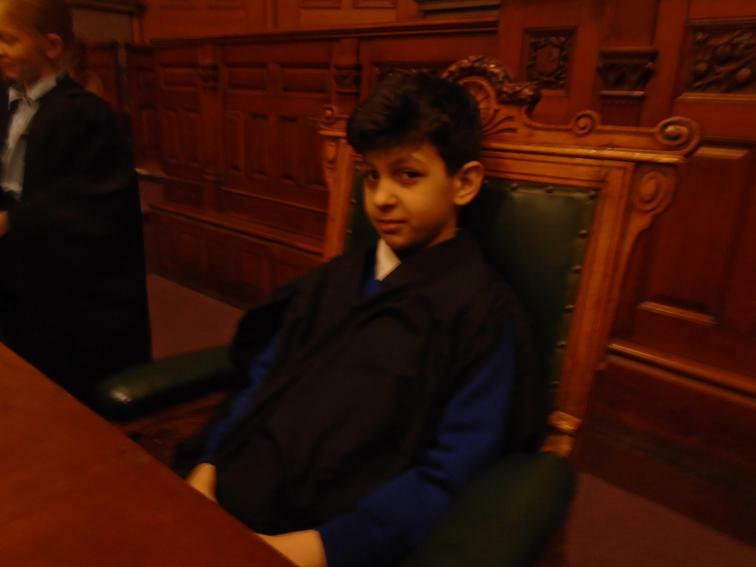 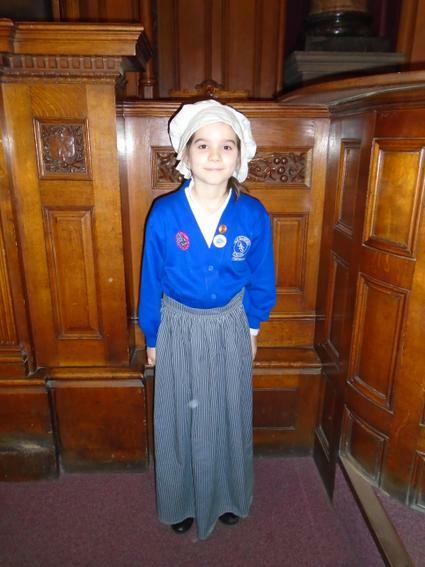 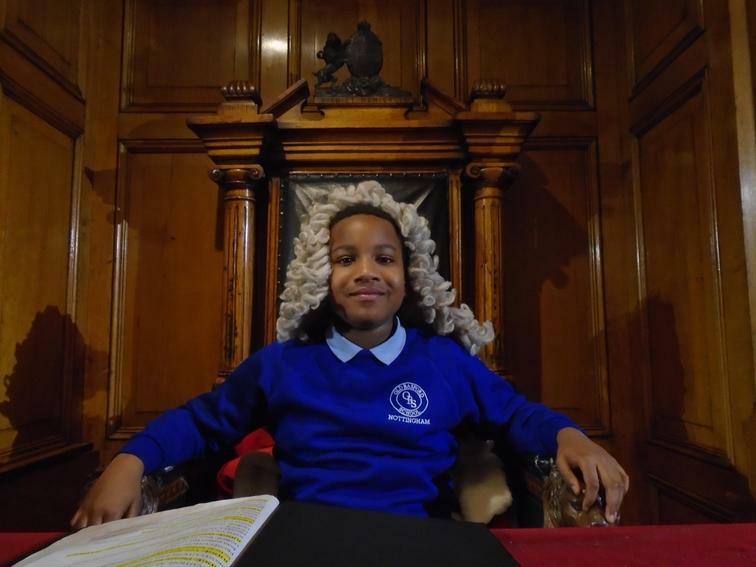 The children had a fantastic day at the National Justice Museum! 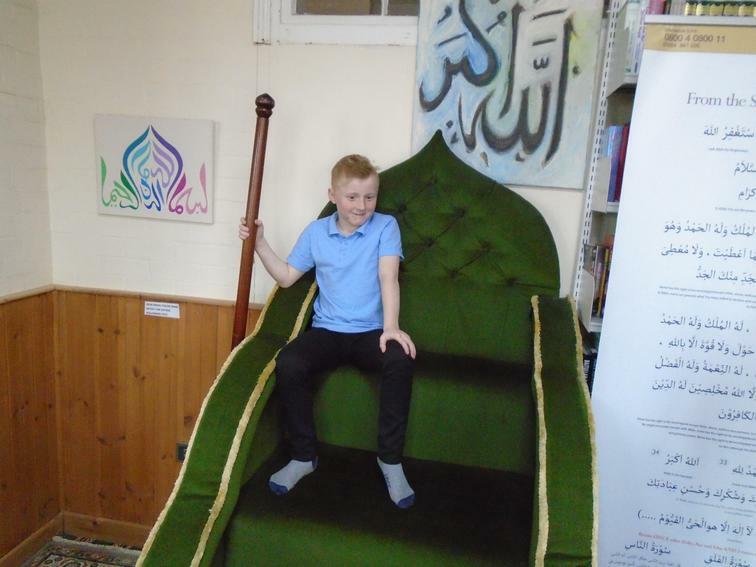 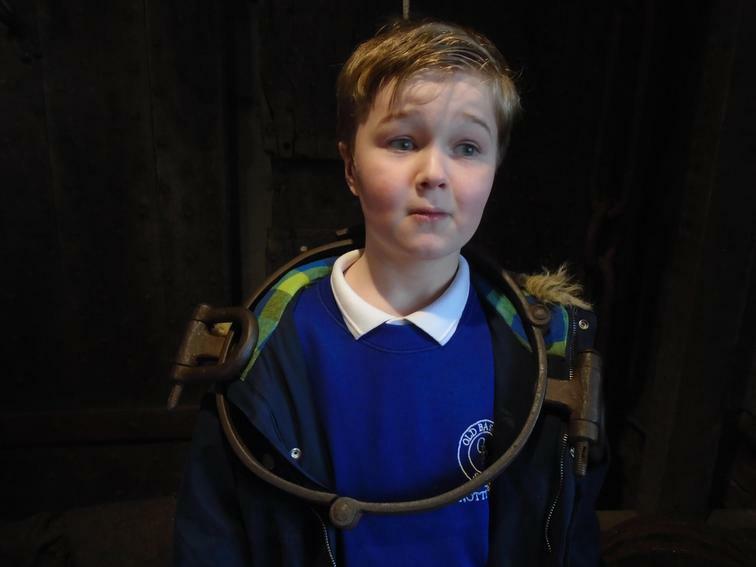 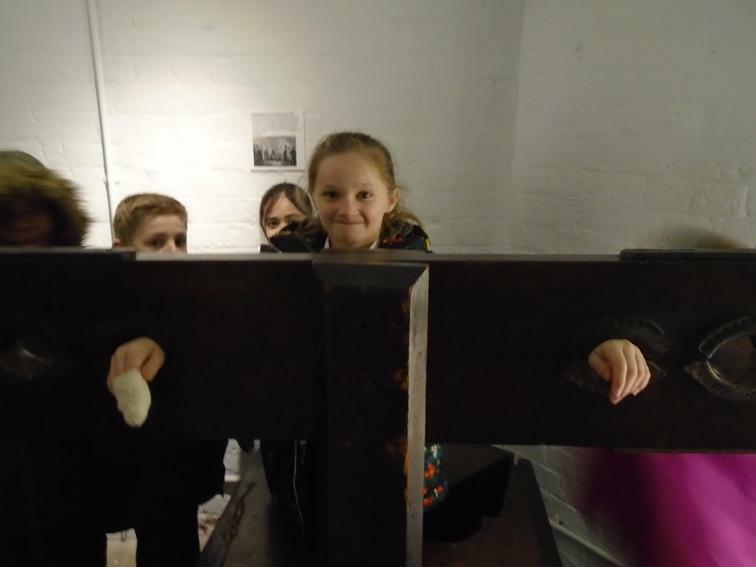 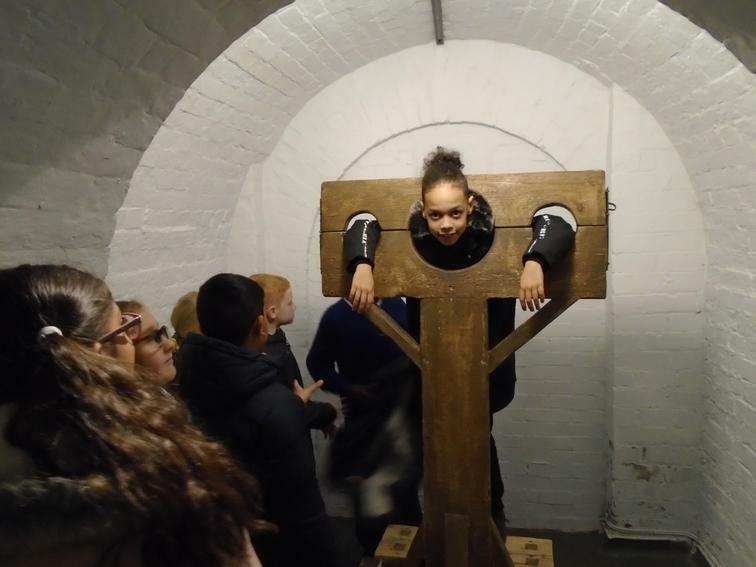 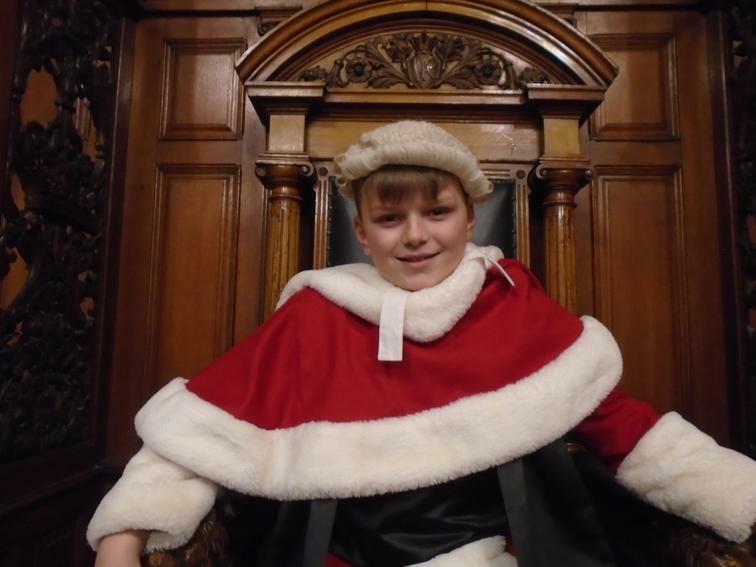 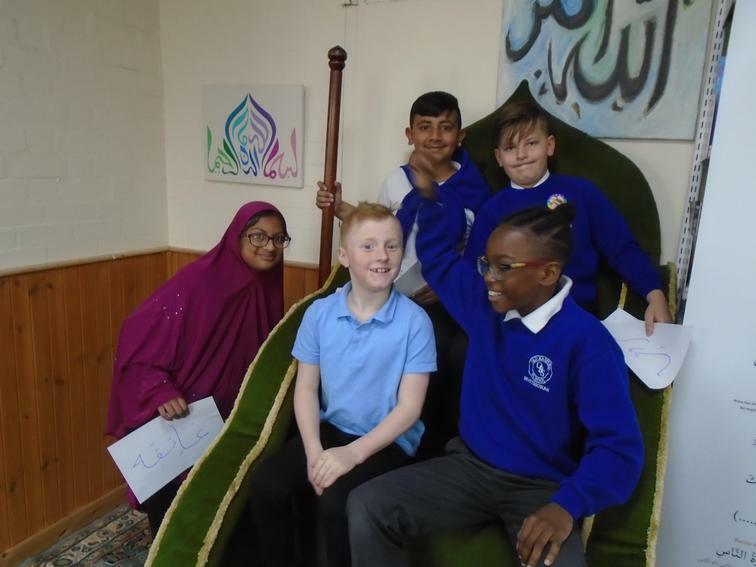 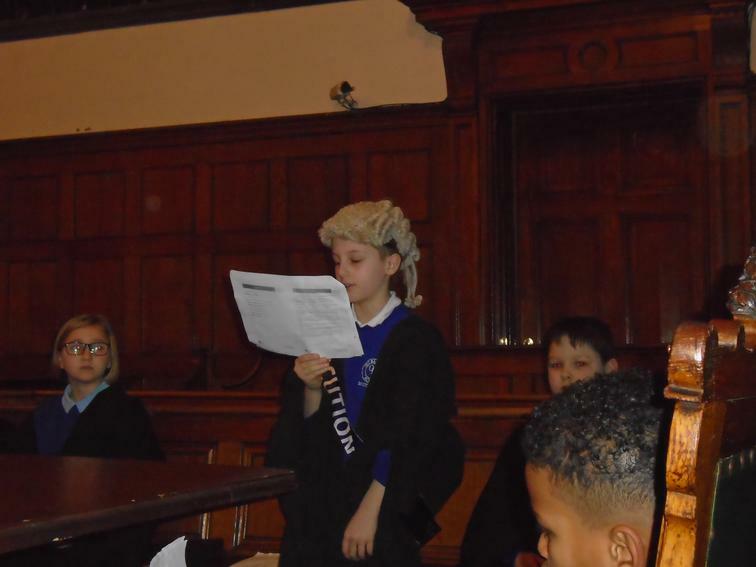 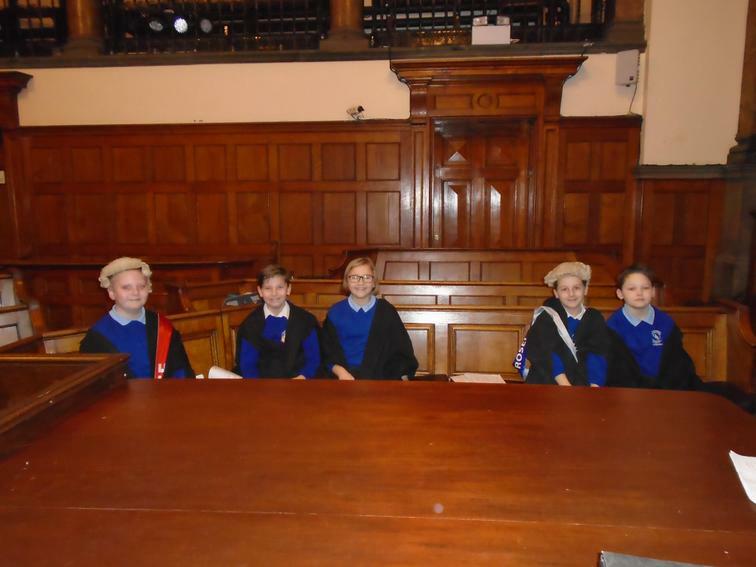 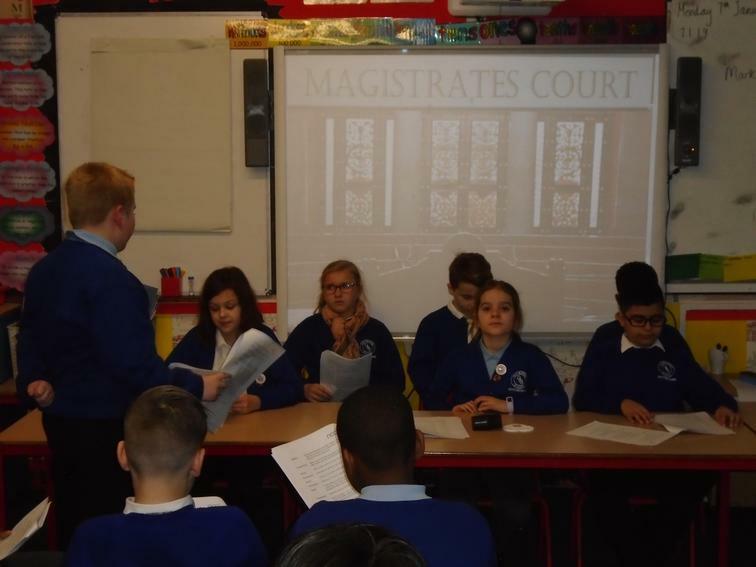 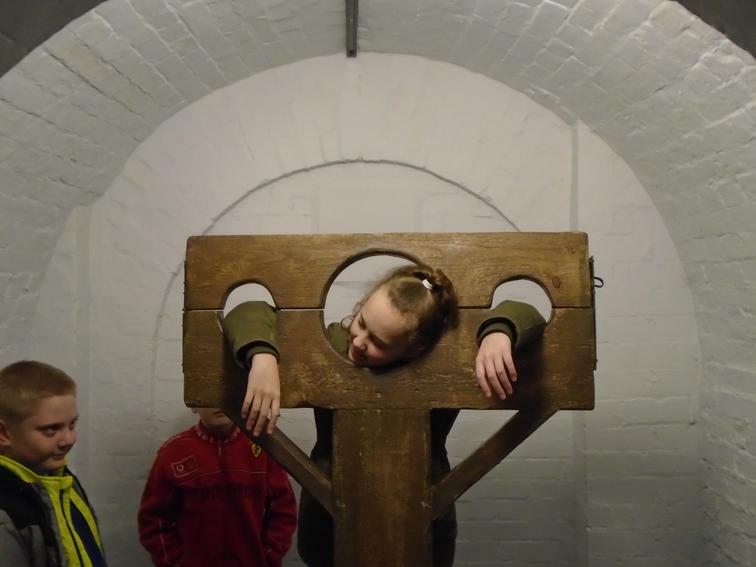 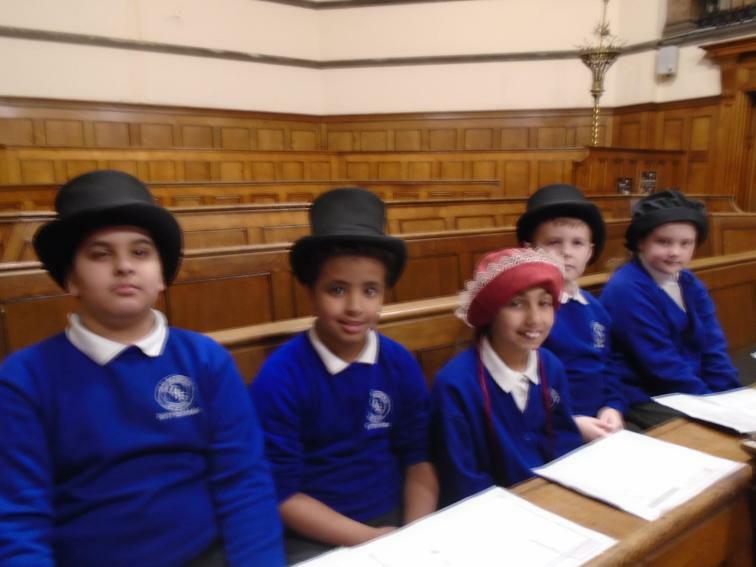 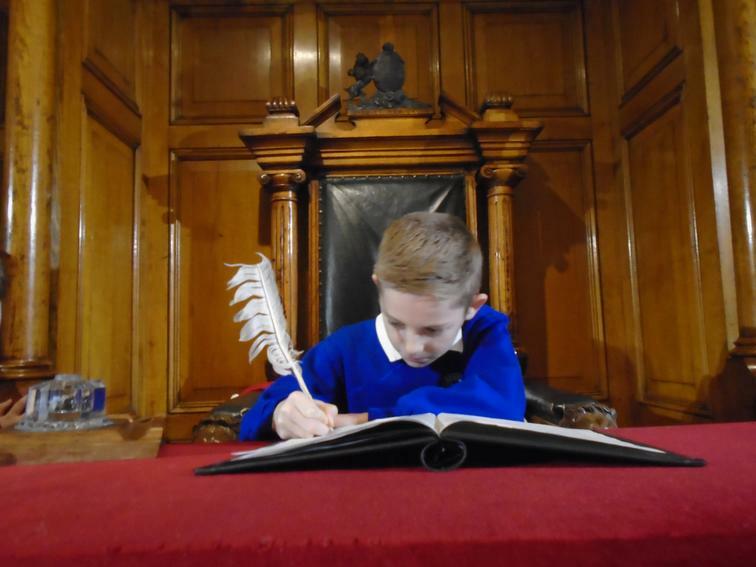 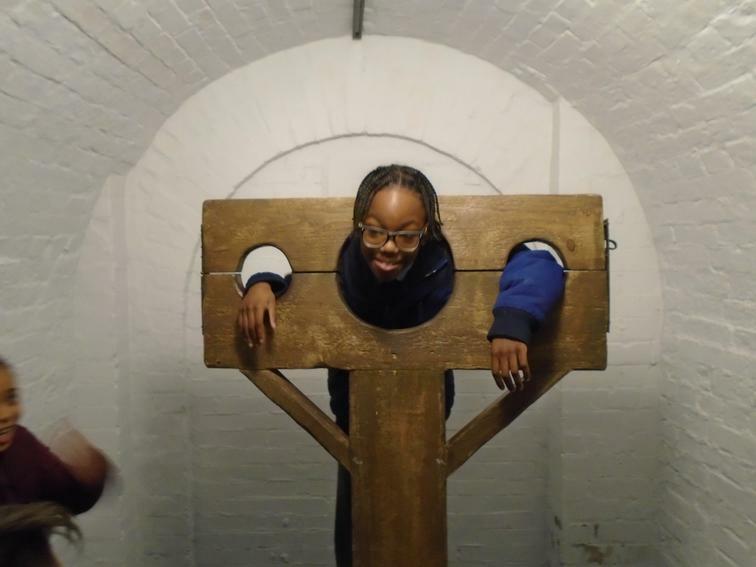 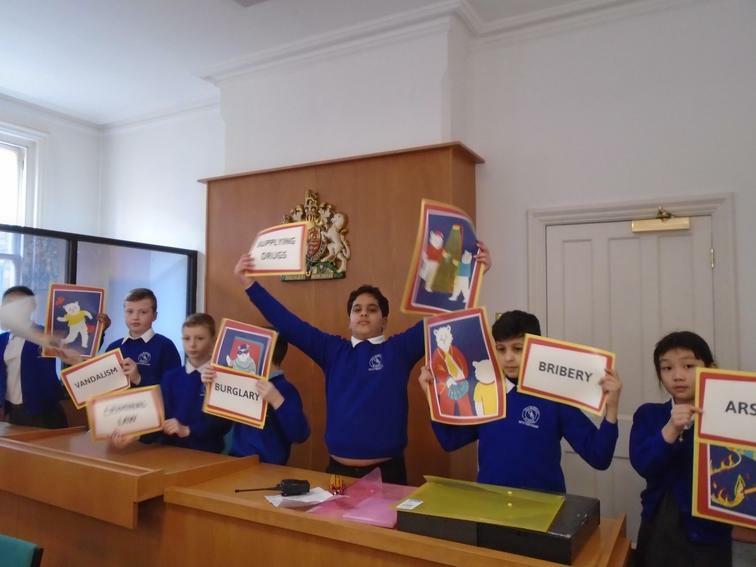 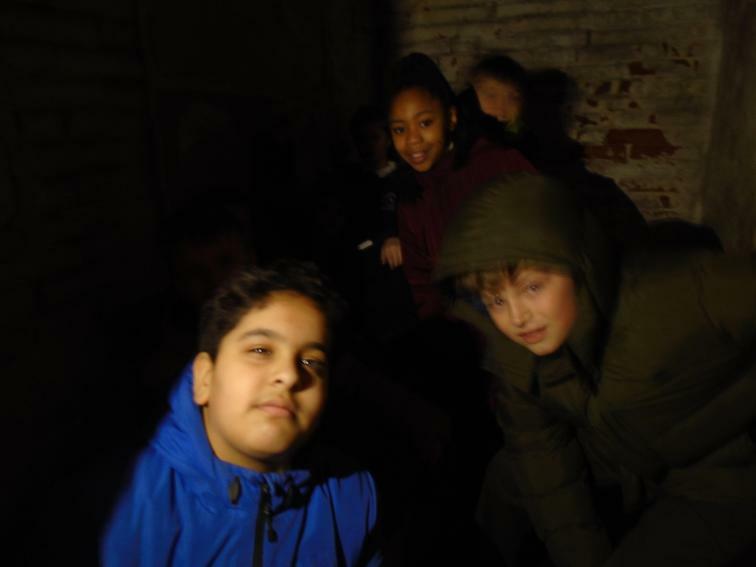 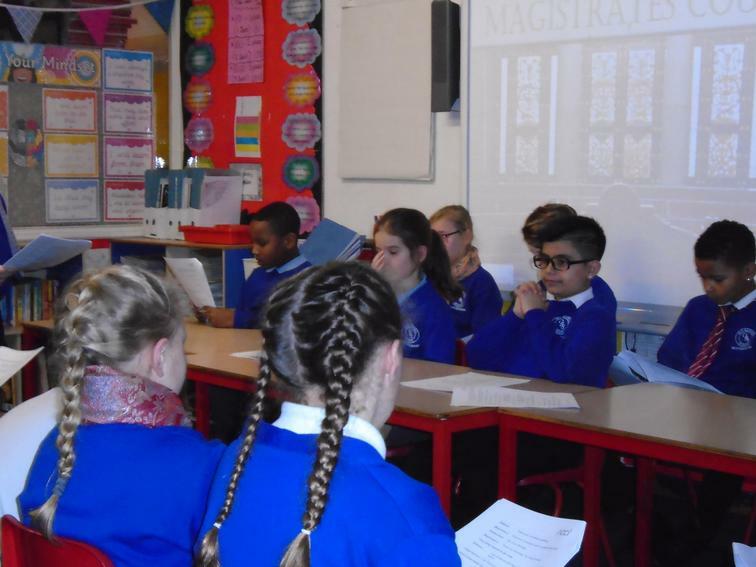 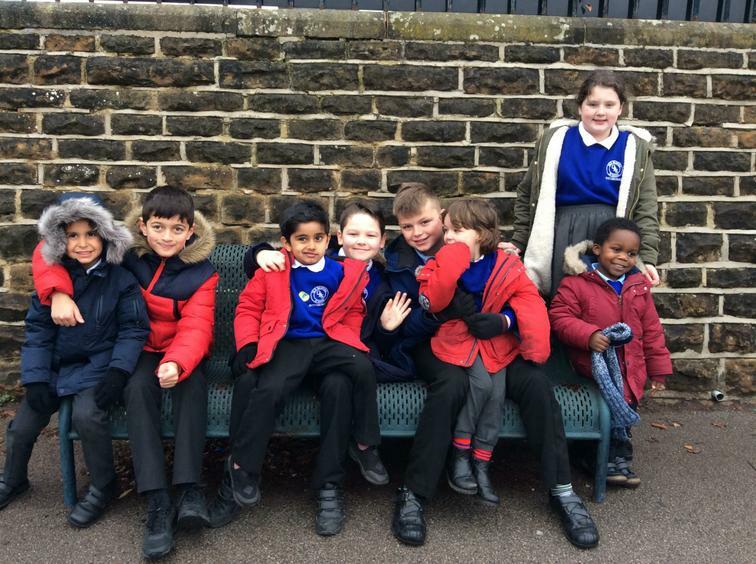 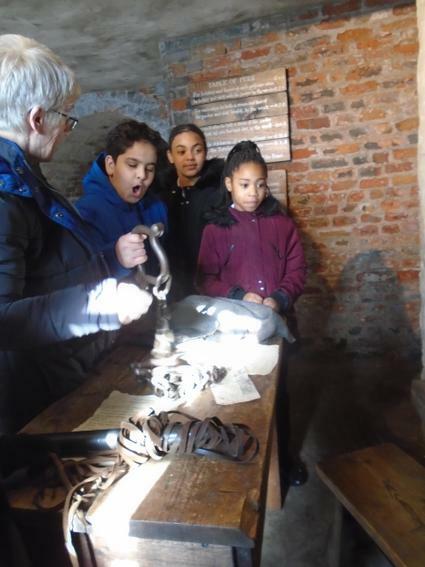 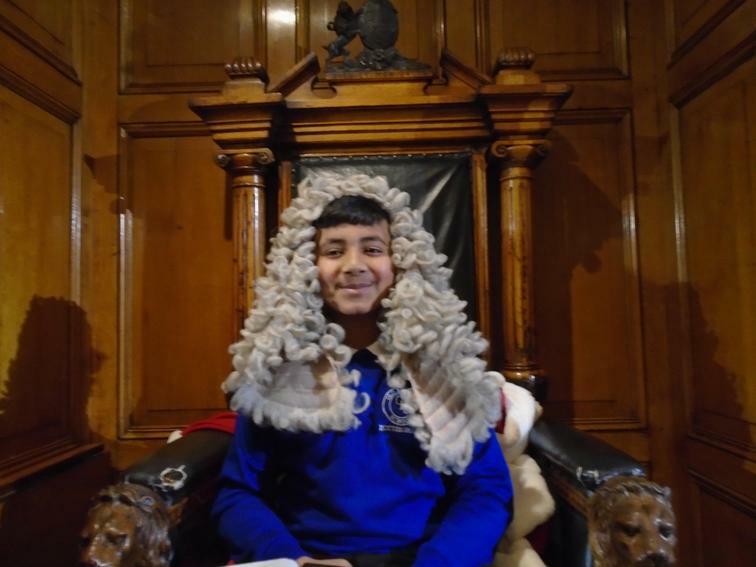 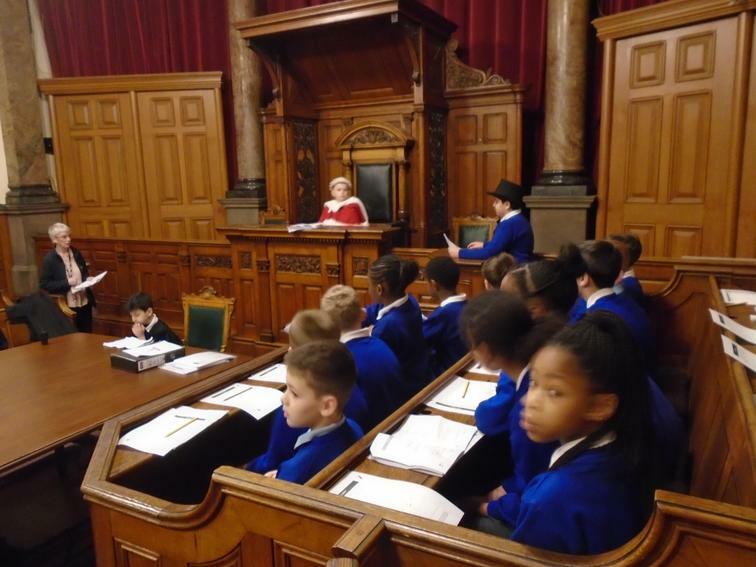 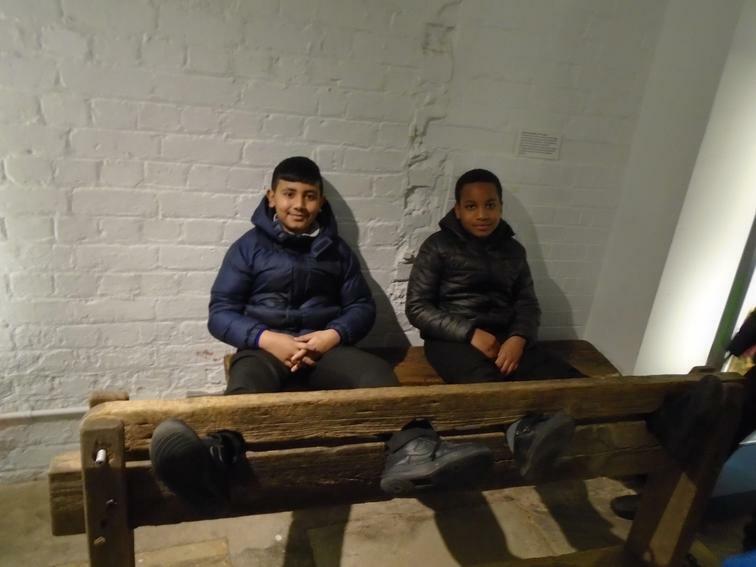 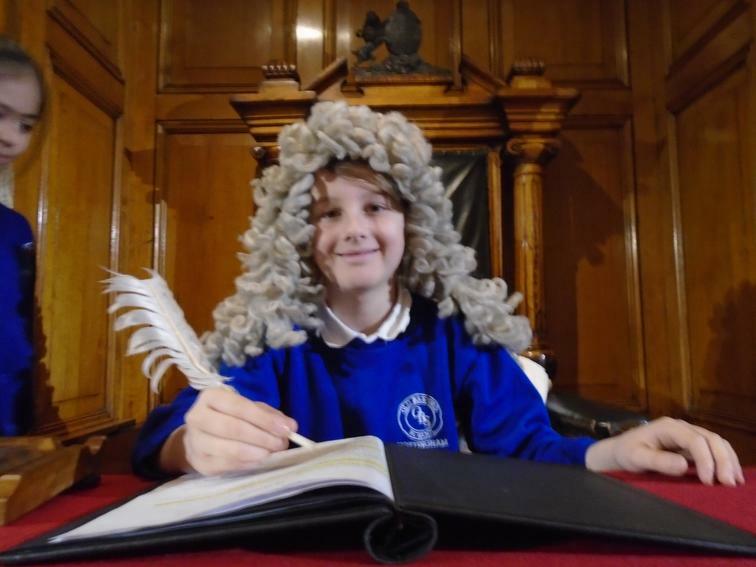 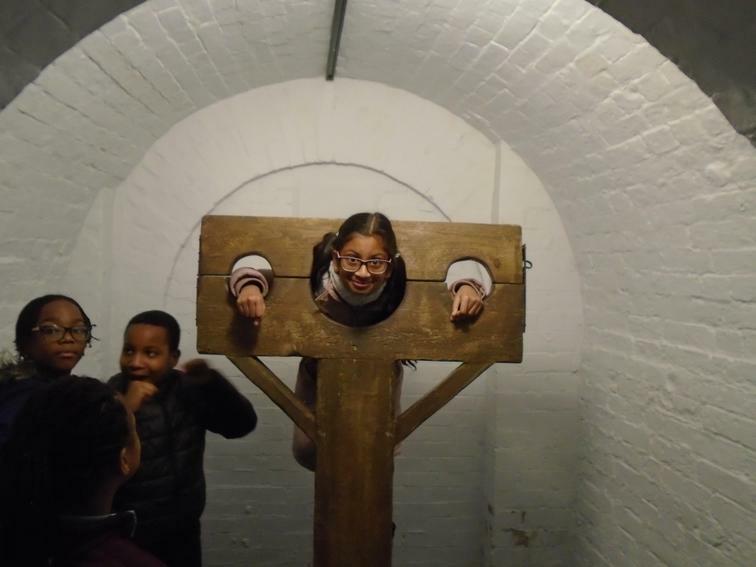 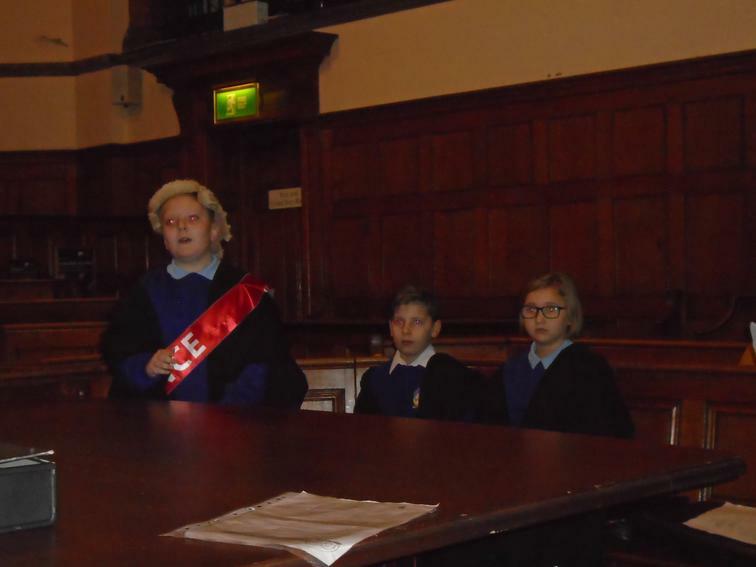 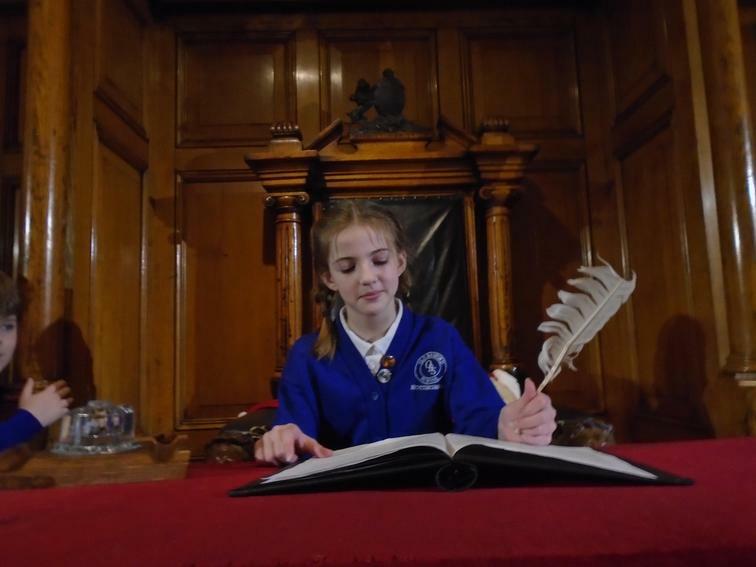 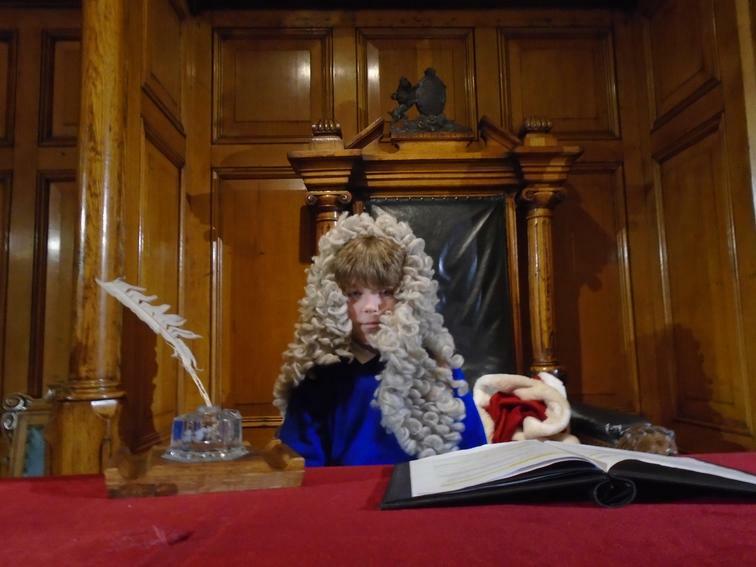 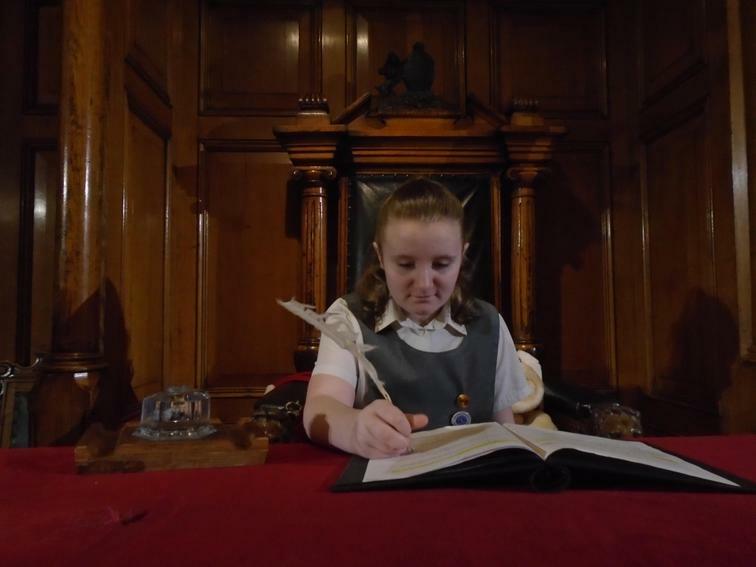 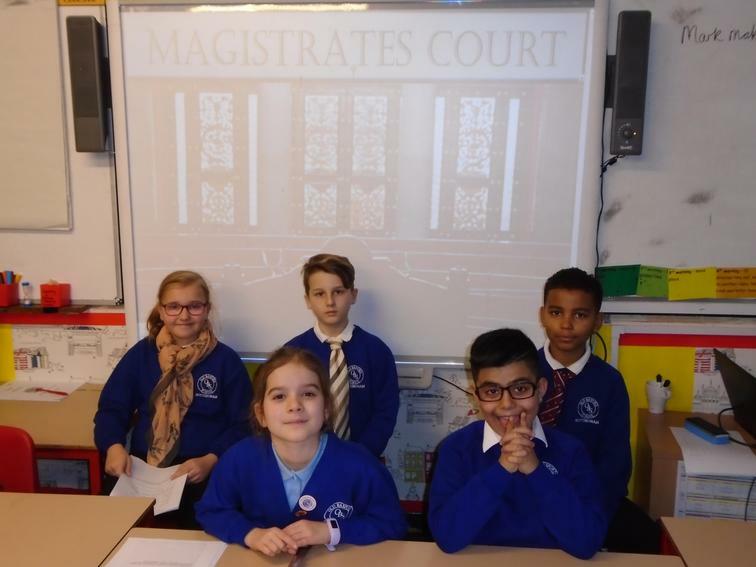 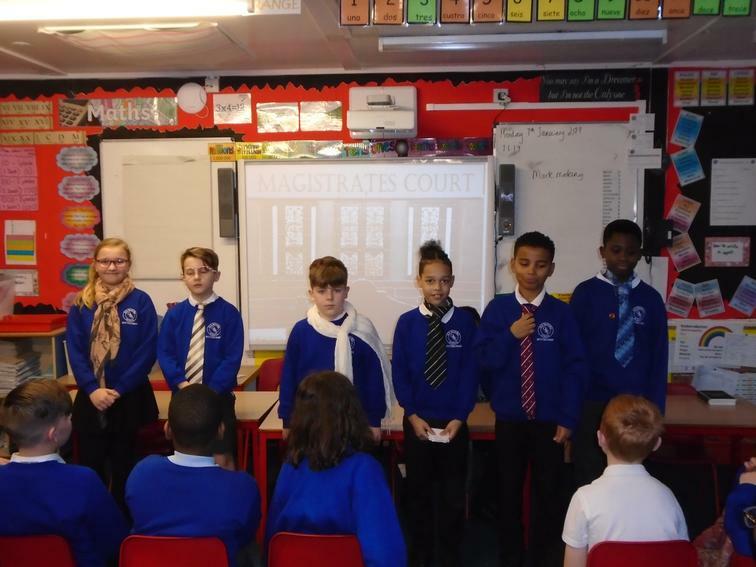 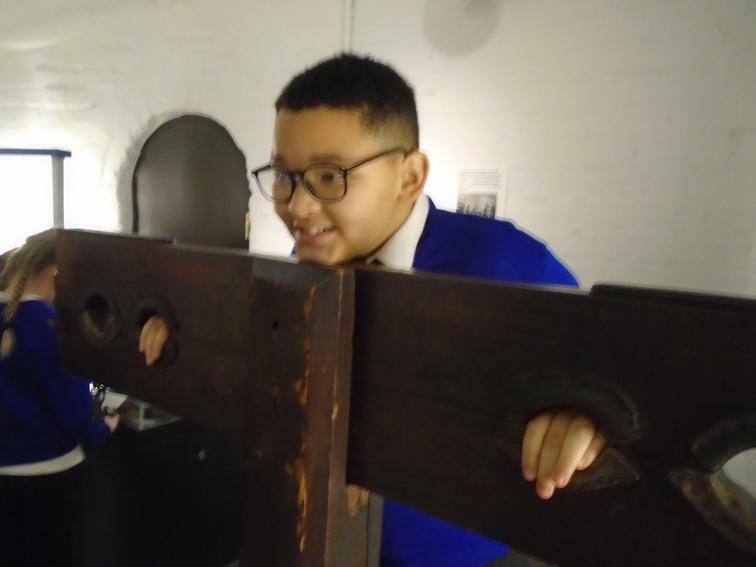 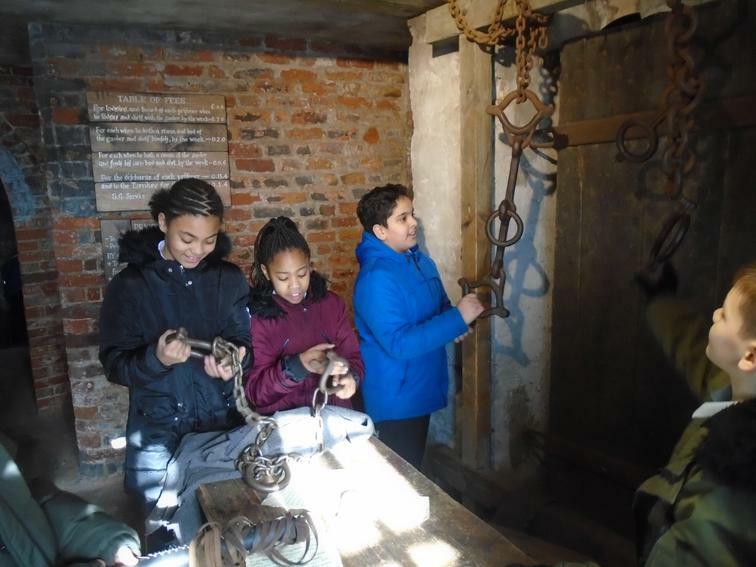 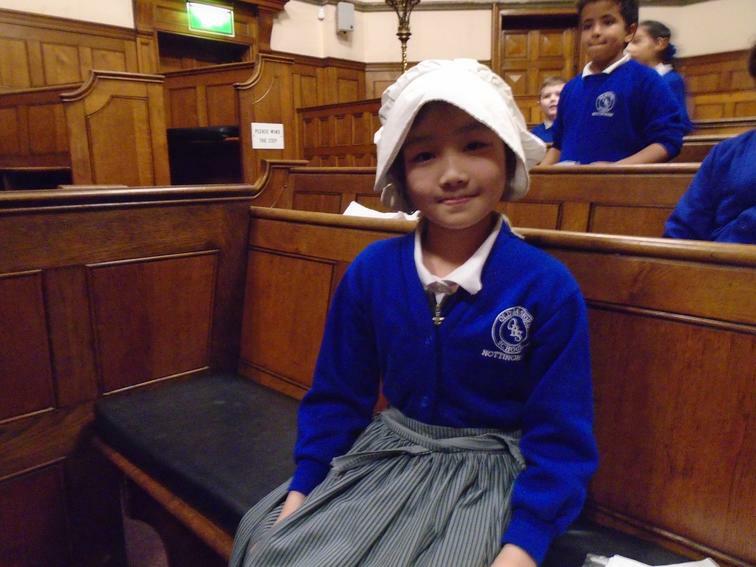 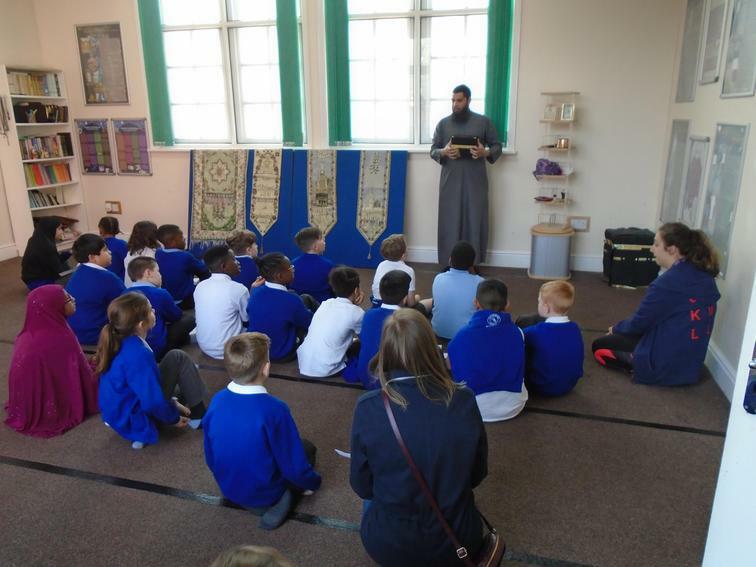 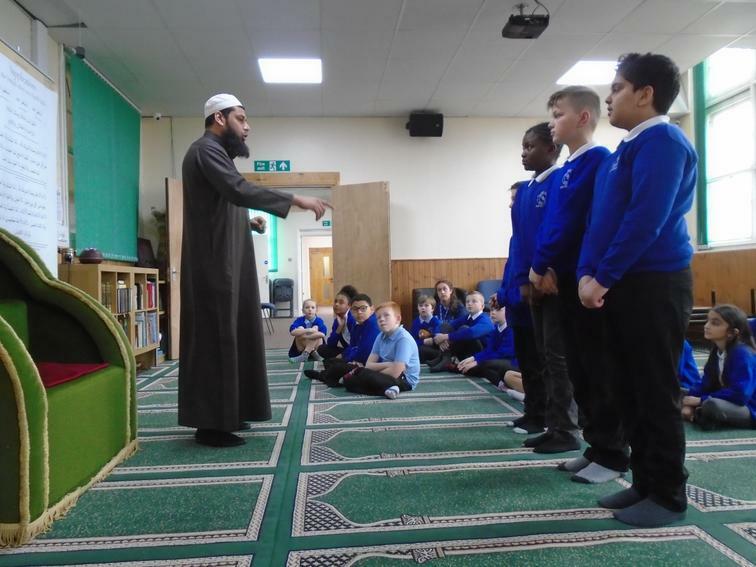 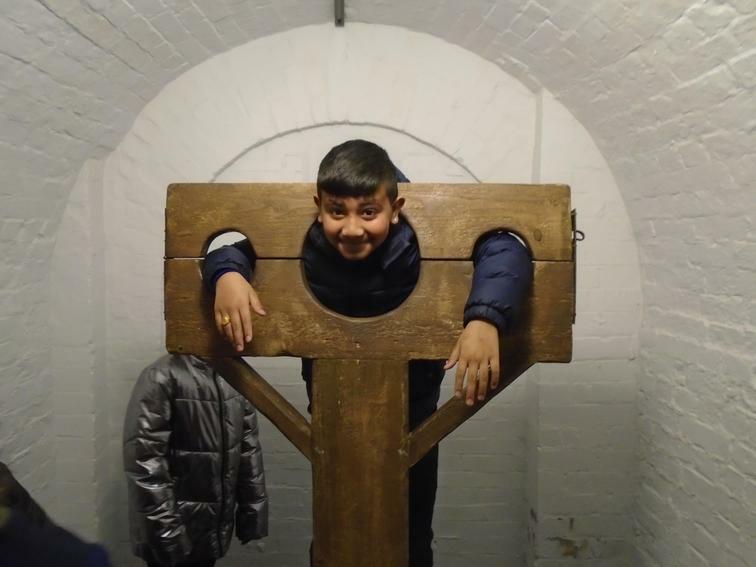 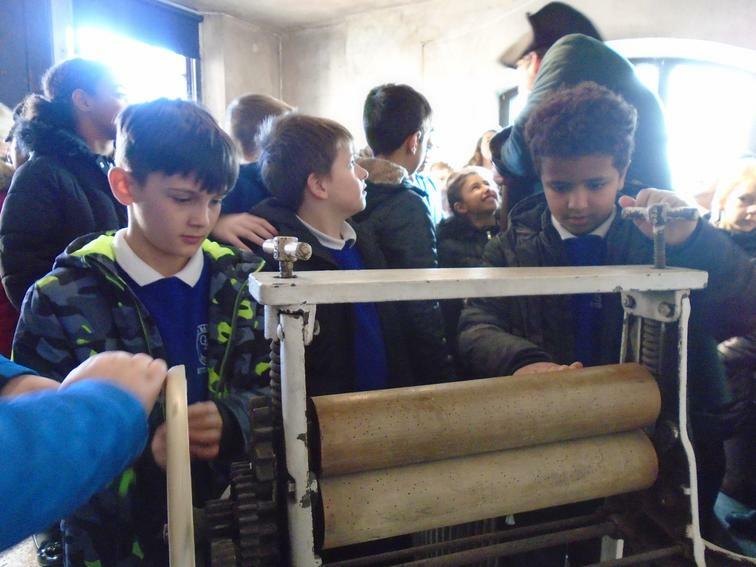 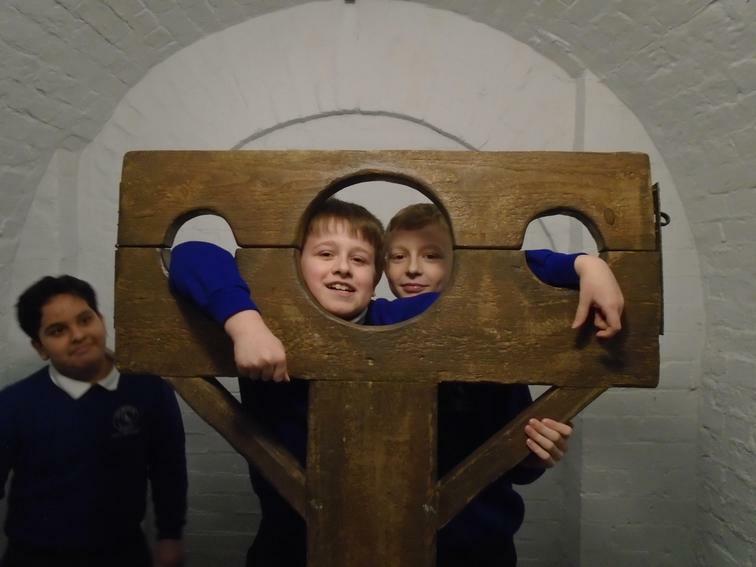 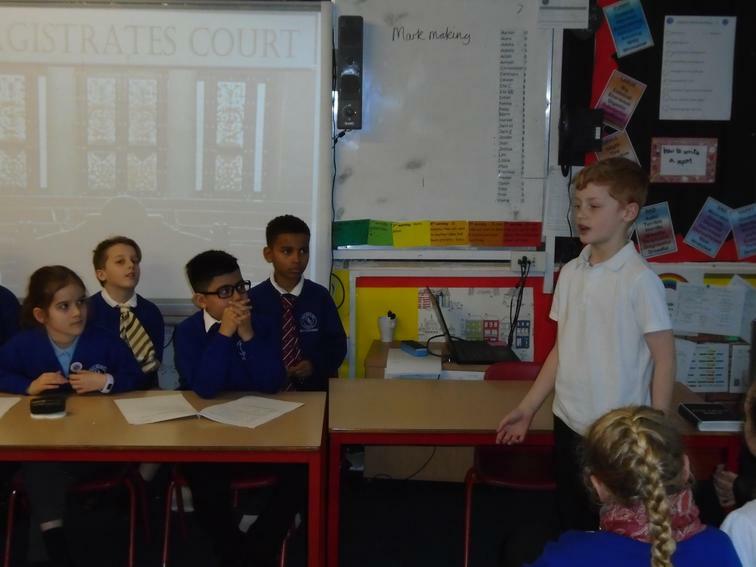 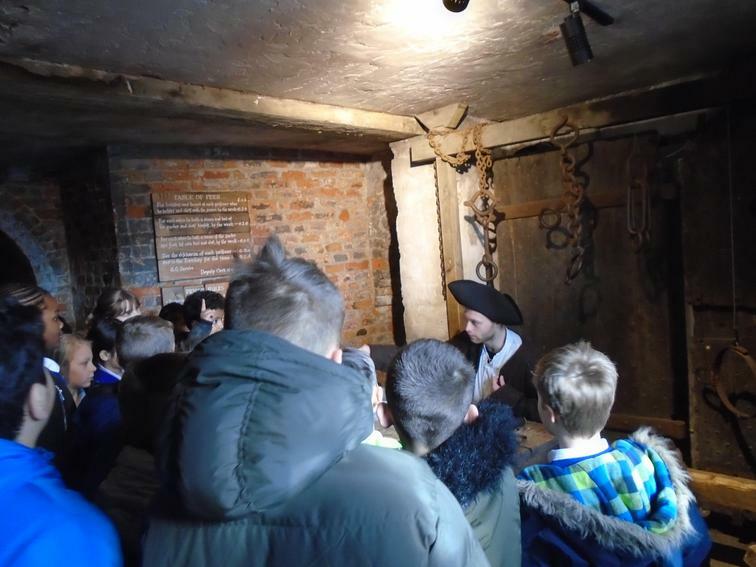 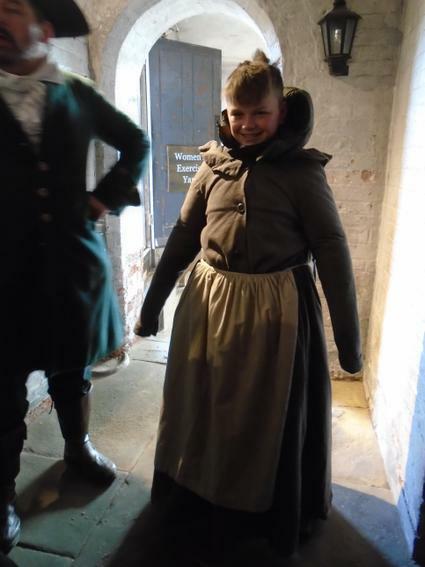 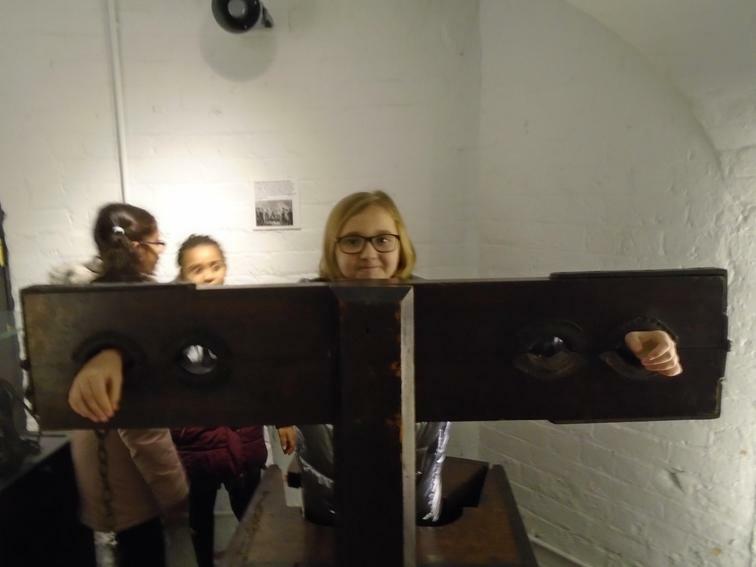 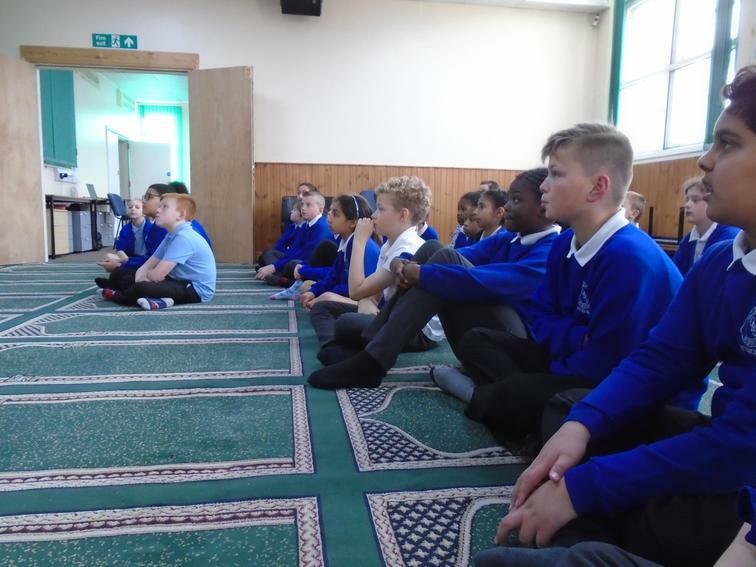 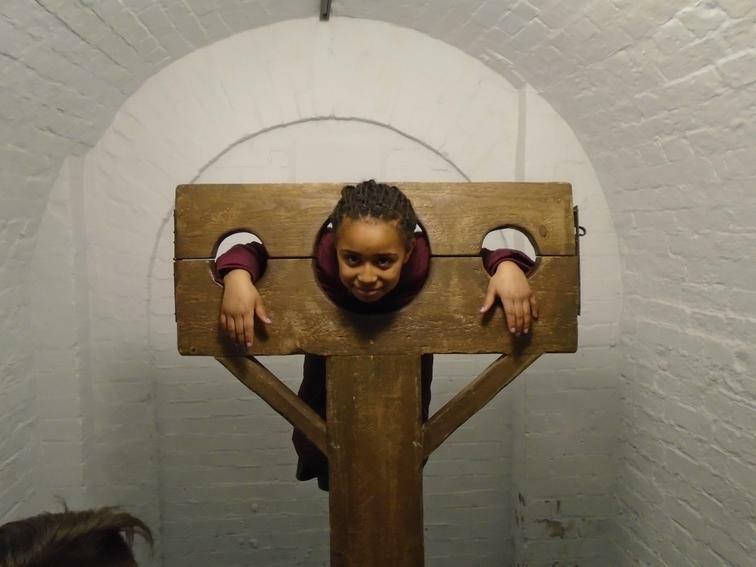 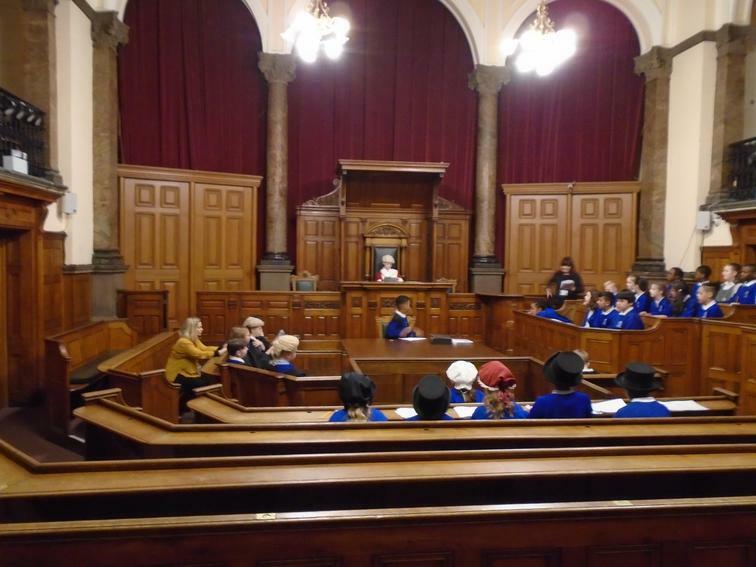 They took part in a re-enactment of a trial in court, investigated a 'murder' scene, explored the museums, visited the dungeons and 'tried' some Victorian punishments! 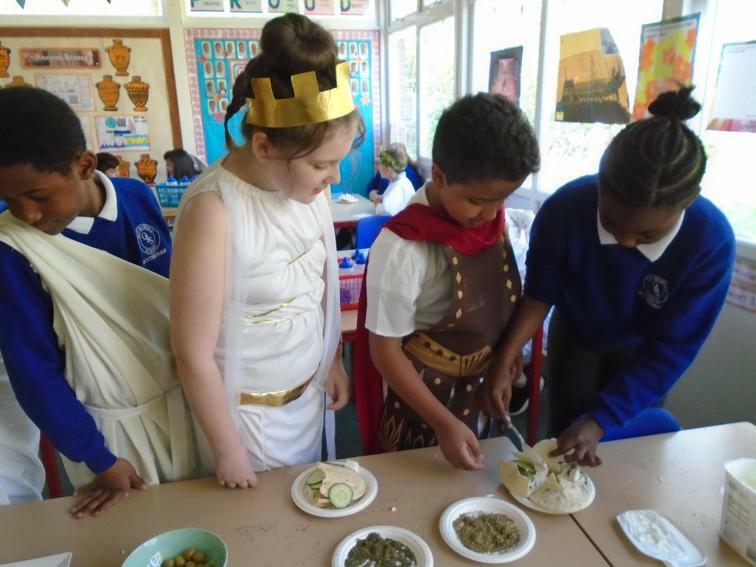 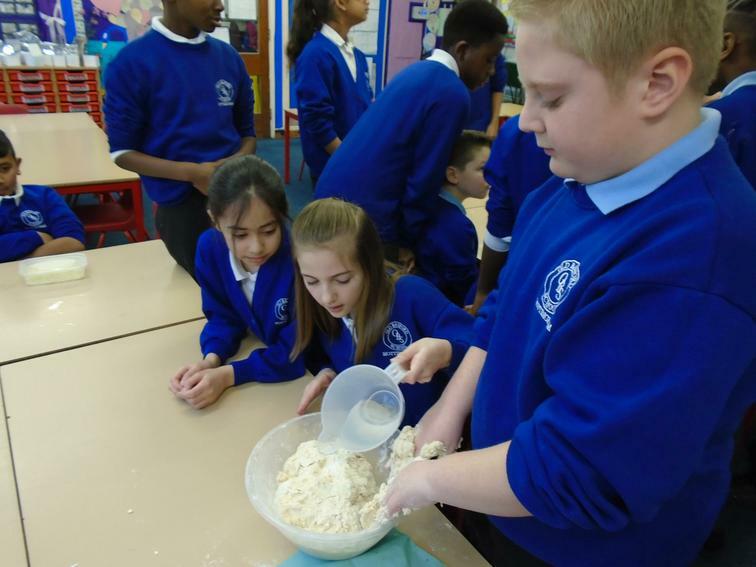 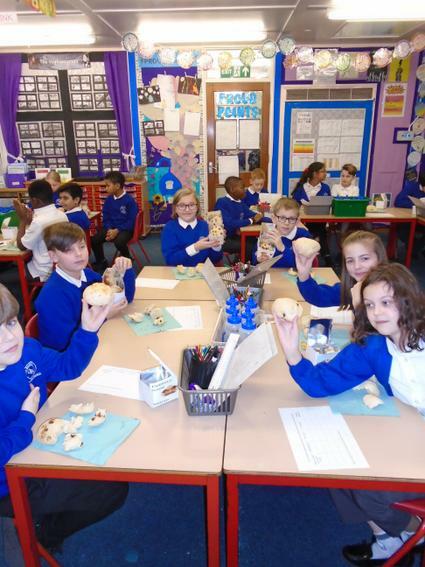 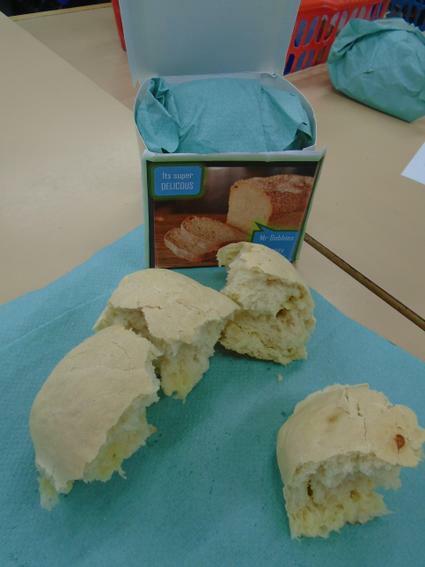 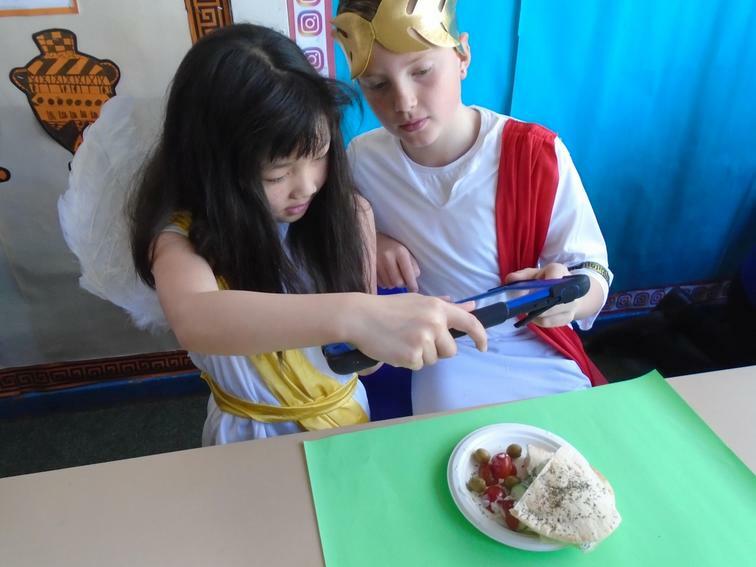 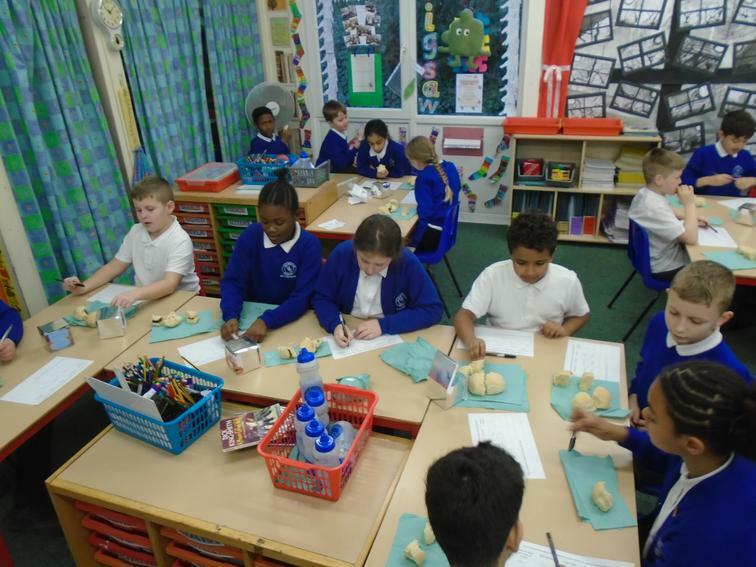 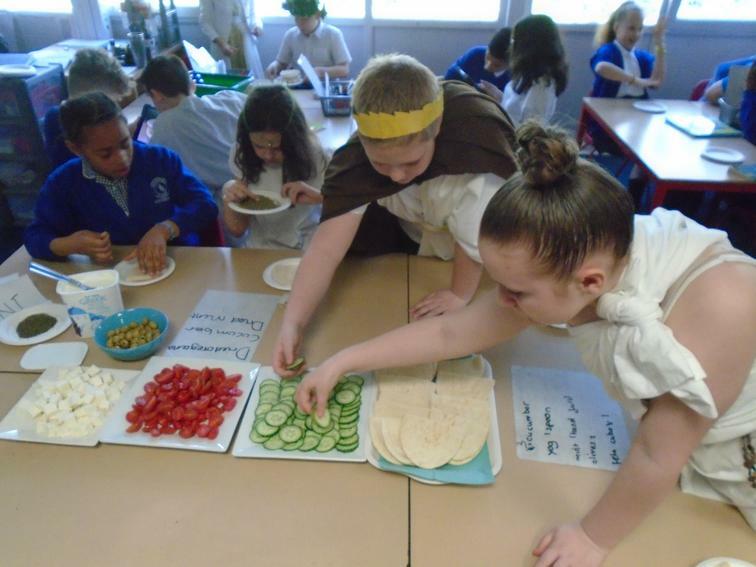 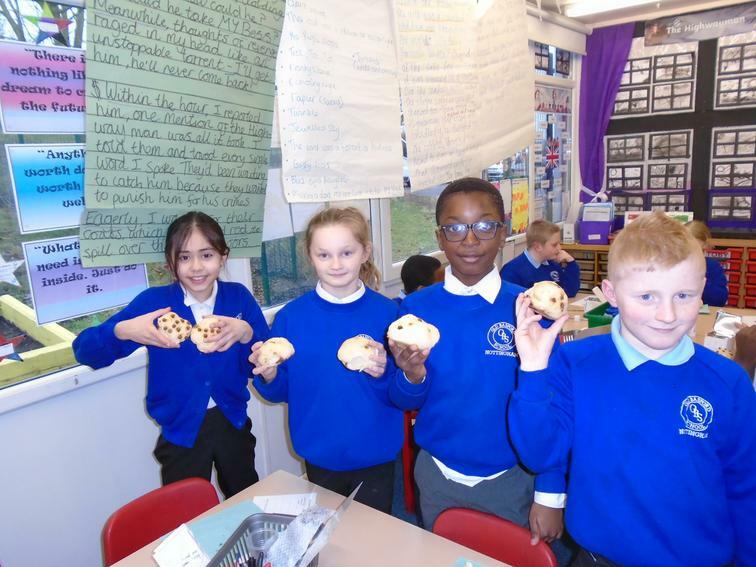 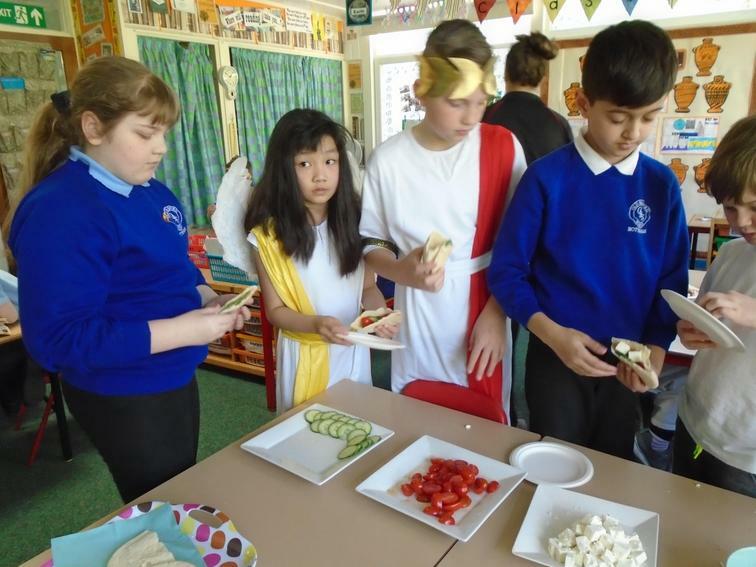 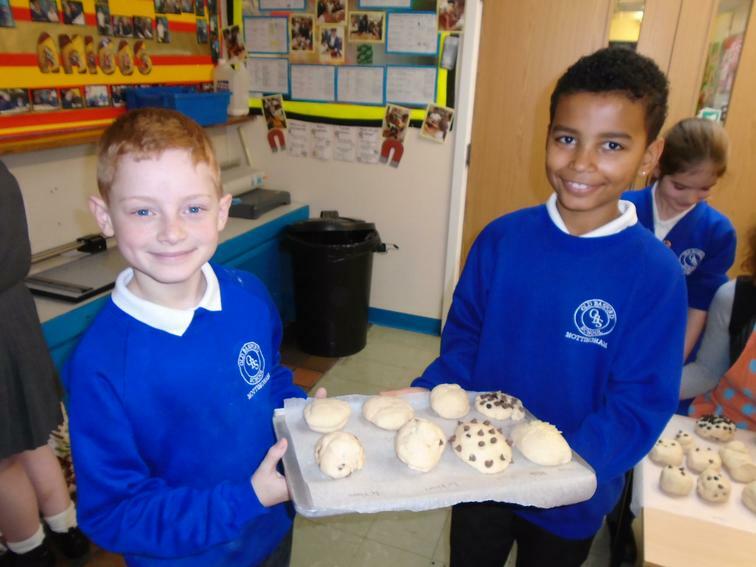 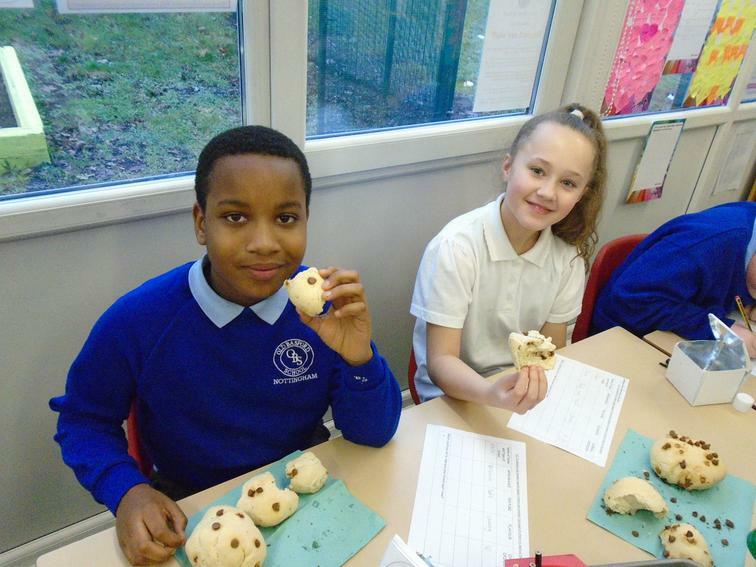 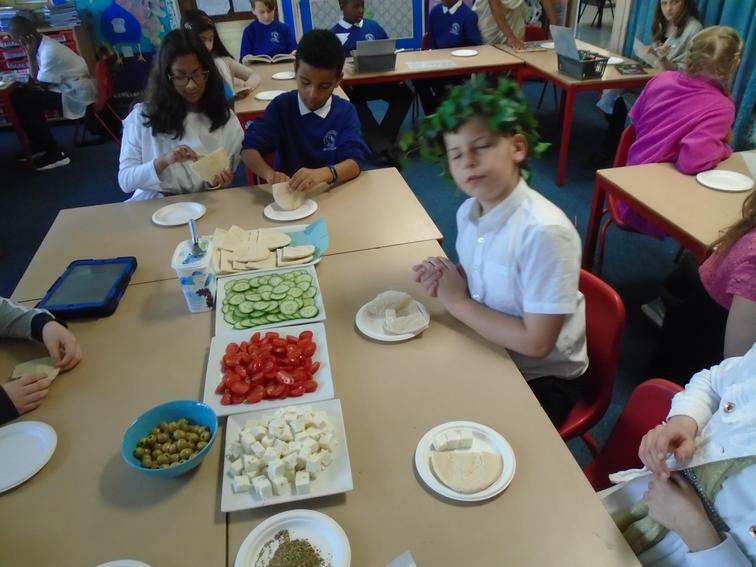 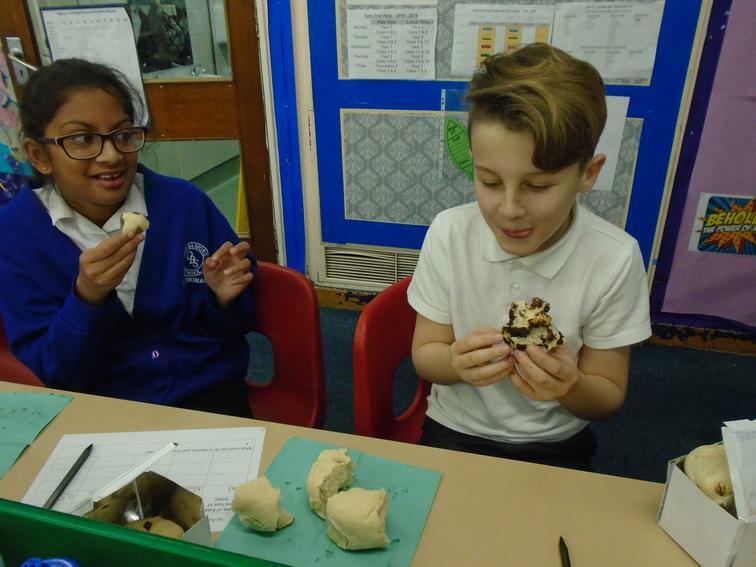 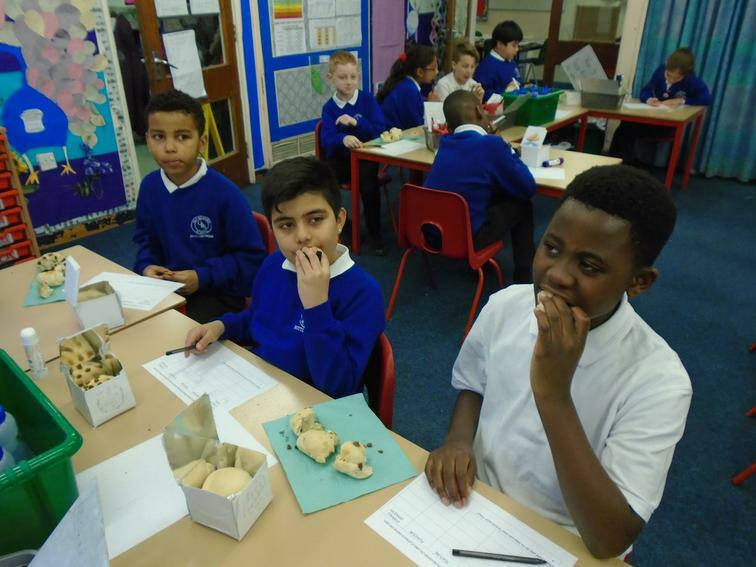 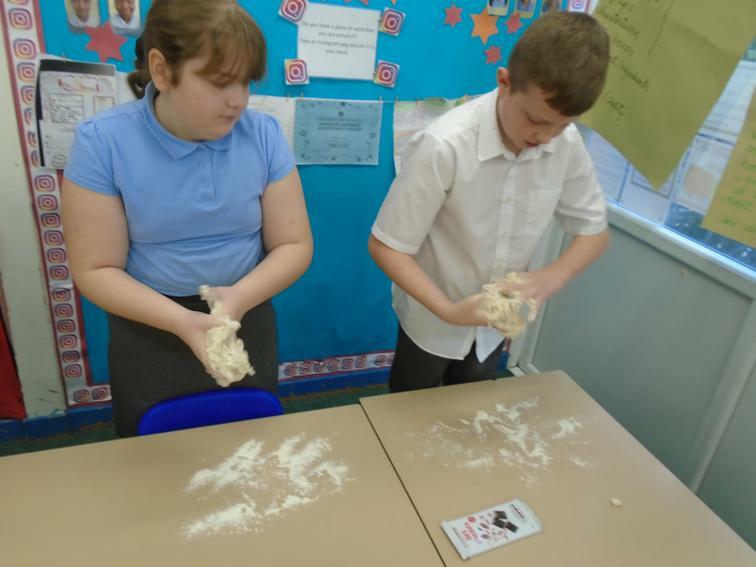 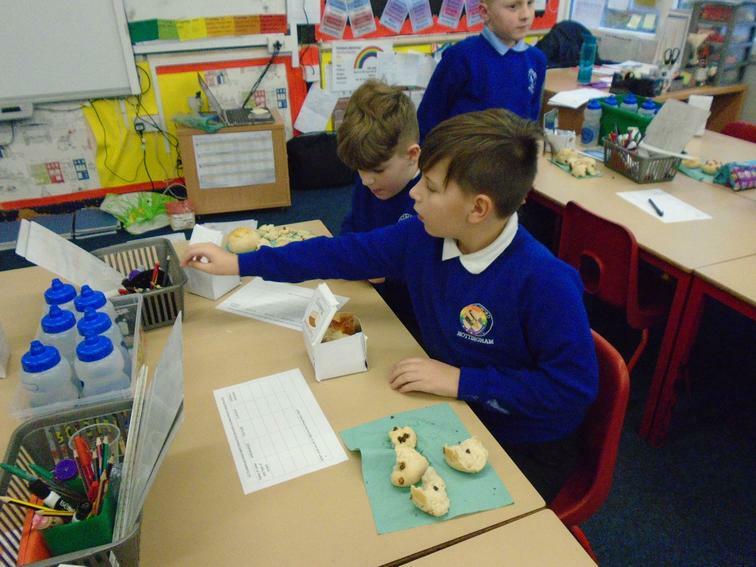 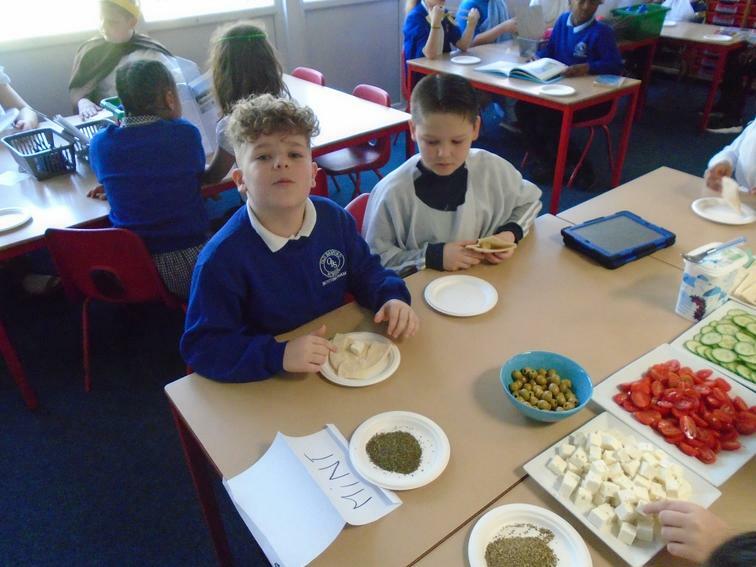 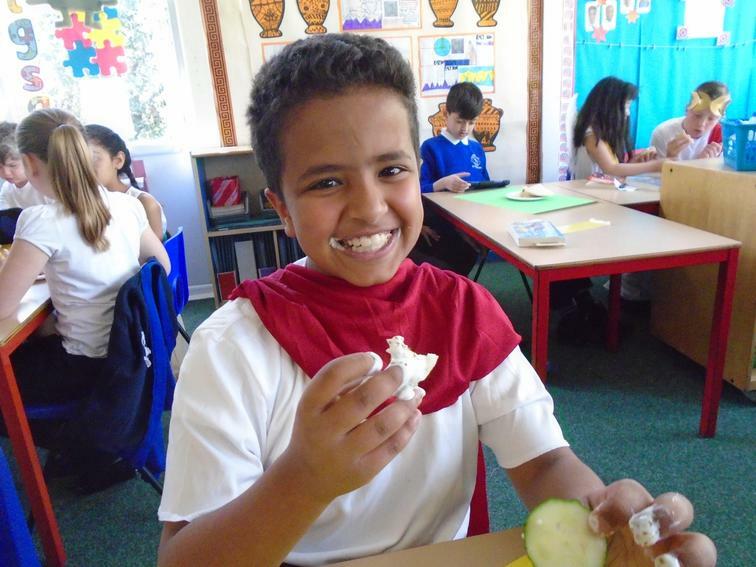 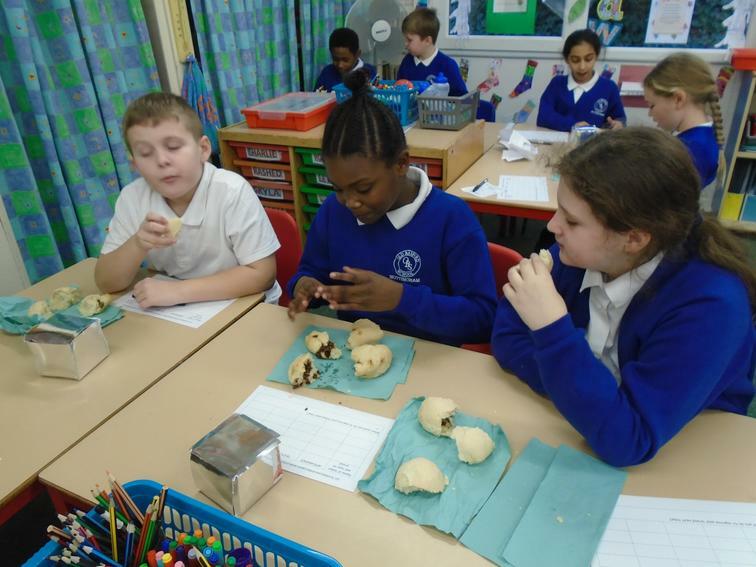 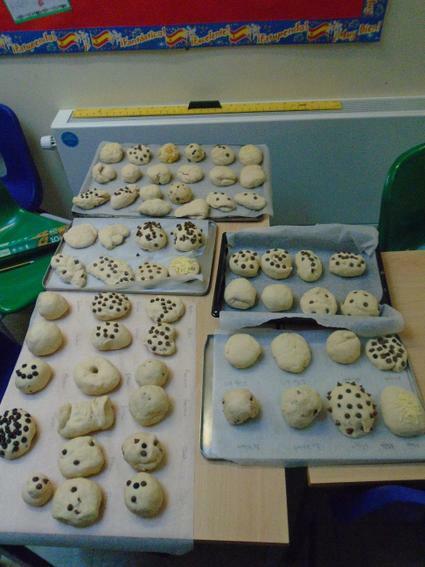 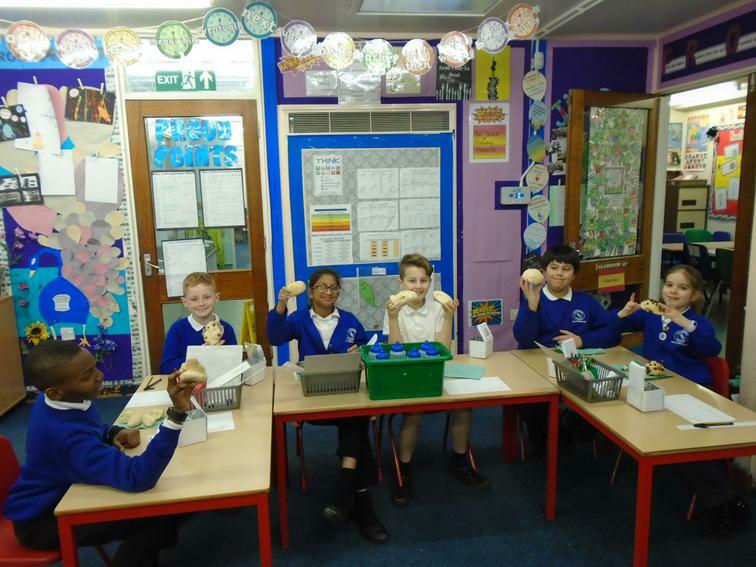 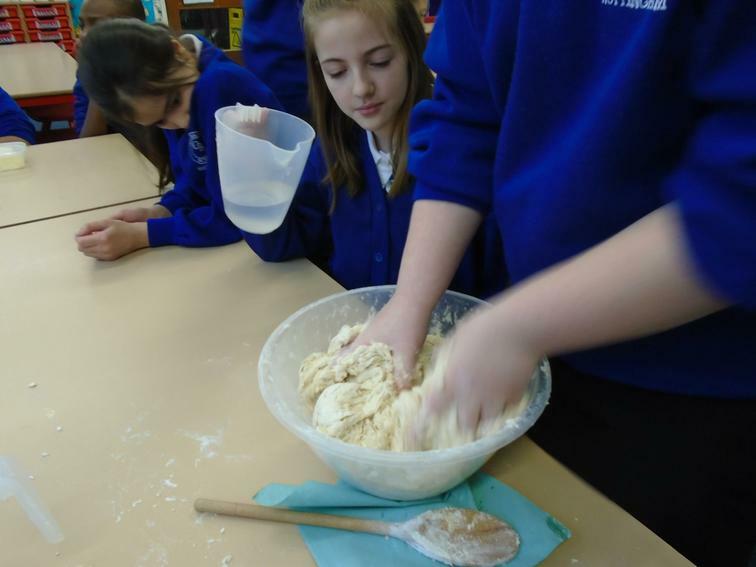 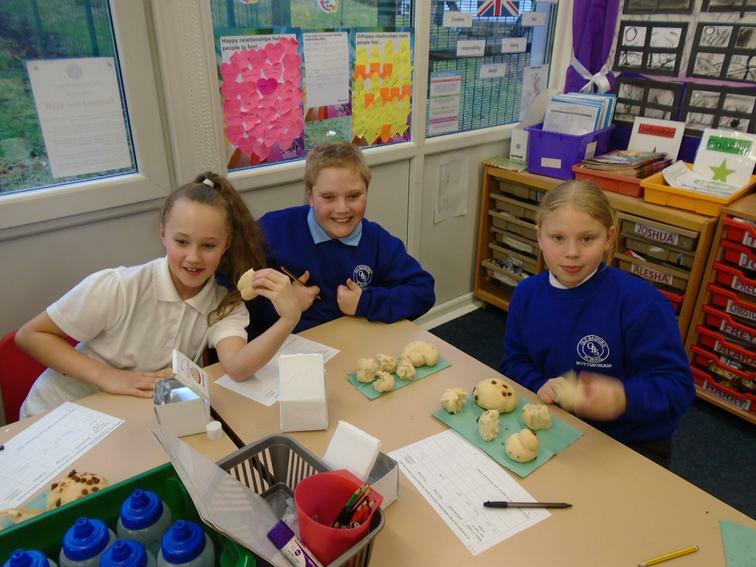 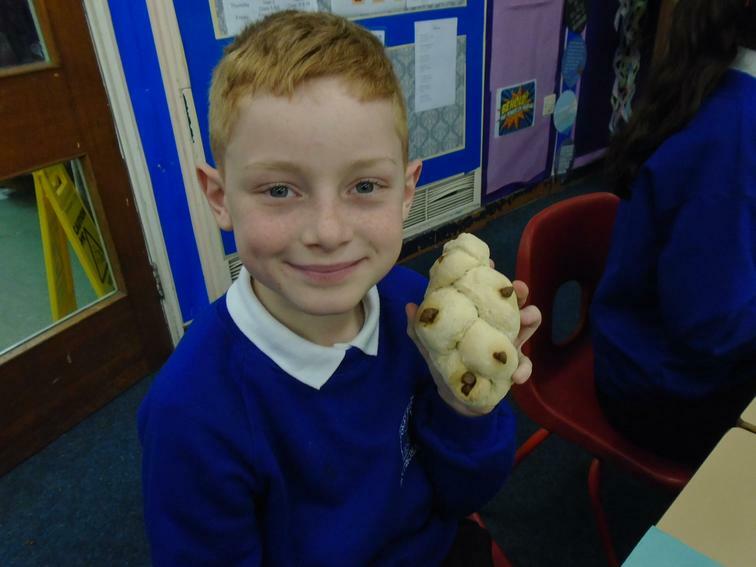 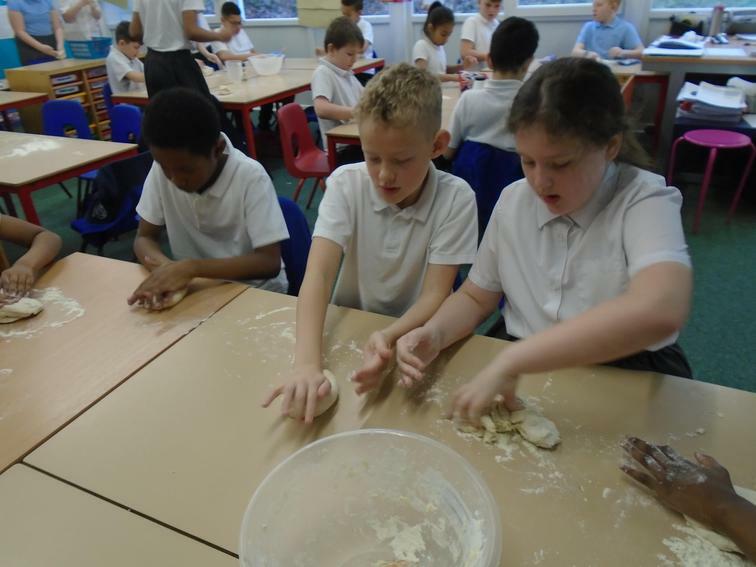 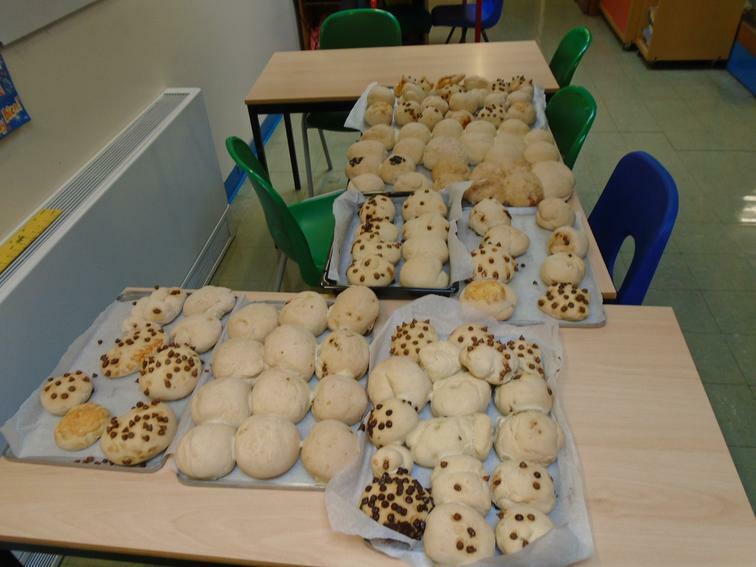 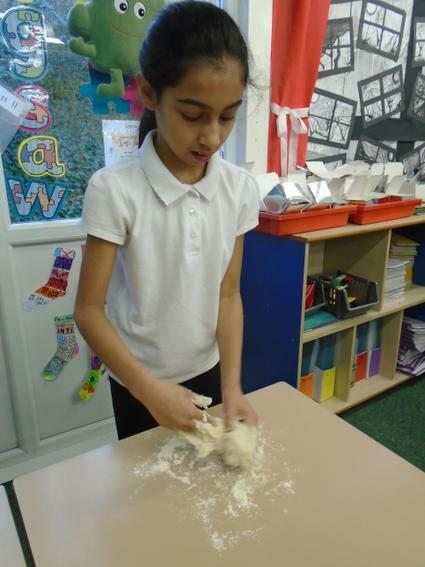 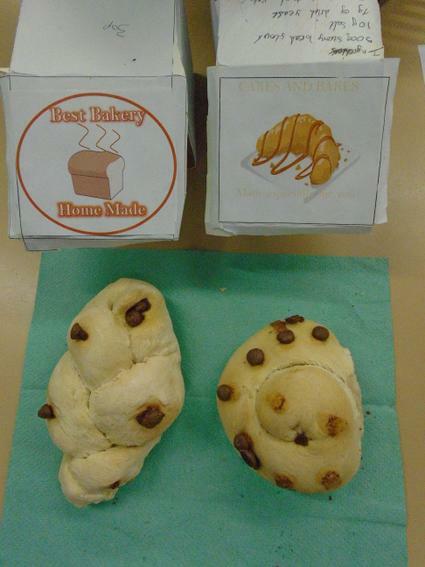 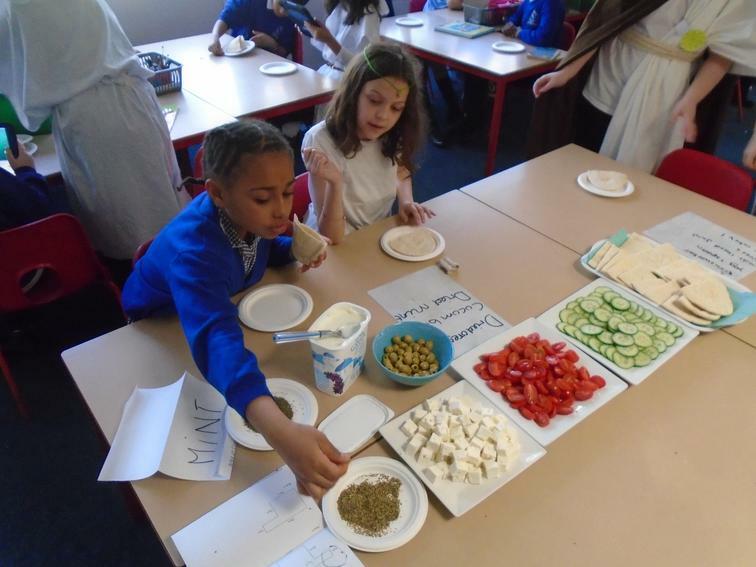 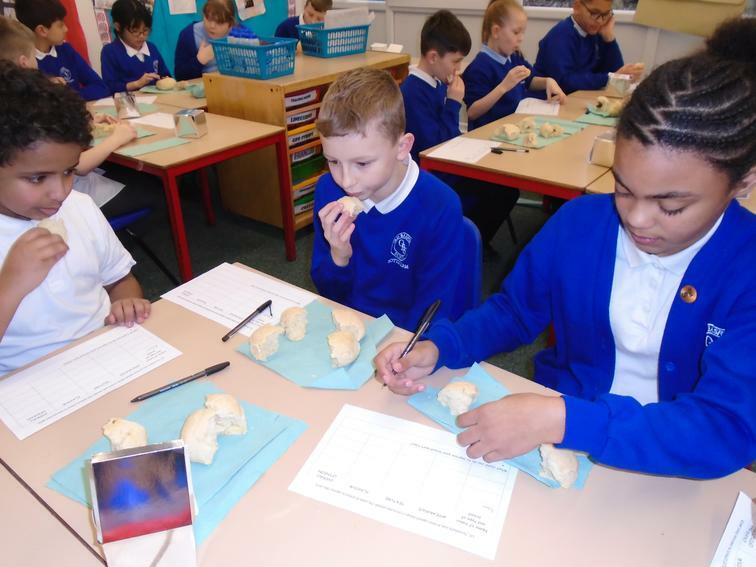 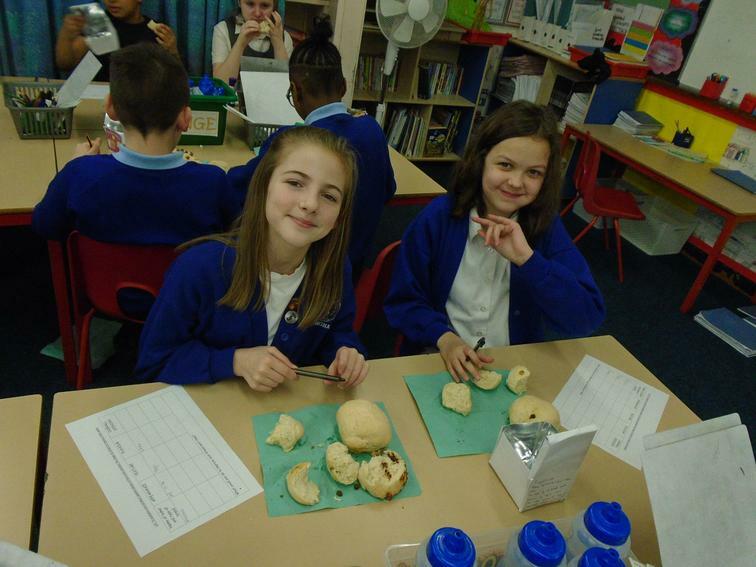 Year 5 have done a brilliant job in learning all about bread! 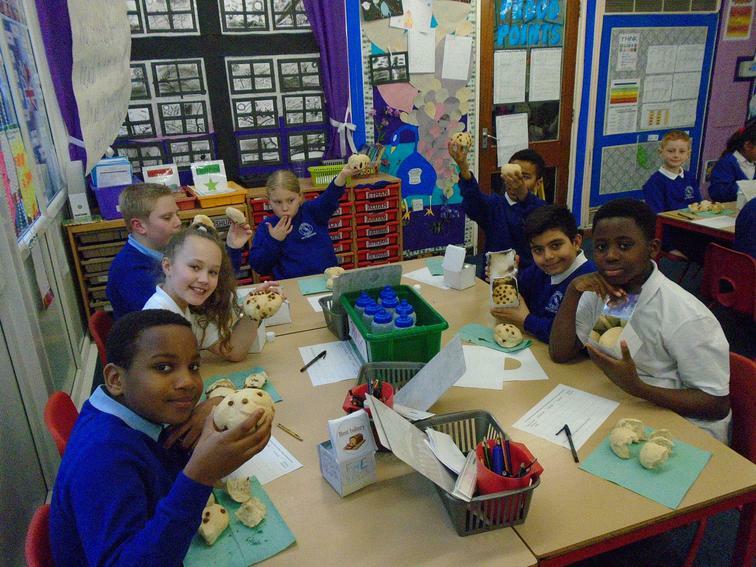 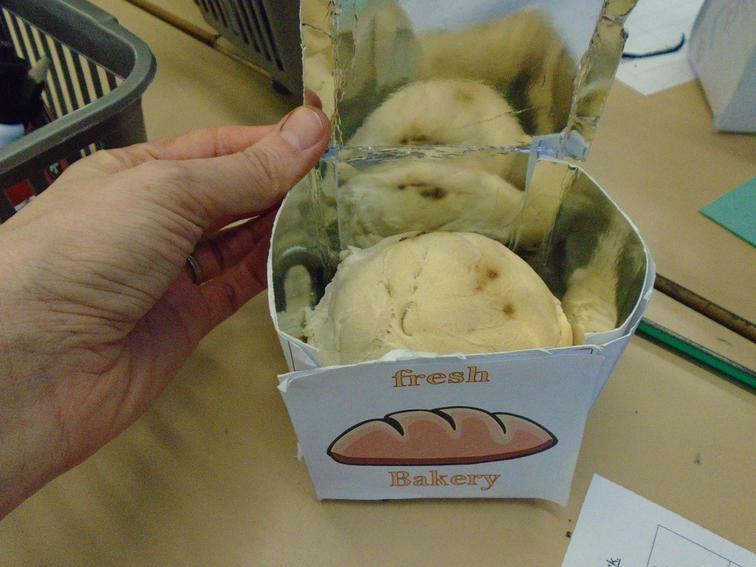 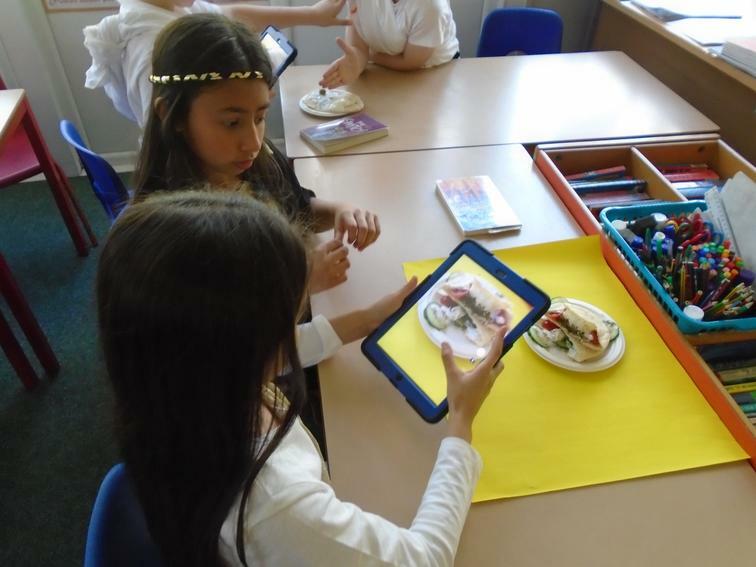 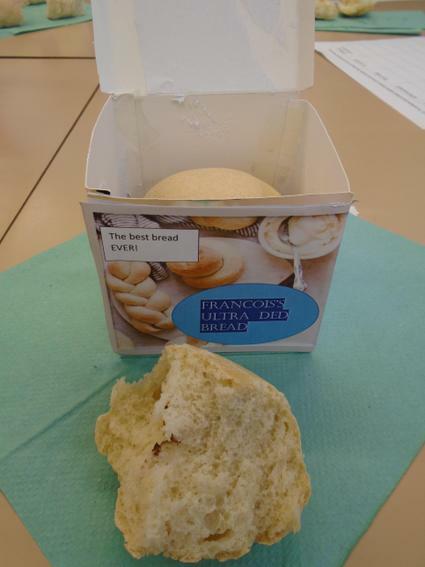 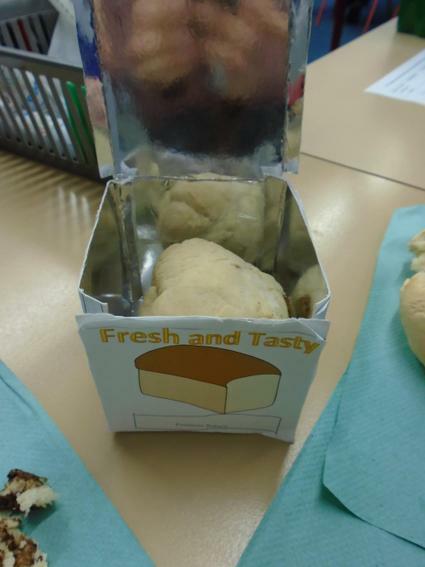 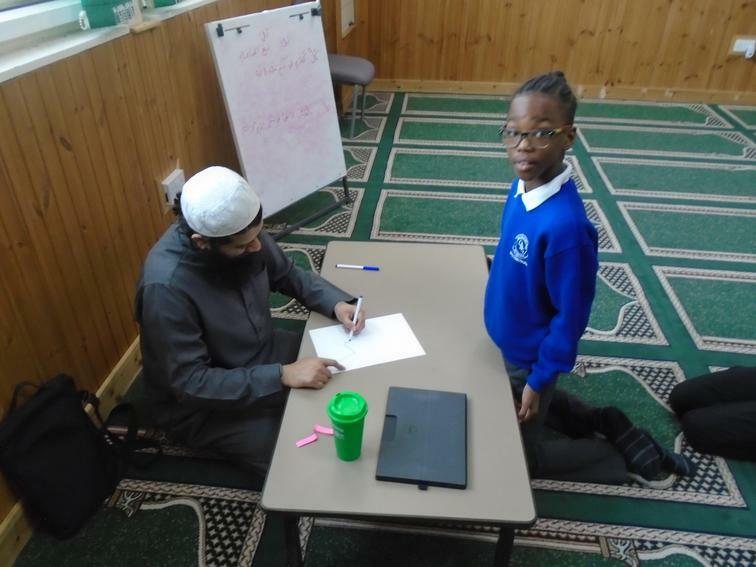 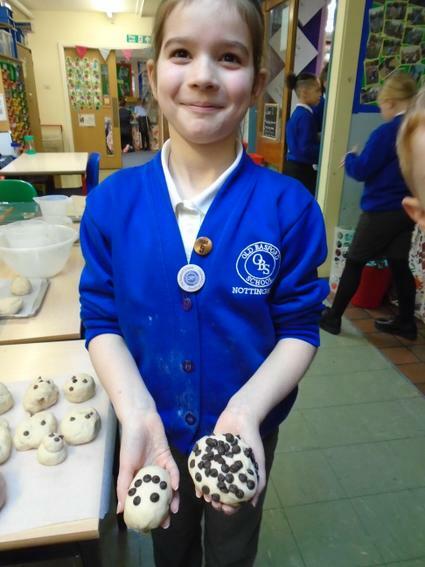 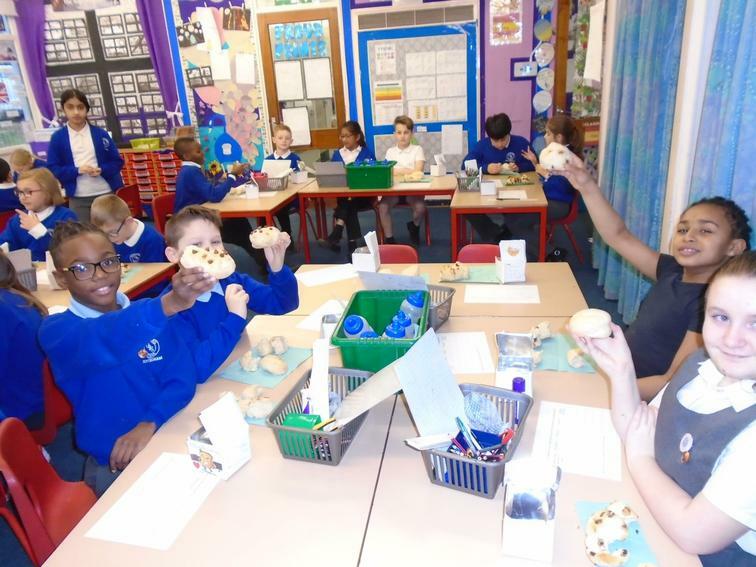 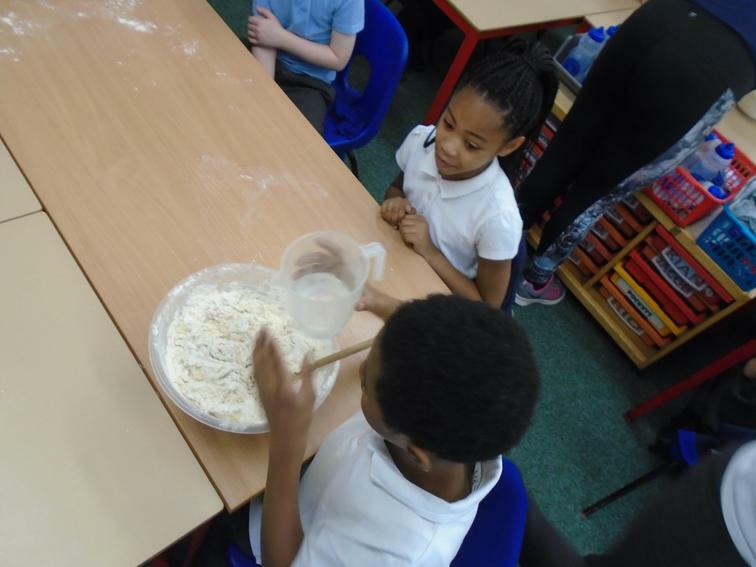 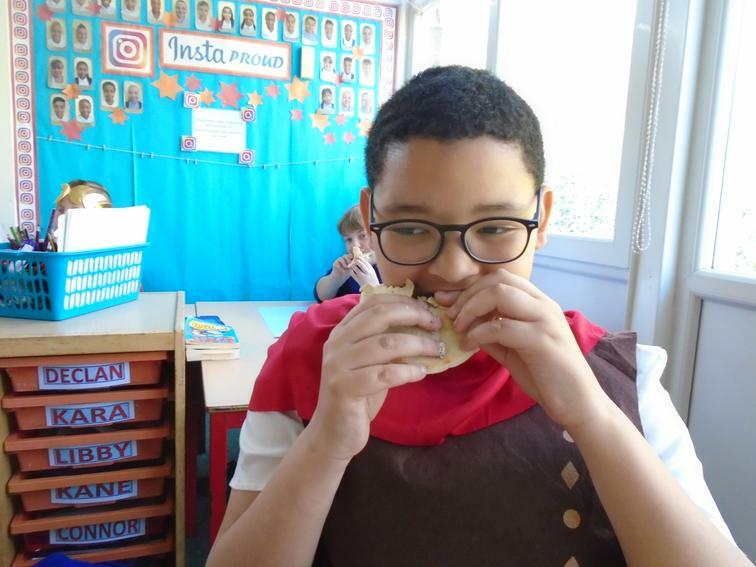 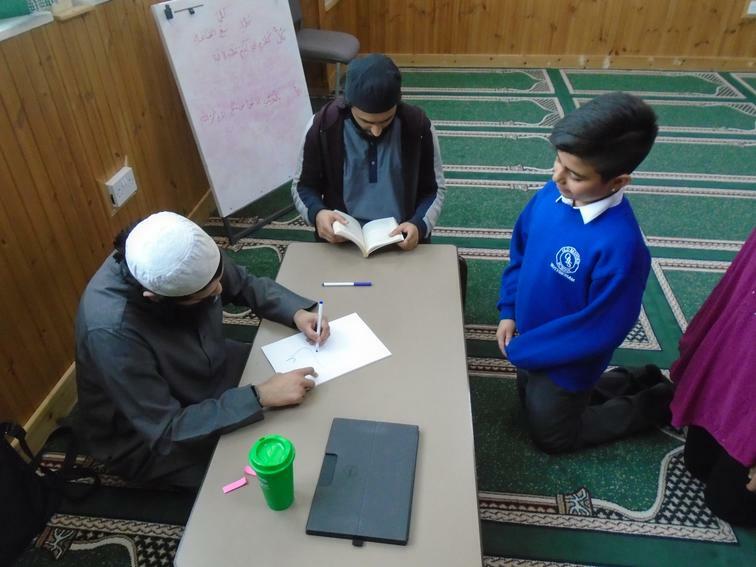 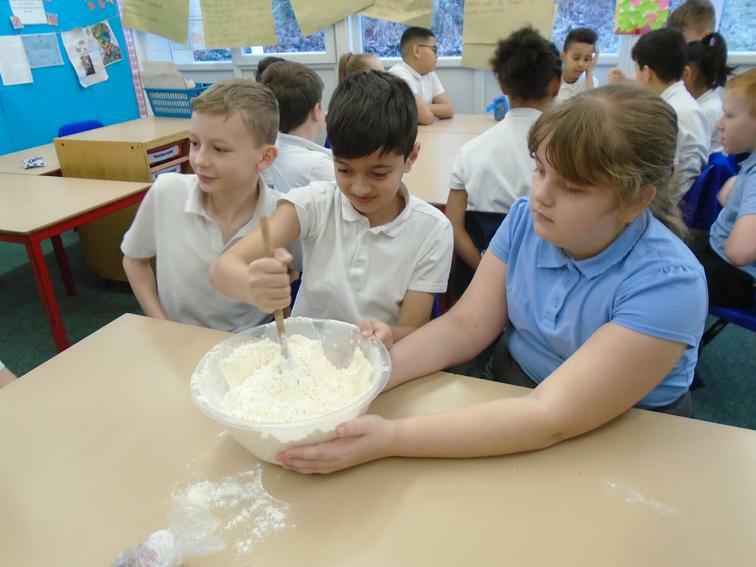 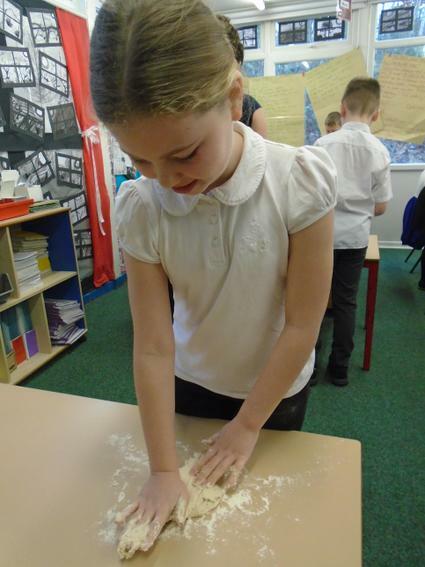 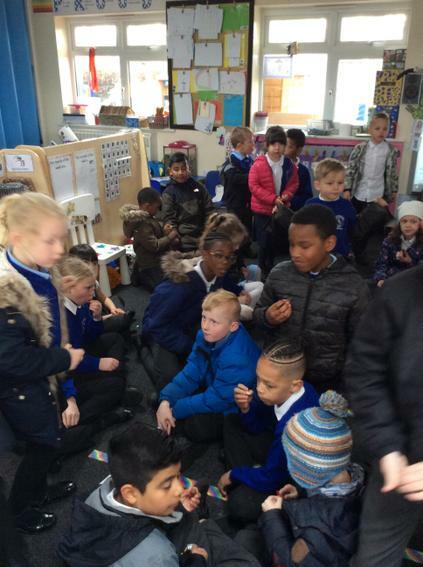 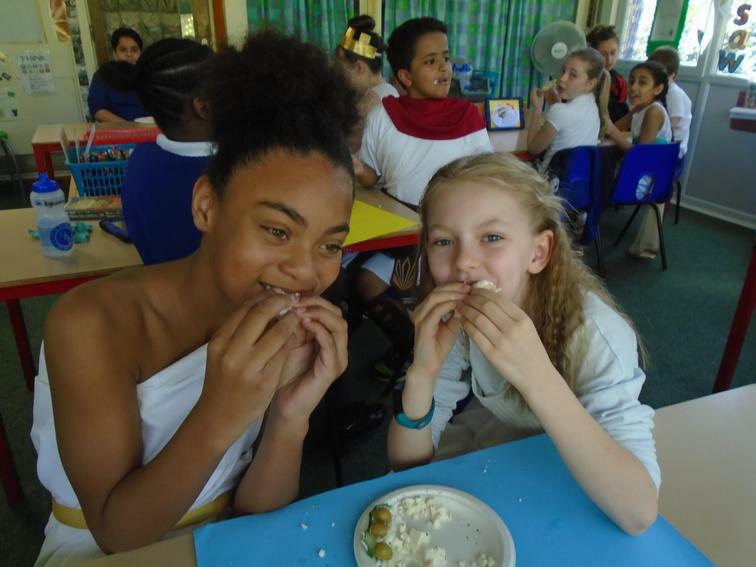 They have learnt how the flour is made, tasted different bread, written instructions for making bread, designed logos, created packages and finally made and evaluated their own bread! 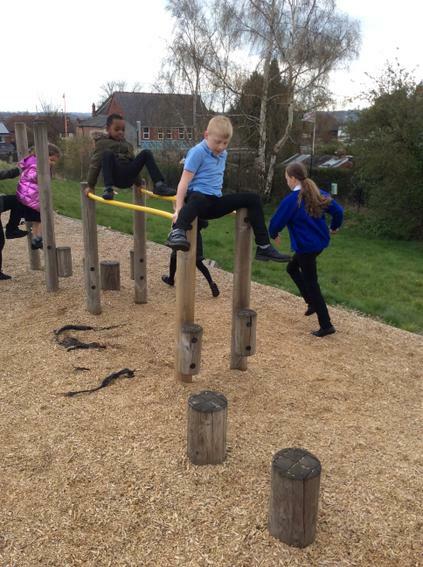 Indoor PE will now be on a Monday, due to no swimming on a Wednesday, can we make sure all children have appropriate kit please. 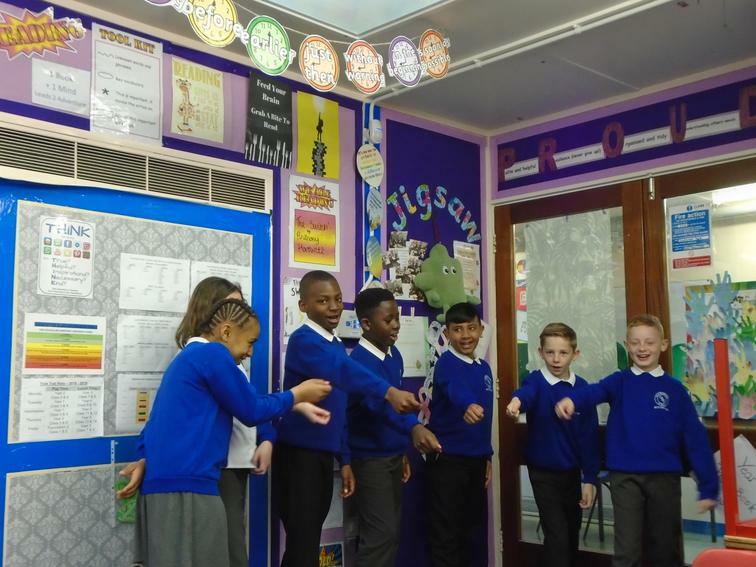 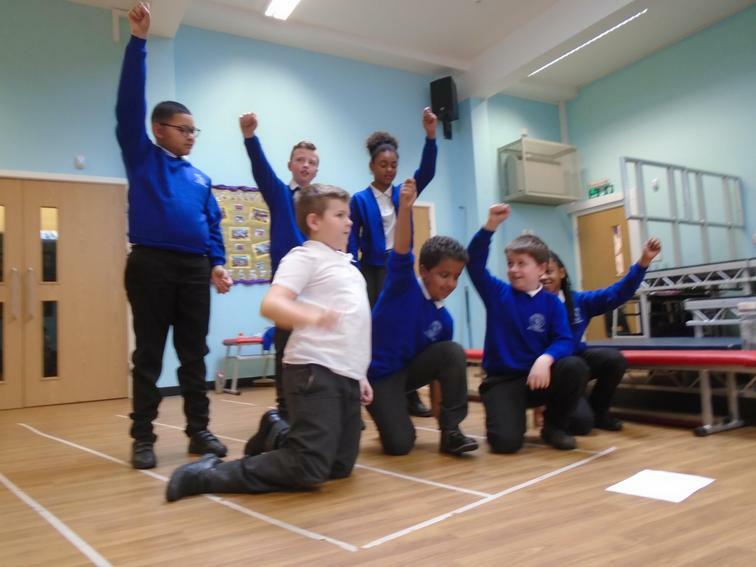 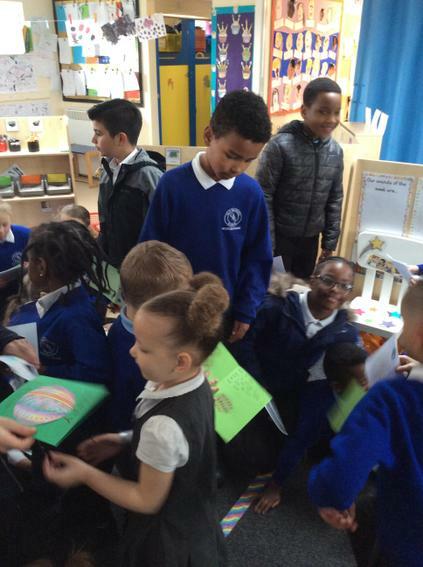 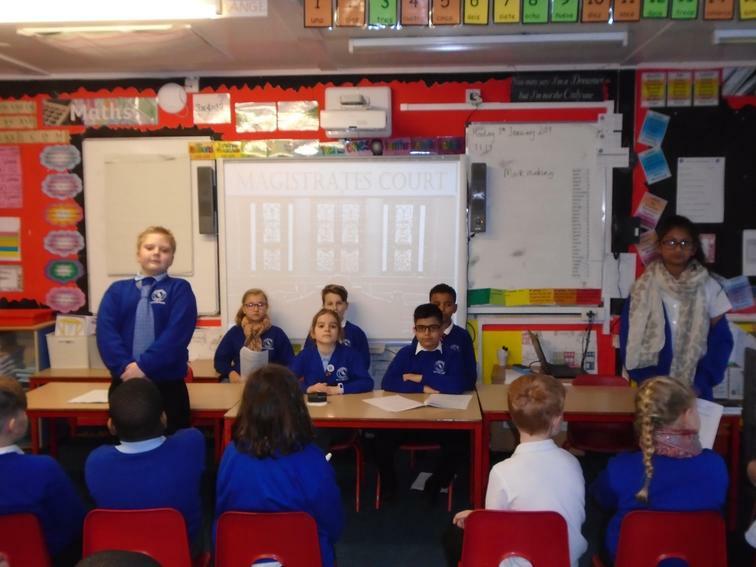 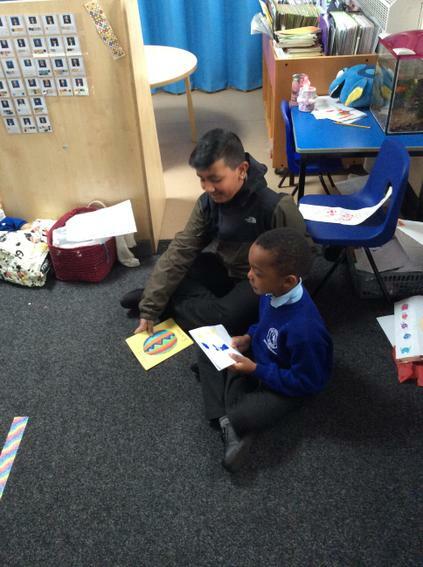 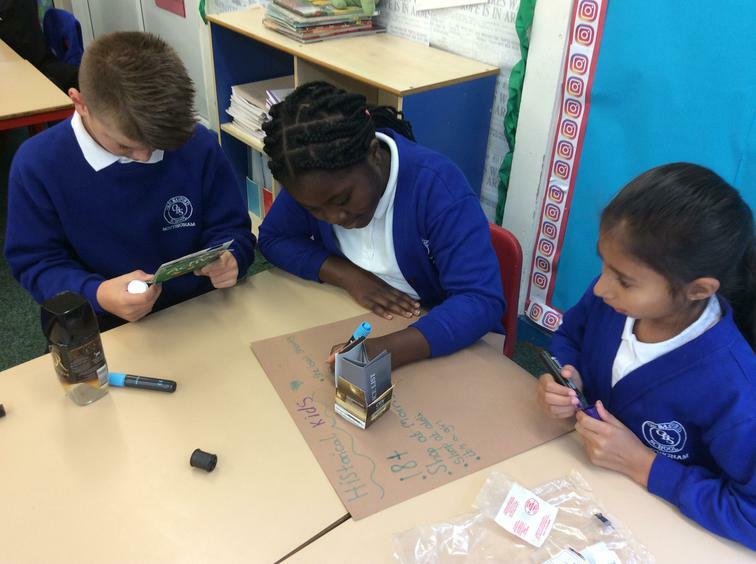 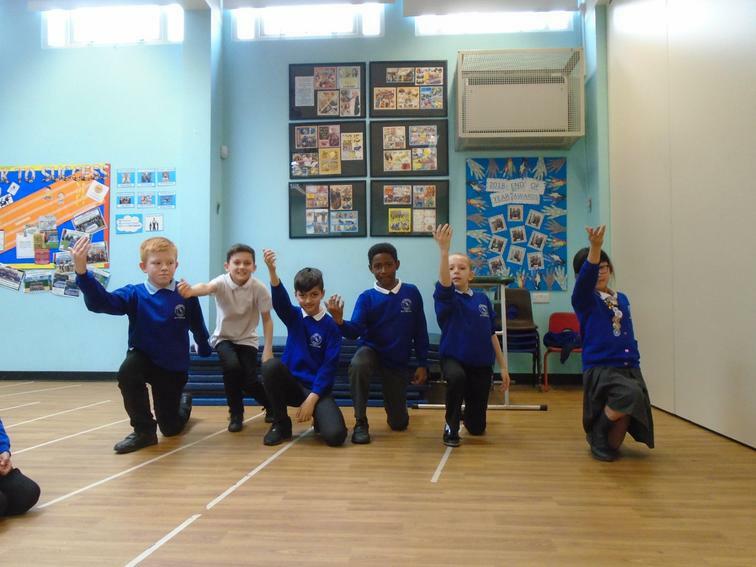 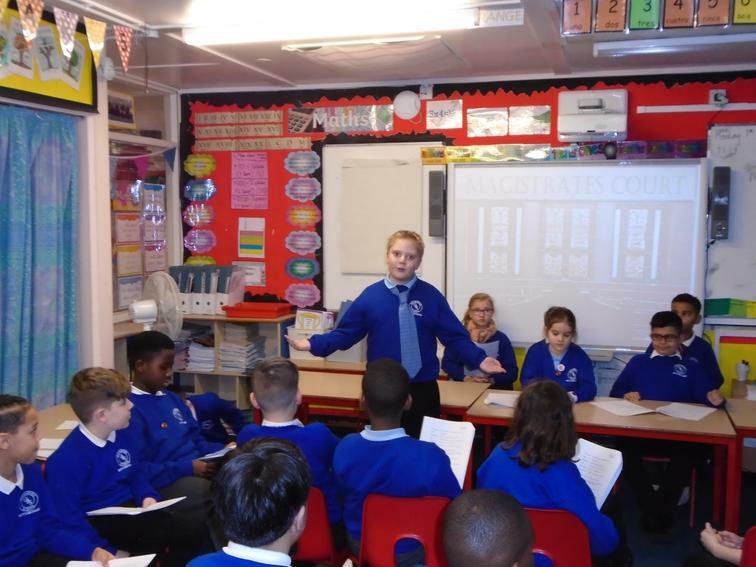 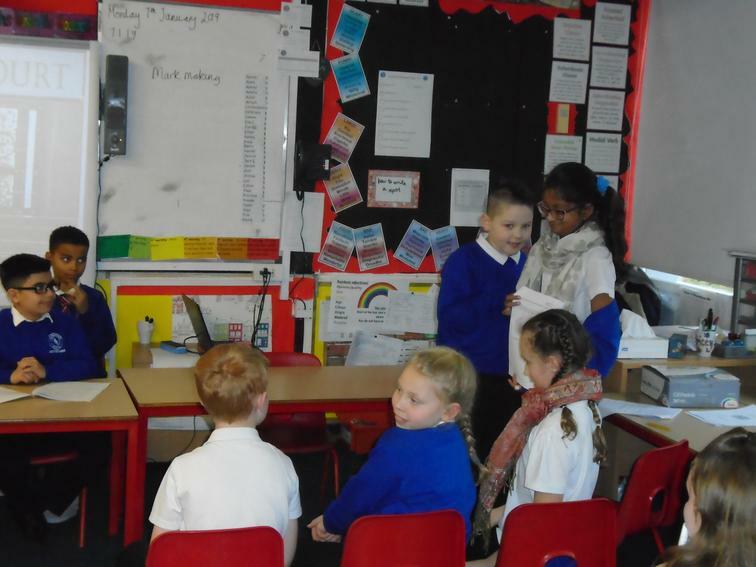 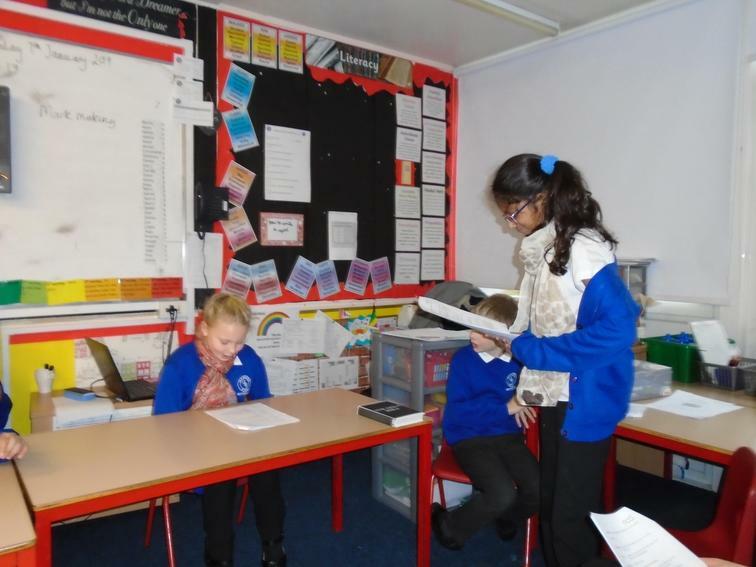 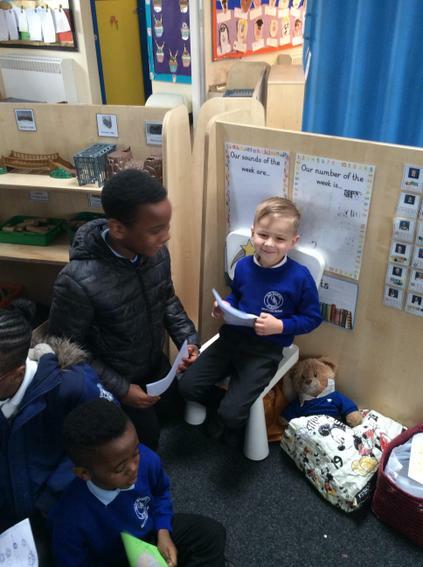 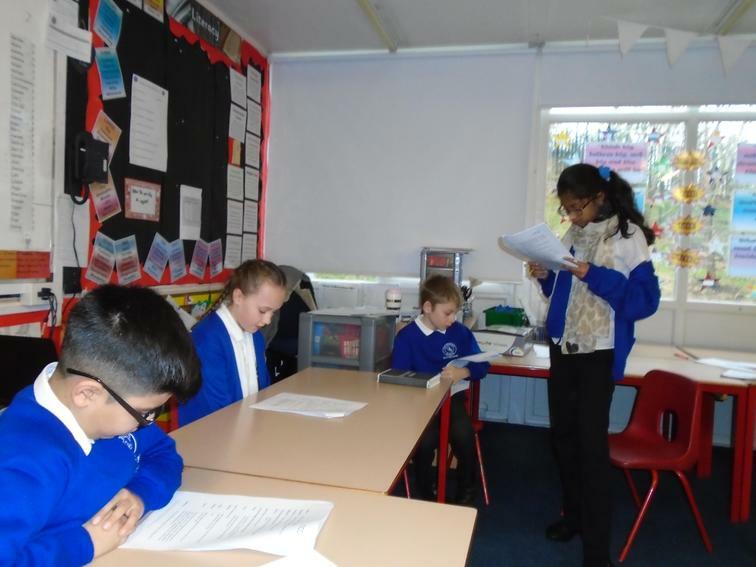 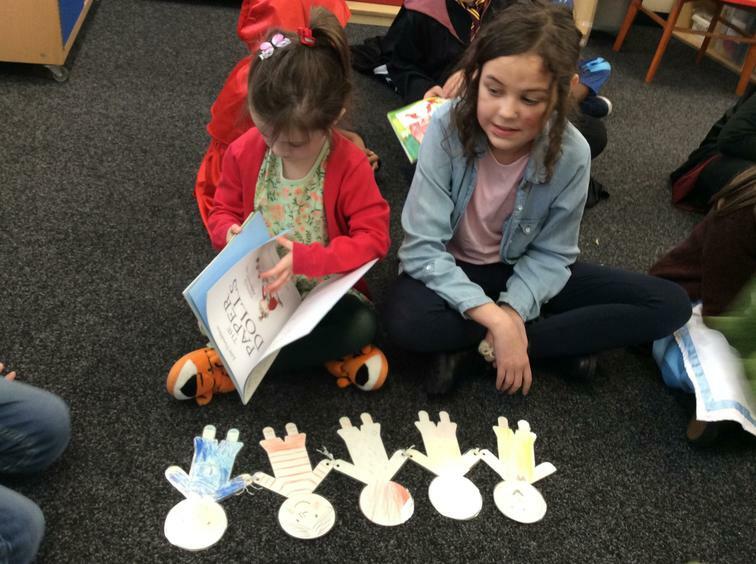 As part of our new topic on Crime and Punishment, the children created a court scene in class. 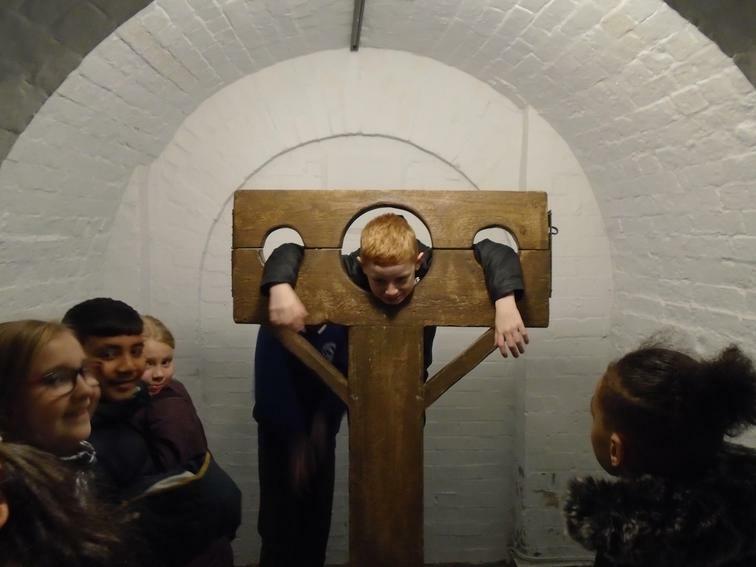 They were brilliant at taking on a variety of roles and at the end had to decide on a suitable punishment for the accused. 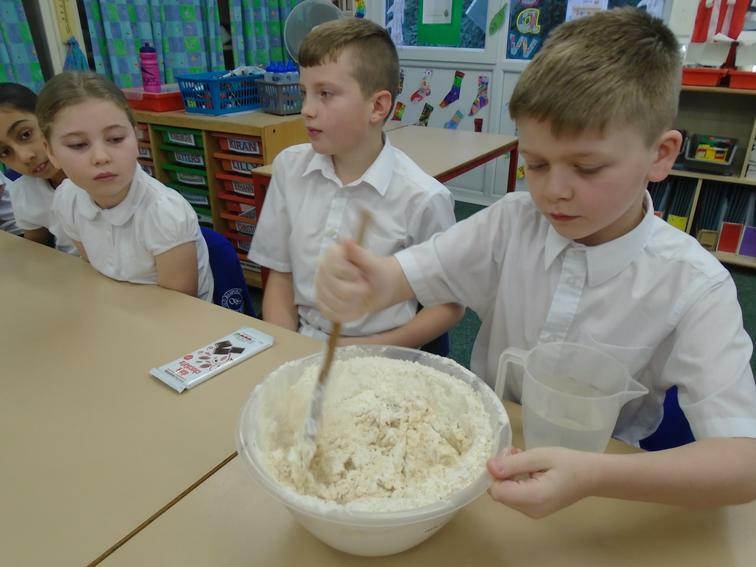 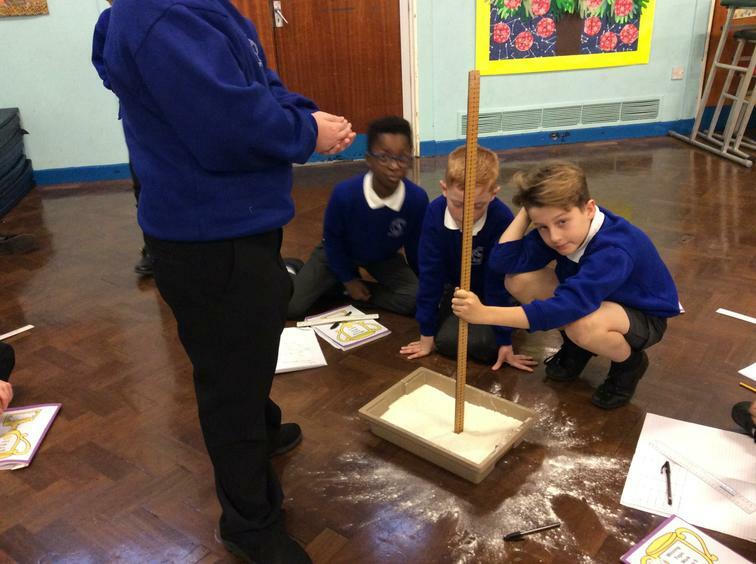 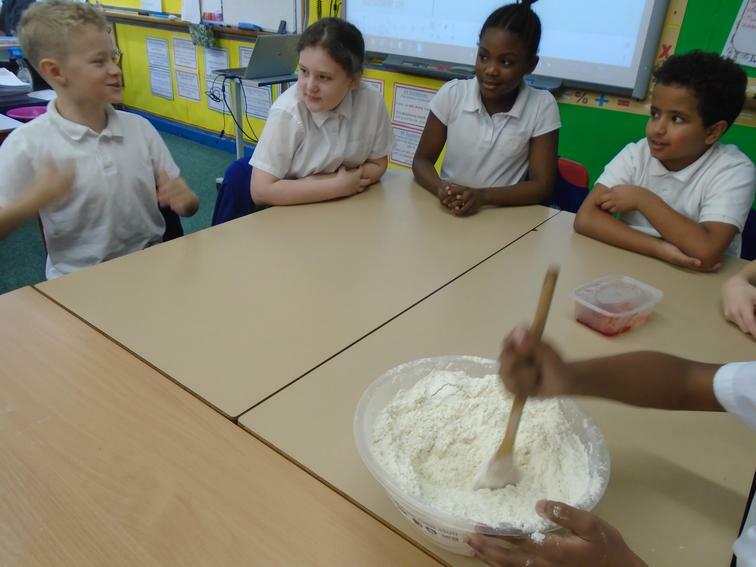 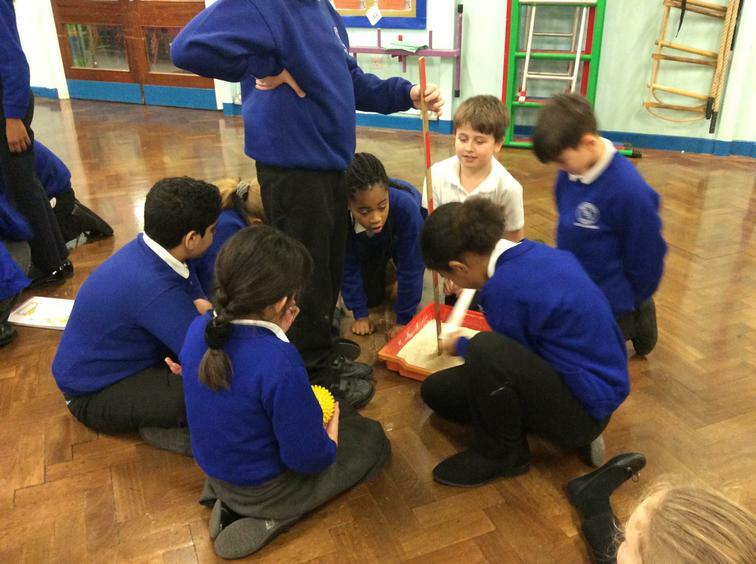 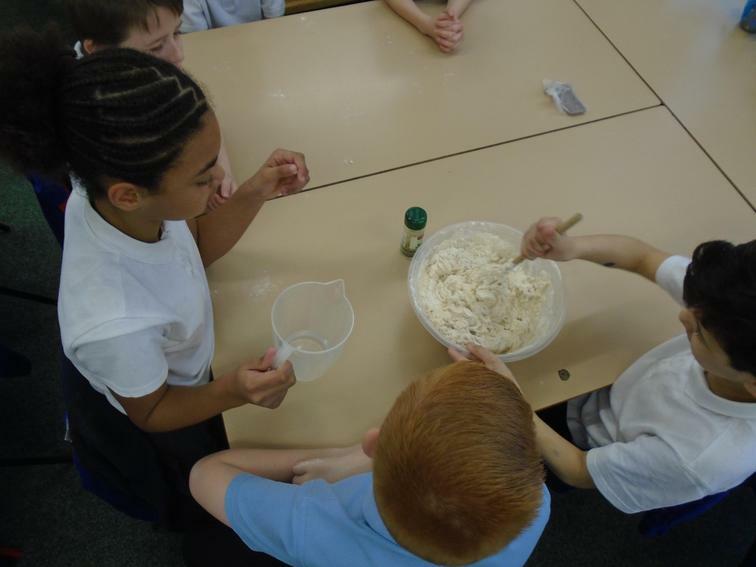 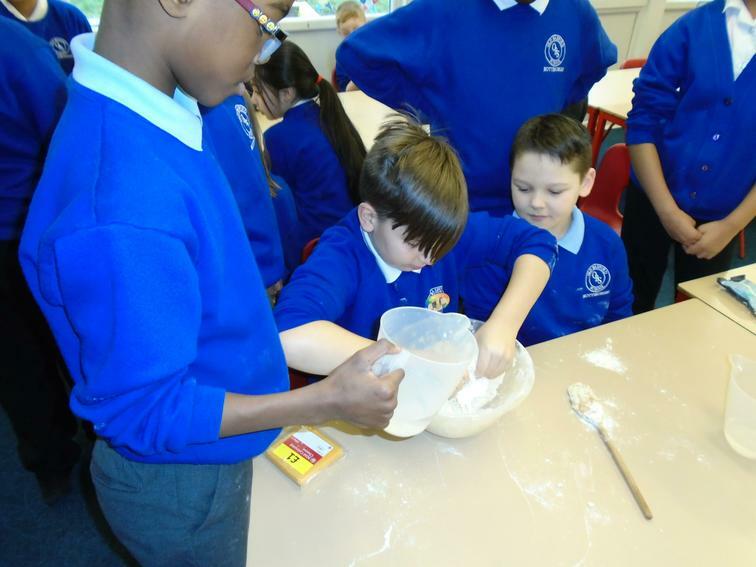 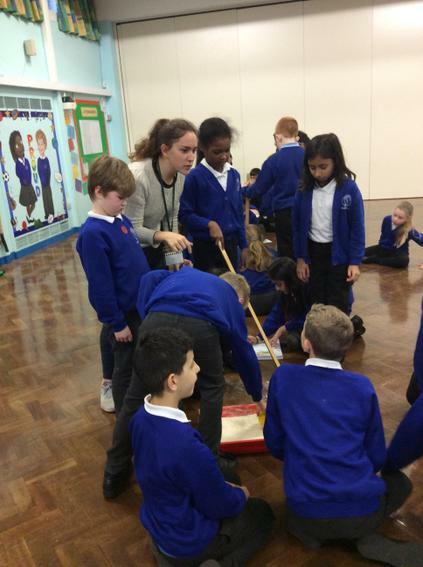 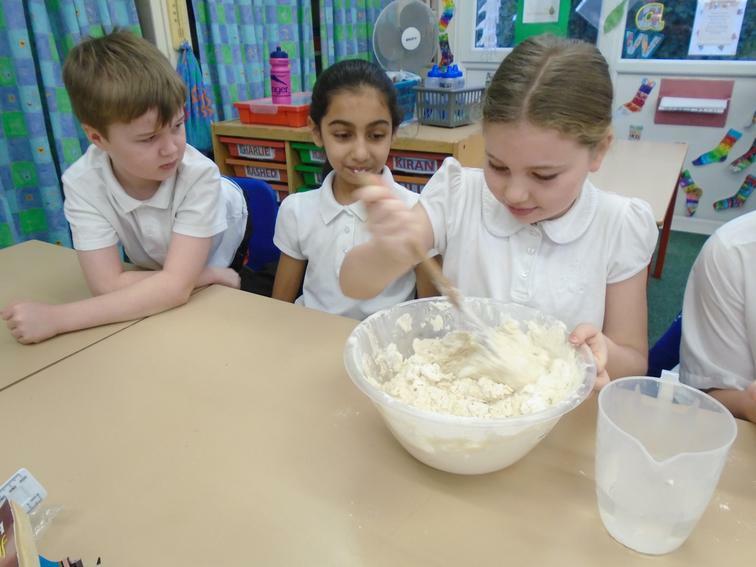 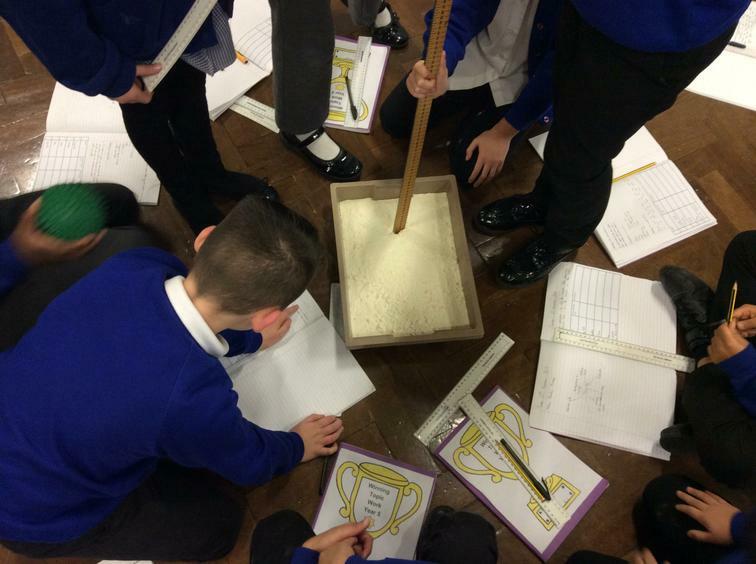 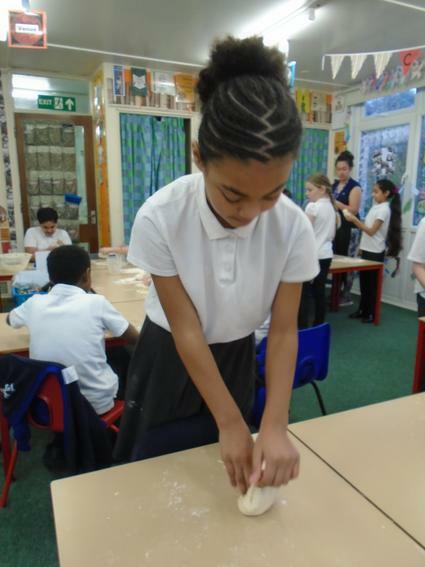 After discussing what meteorites were, we carried out an investigation to find out the impact of different sized objects falling in a tray of flour. 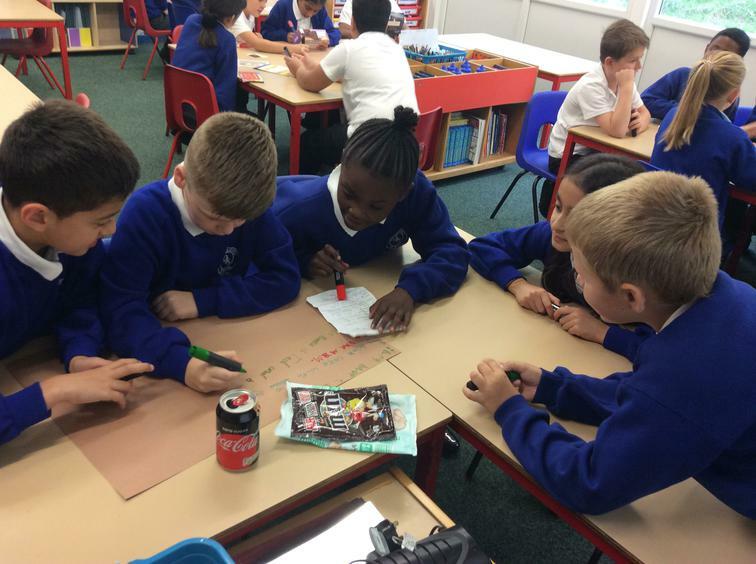 We made predictions, carried out a fair test, made observations, recorded the method and based our conclusion on our evidence. 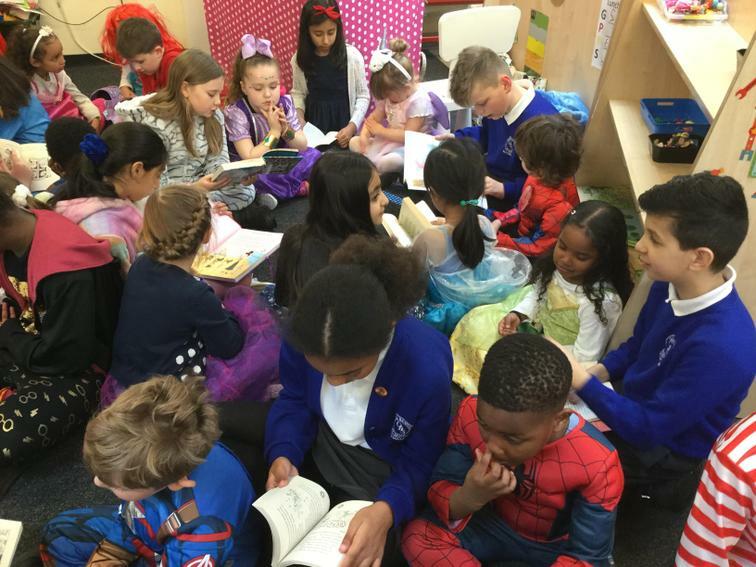 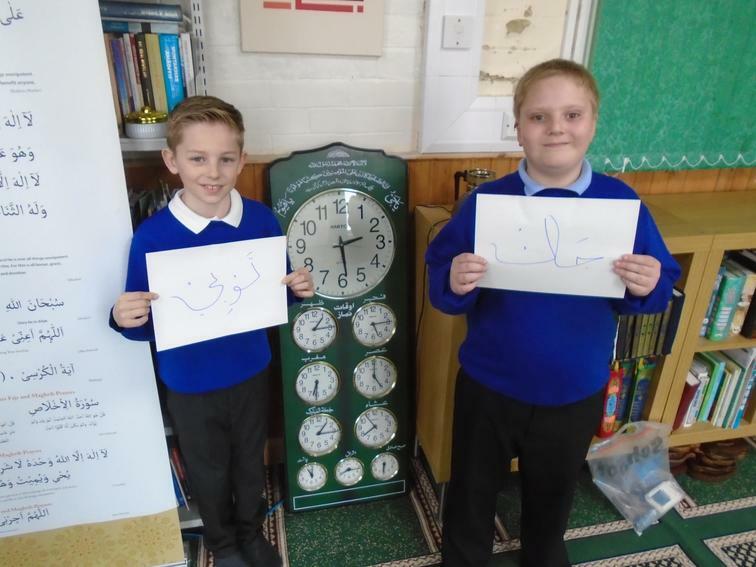 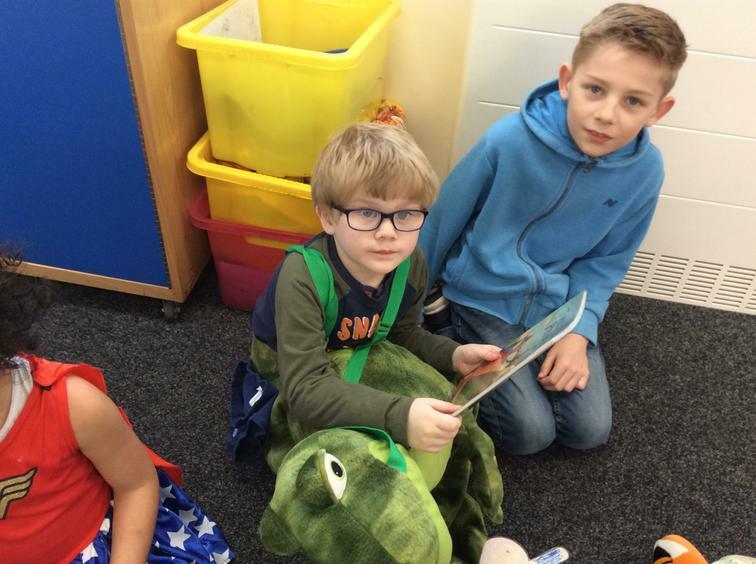 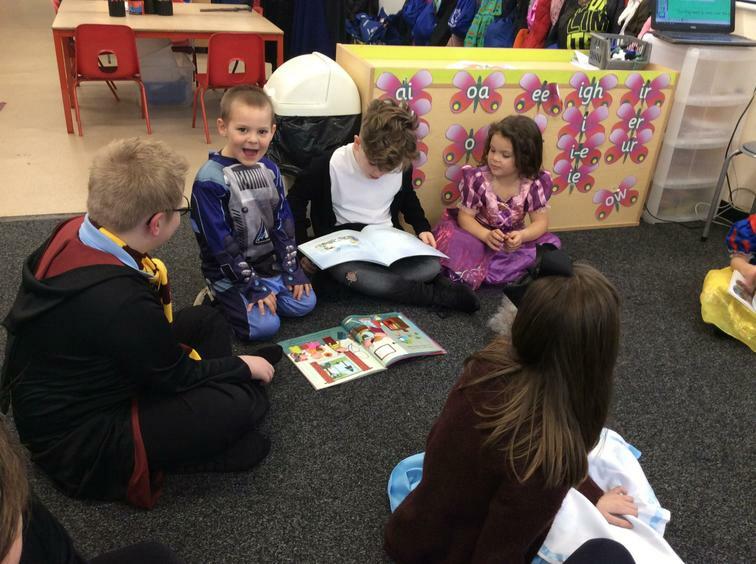 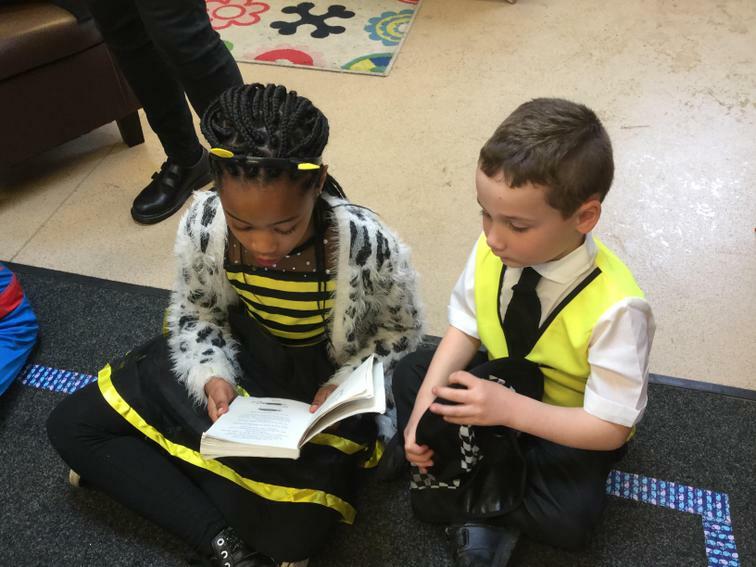 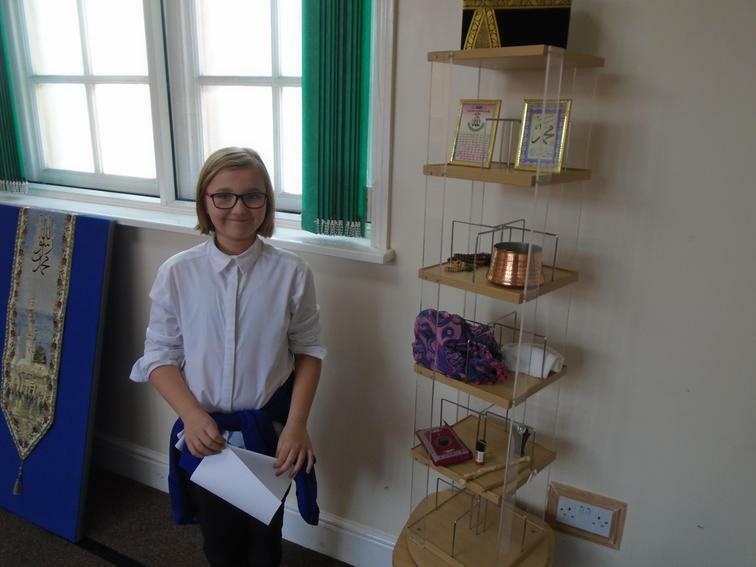 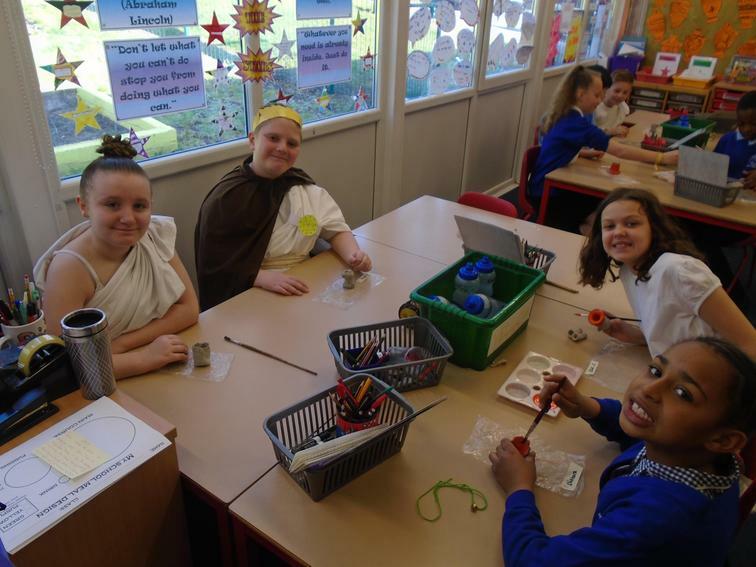 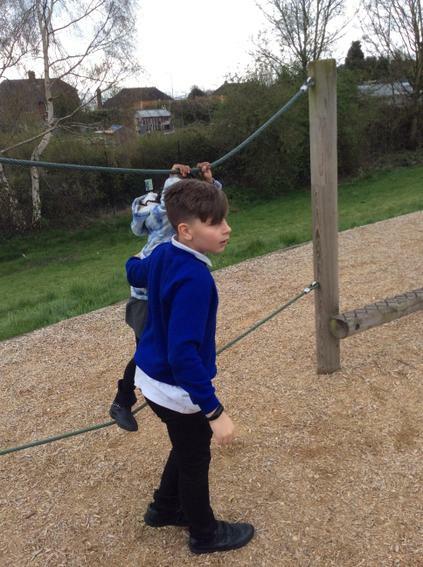 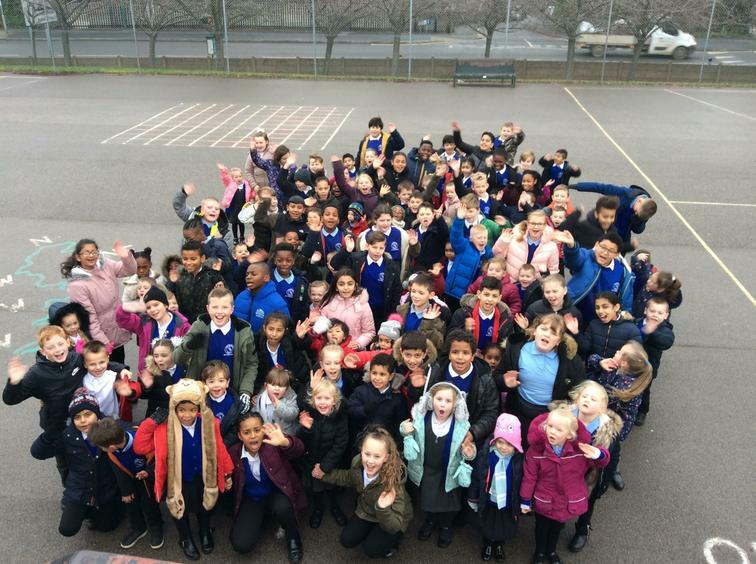 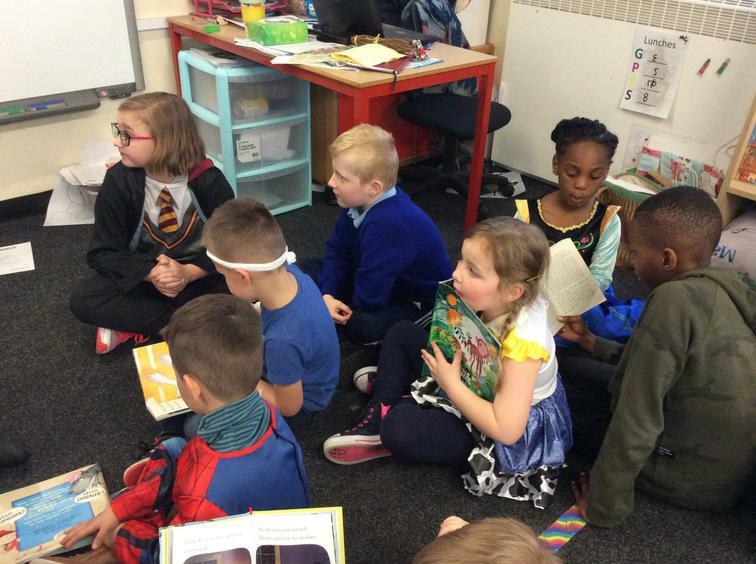 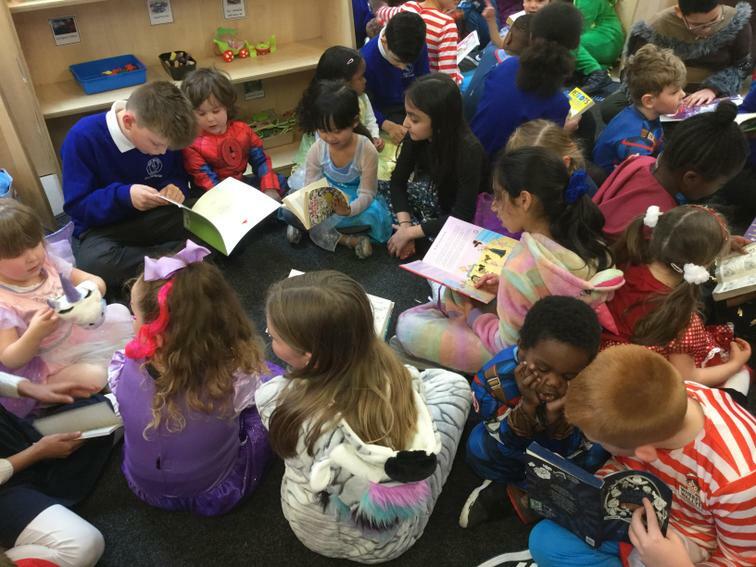 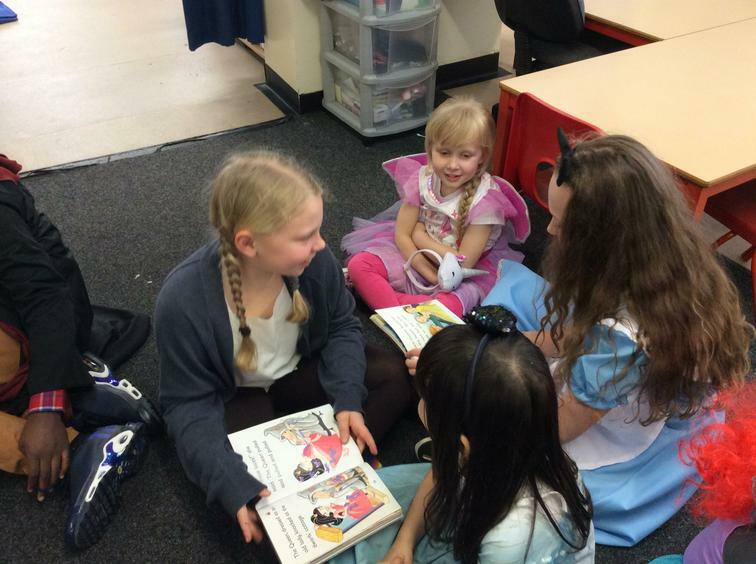 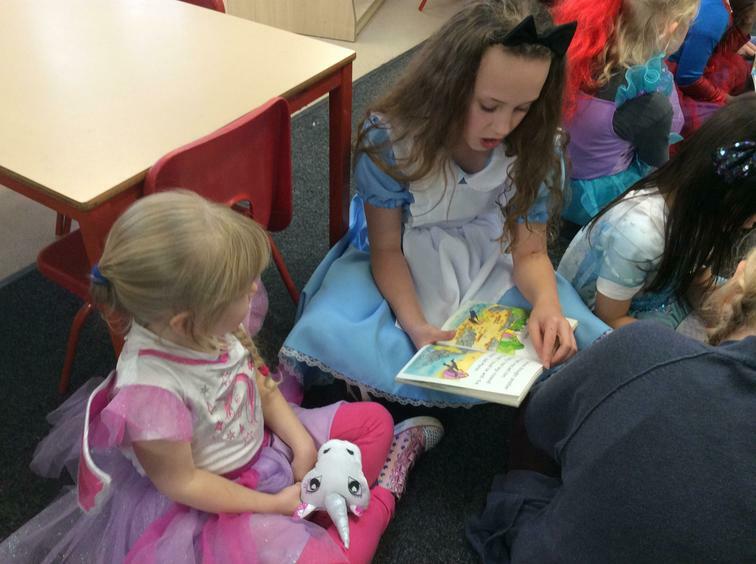 WOW DAY IN YEAR 5! 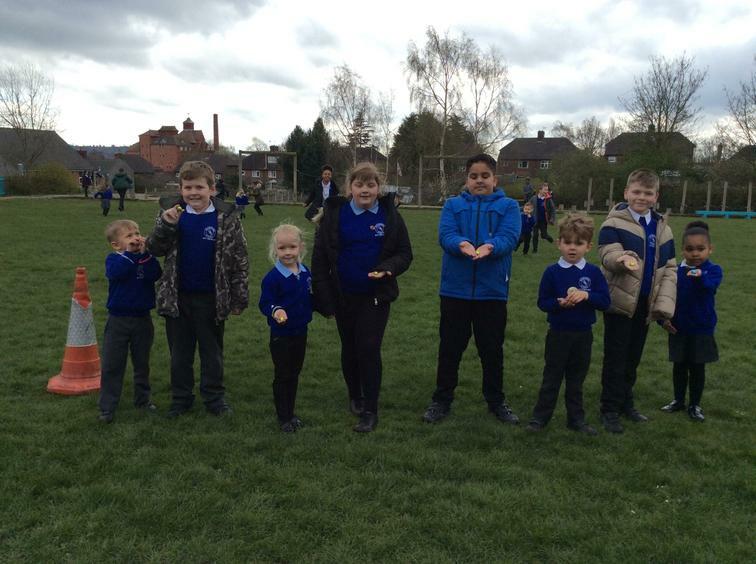 'STRANGE' OBJECTS FOUND ON THE FIELD? 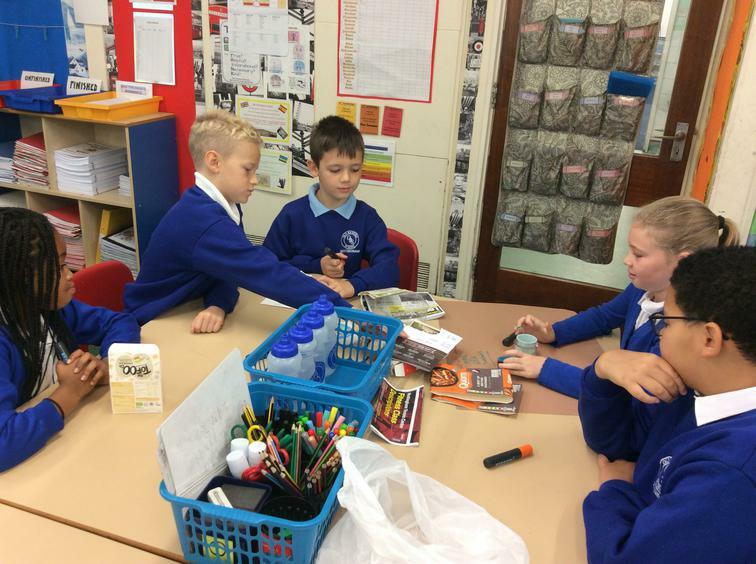 Our topic for this half term is WORLD WAR 1. 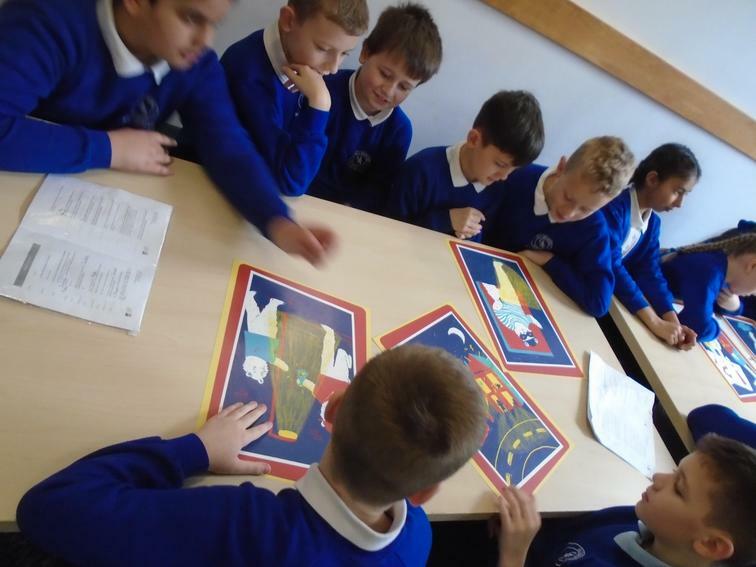 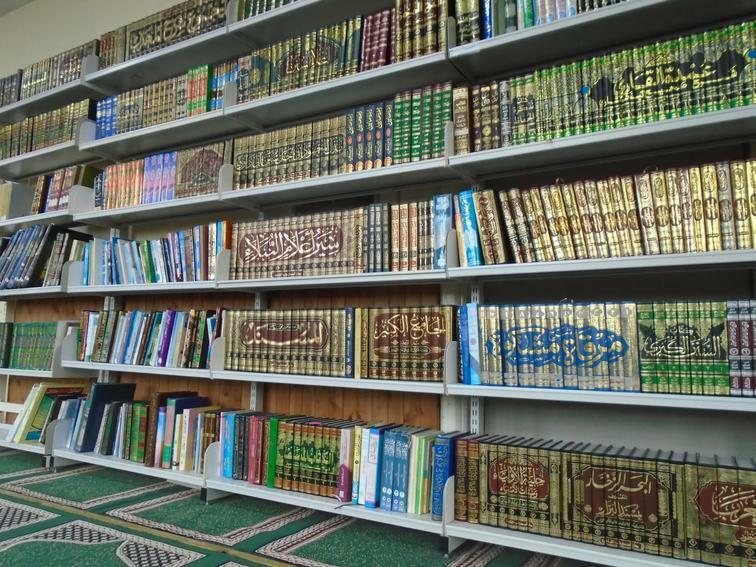 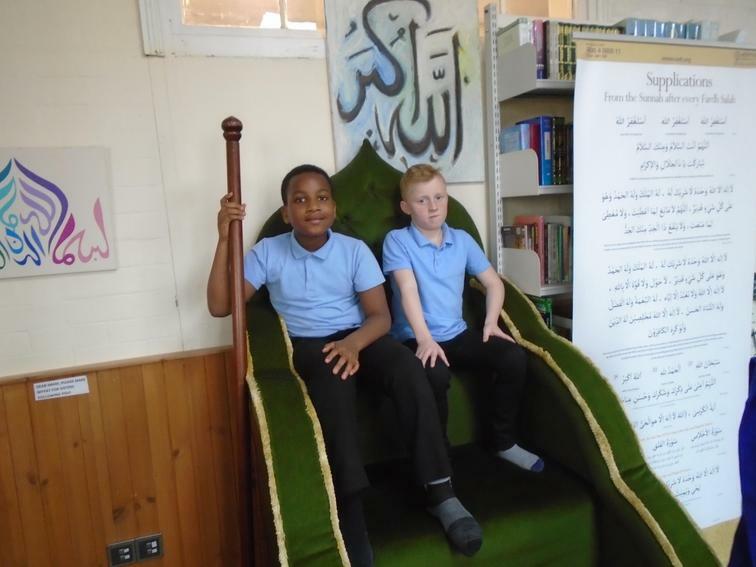 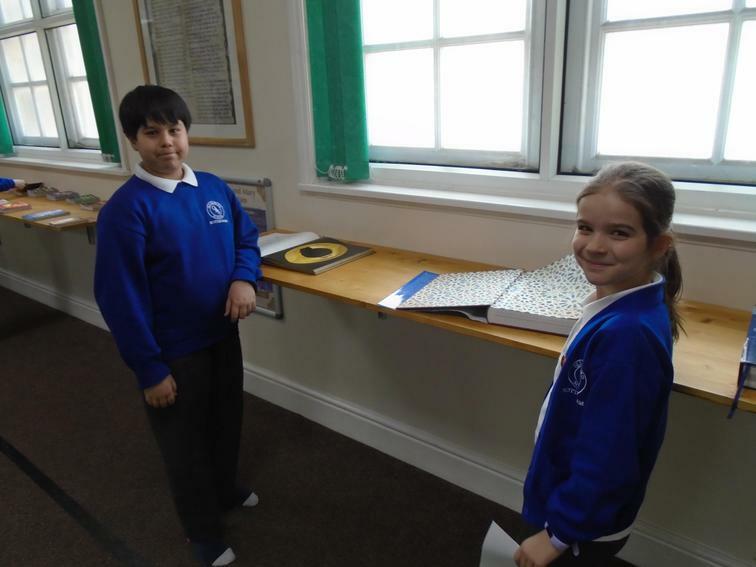 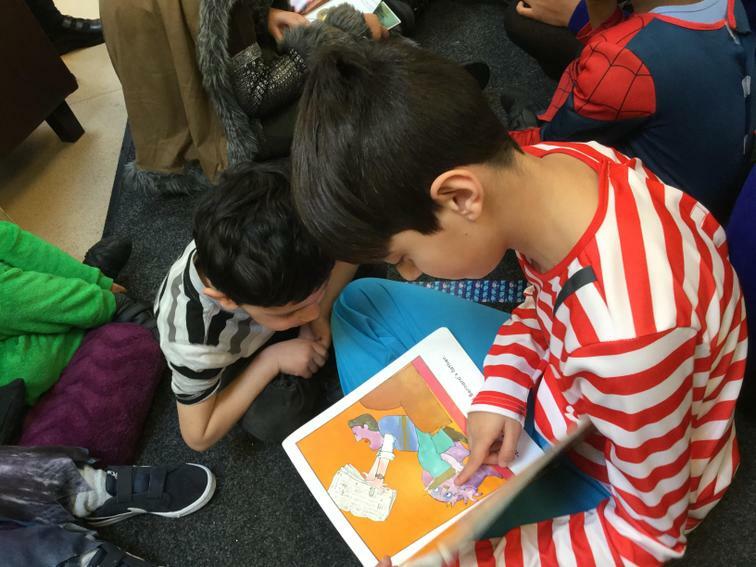 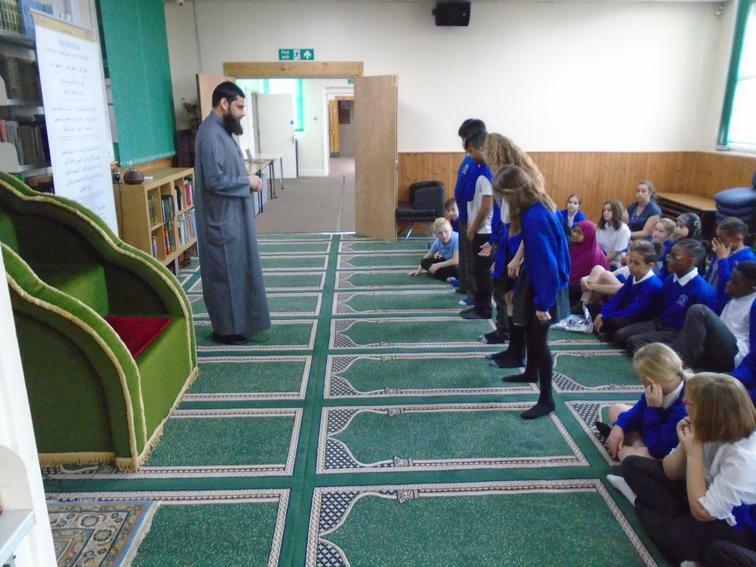 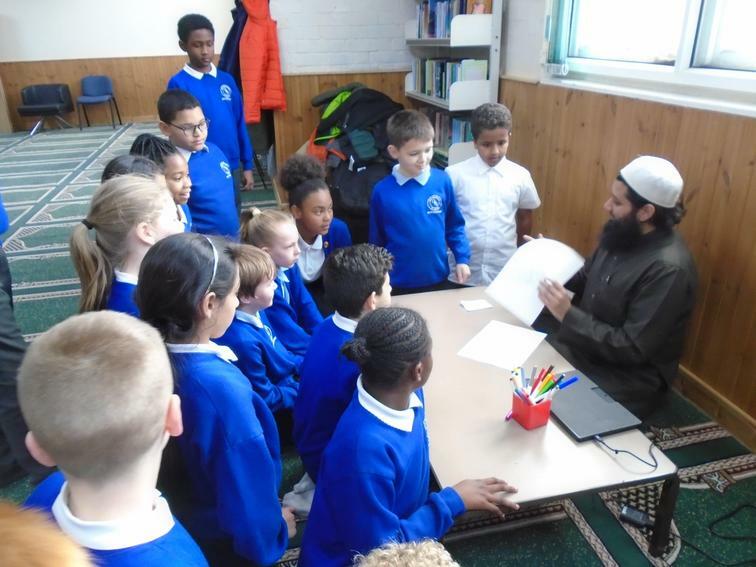 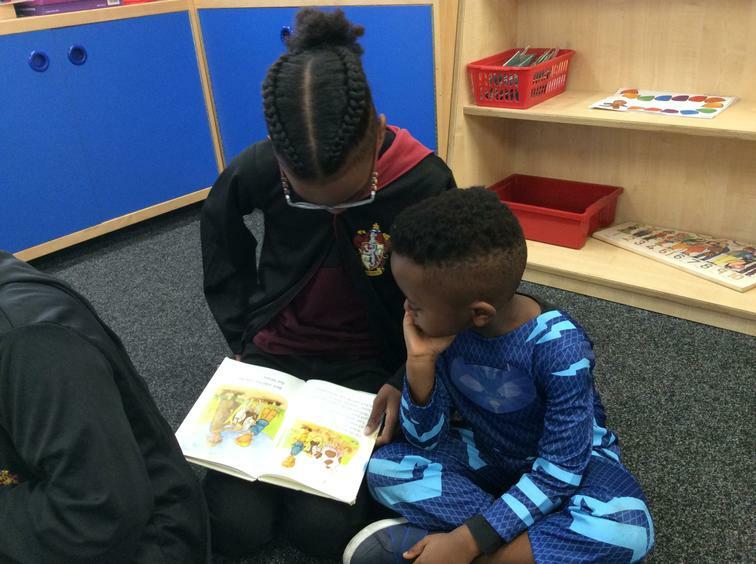 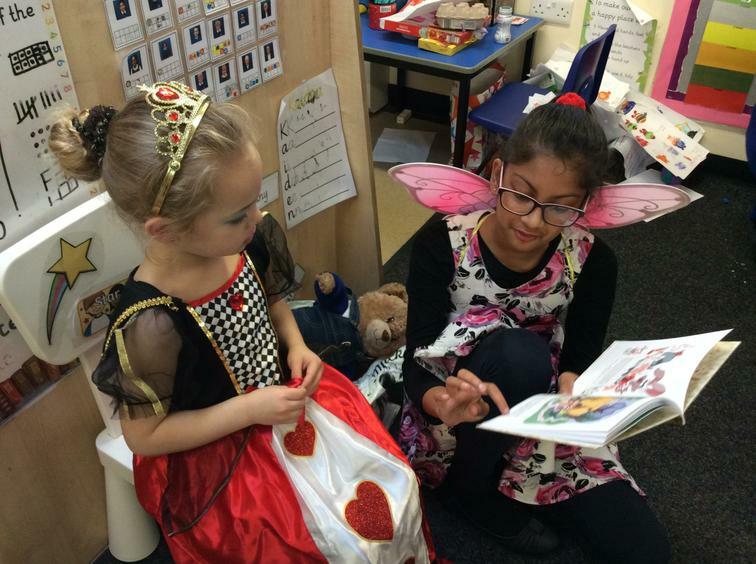 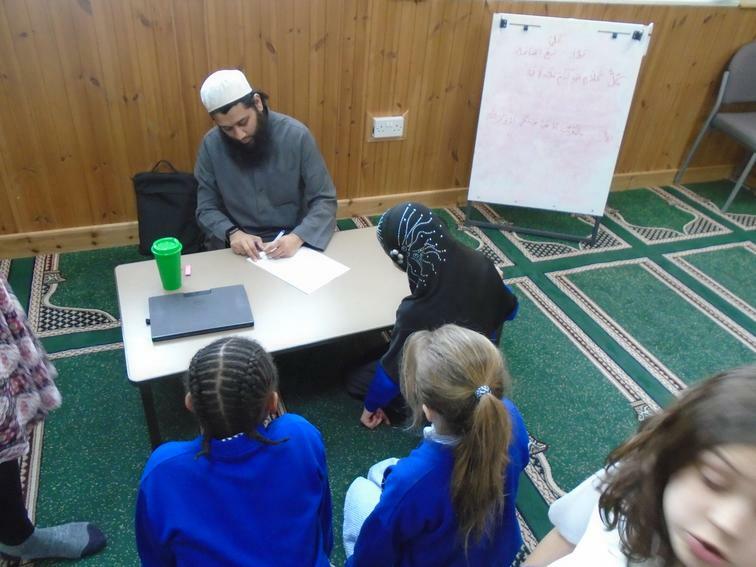 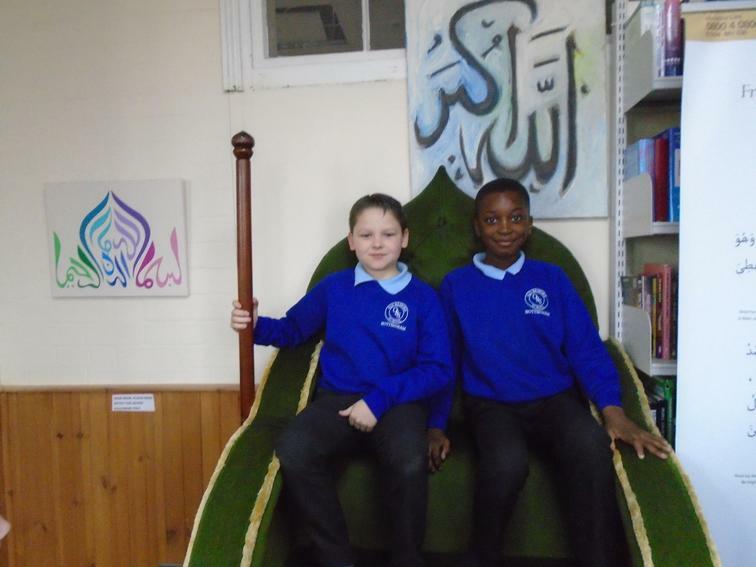 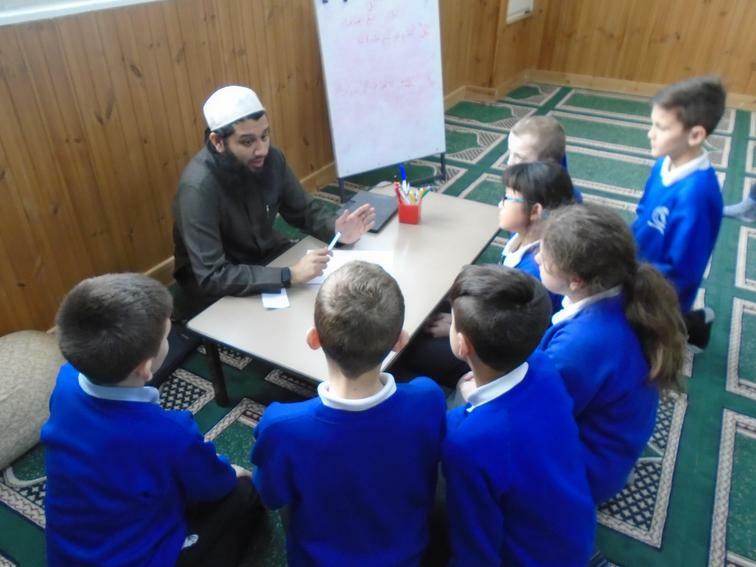 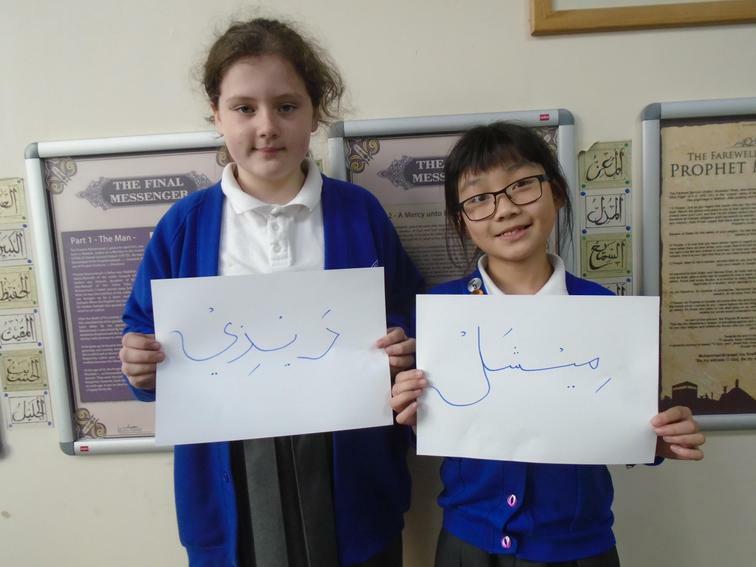 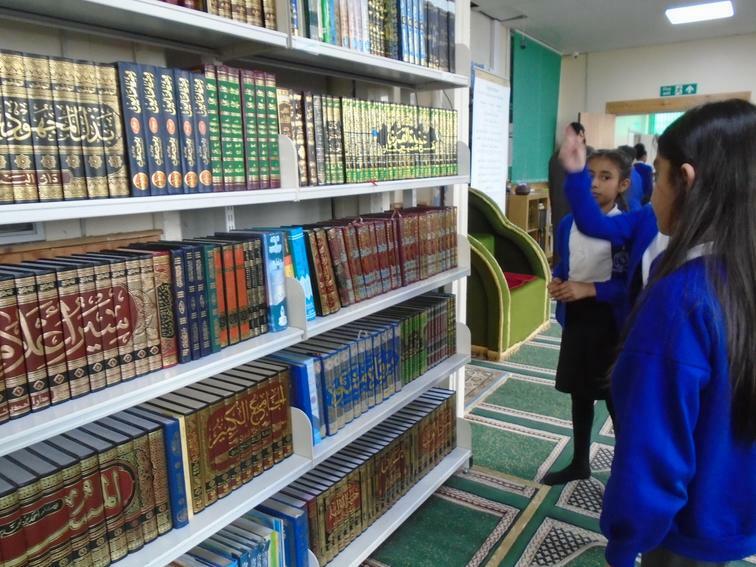 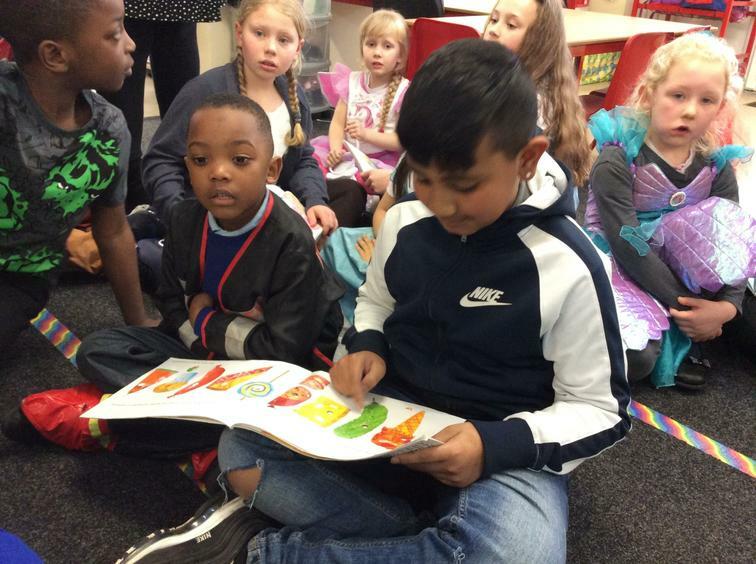 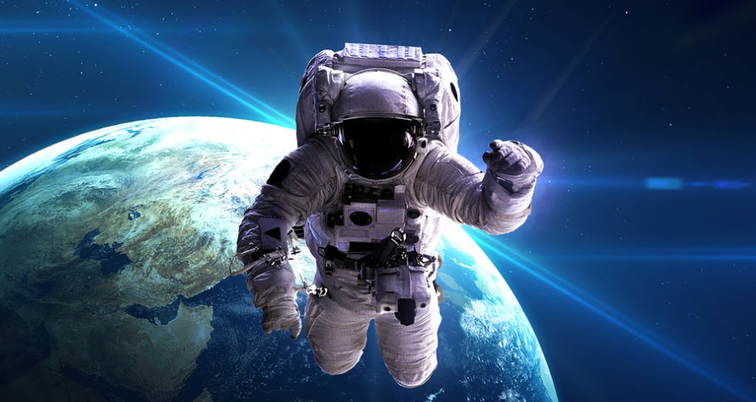 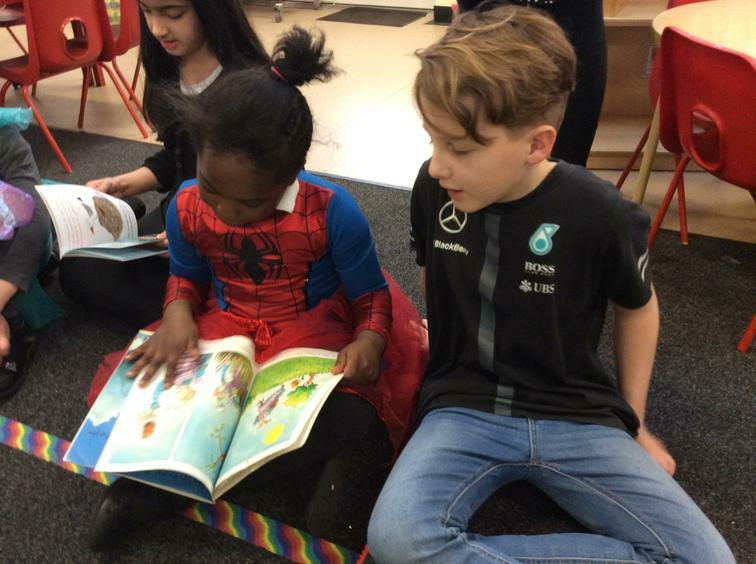 Our work in reading, writing, history, geography and art all focus on this event. 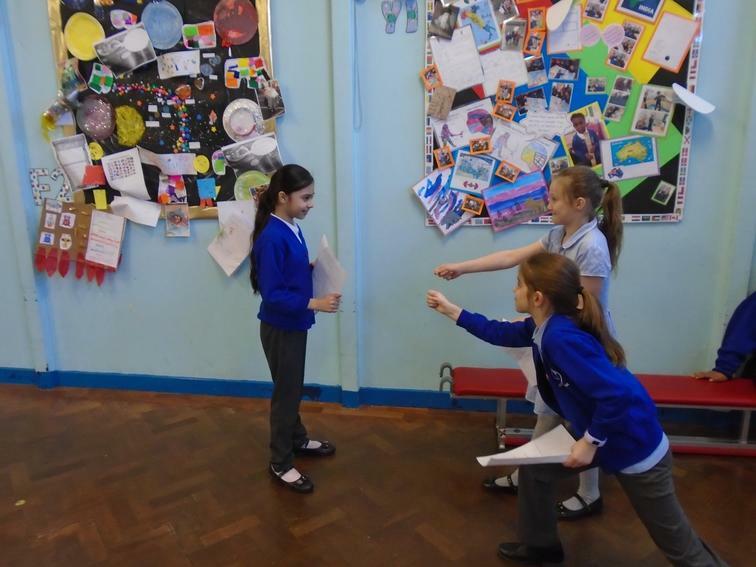 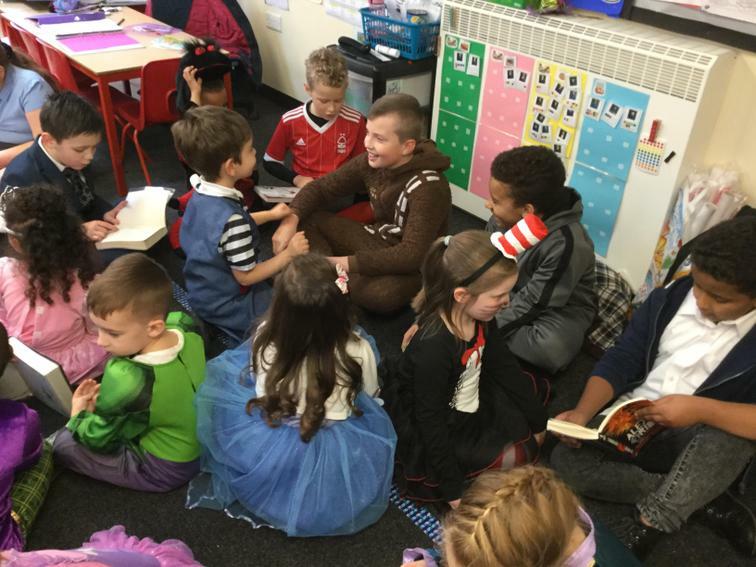 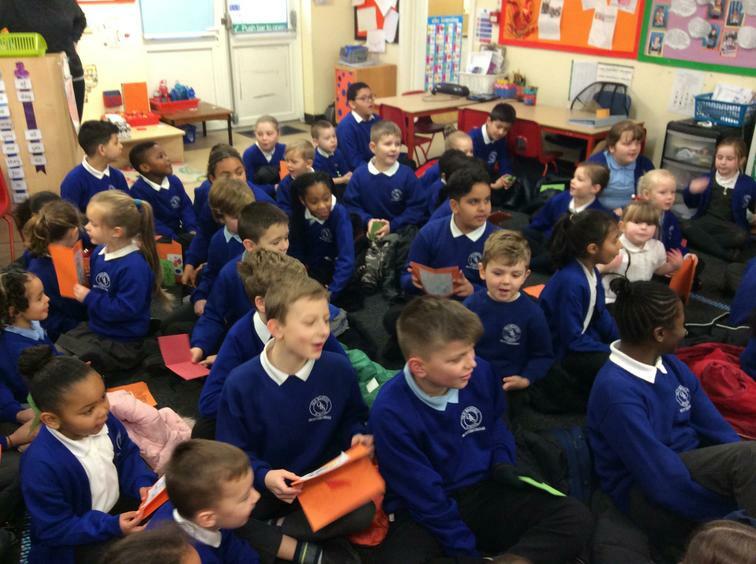 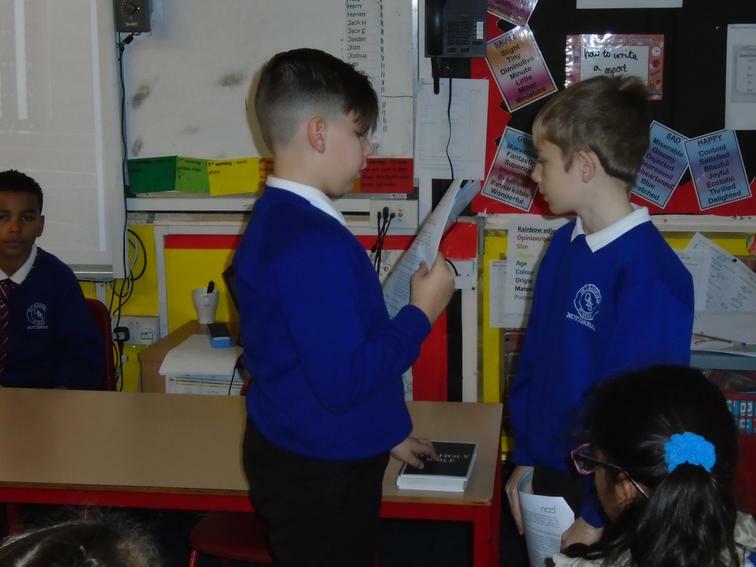 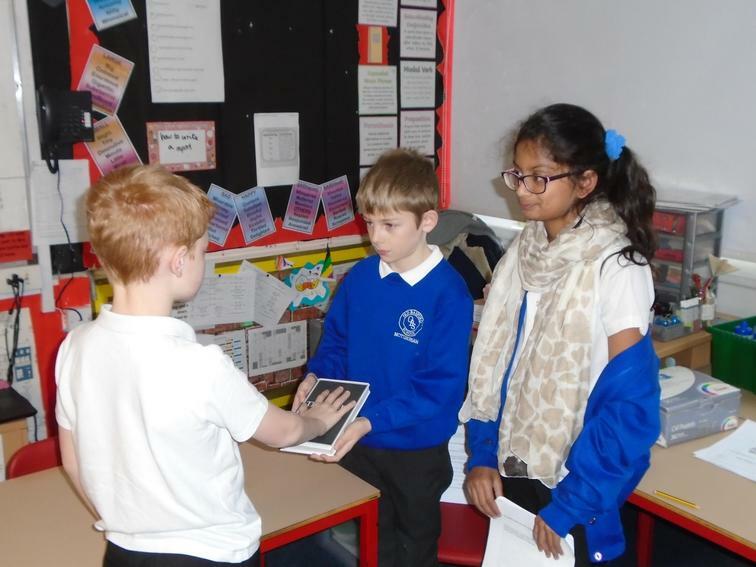 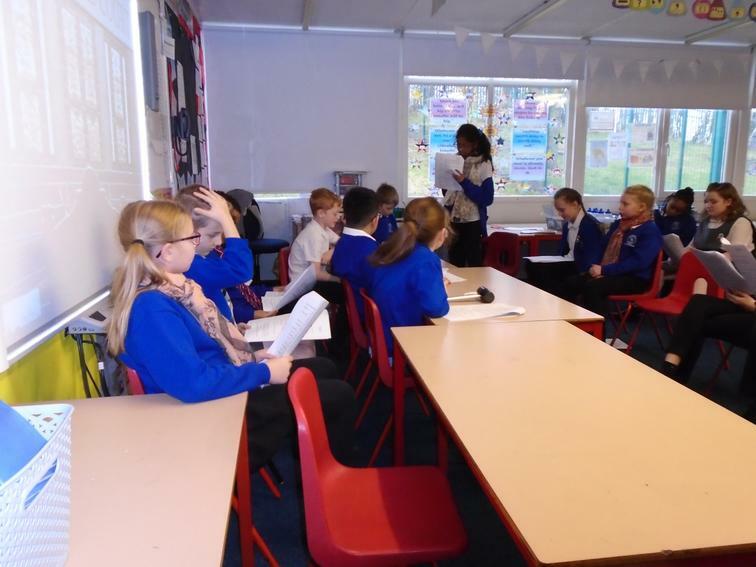 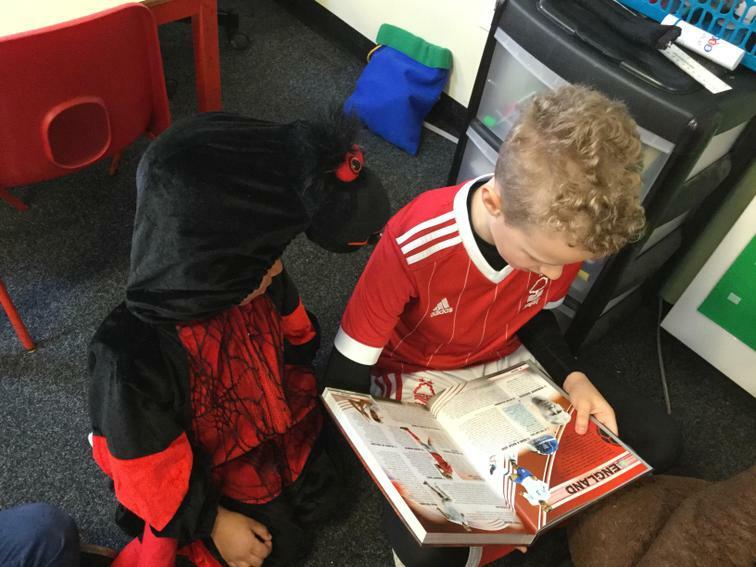 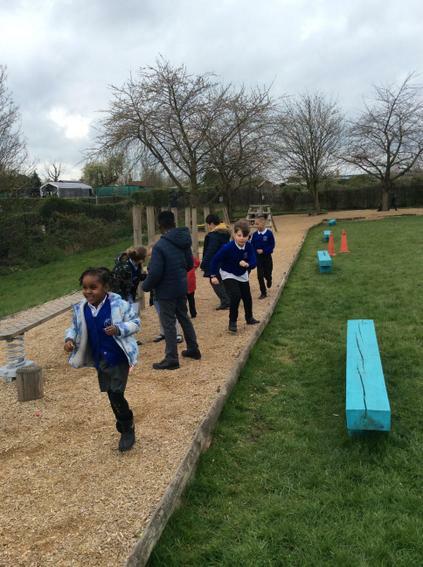 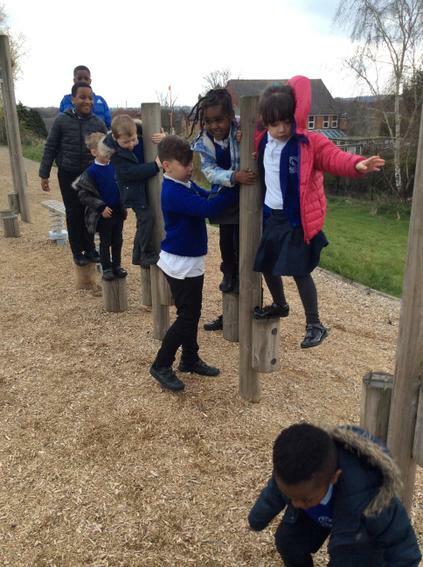 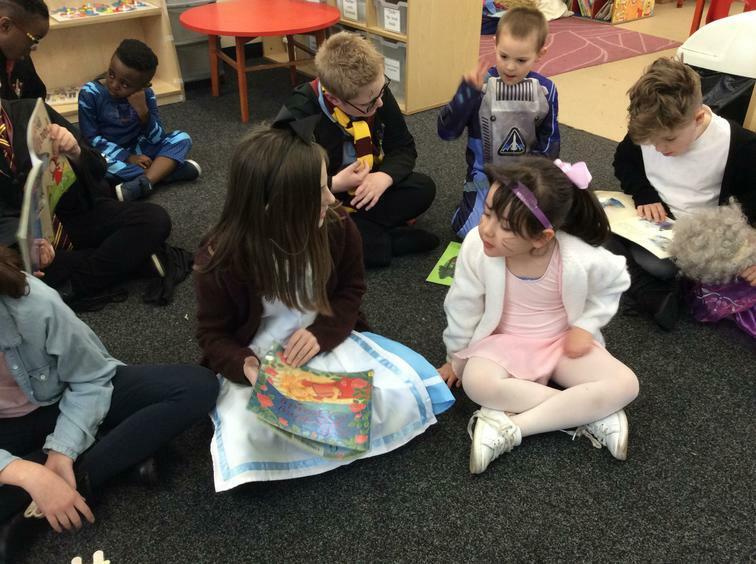 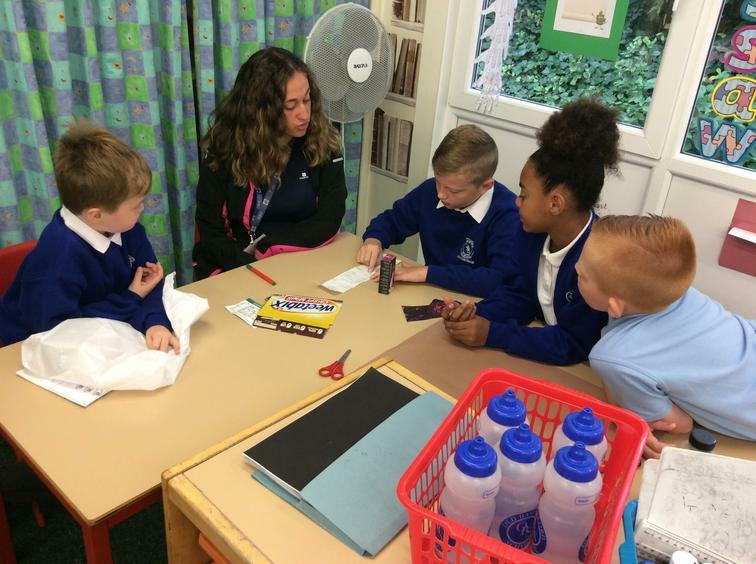 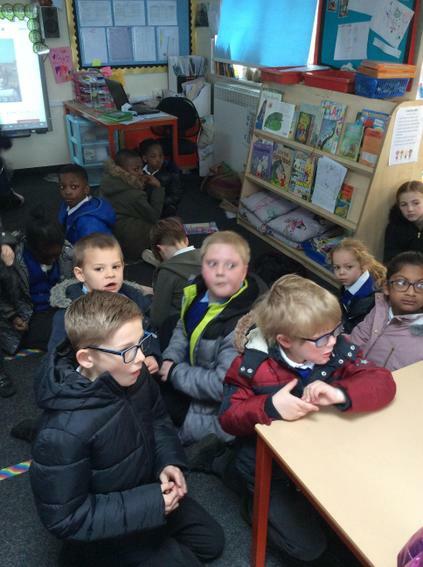 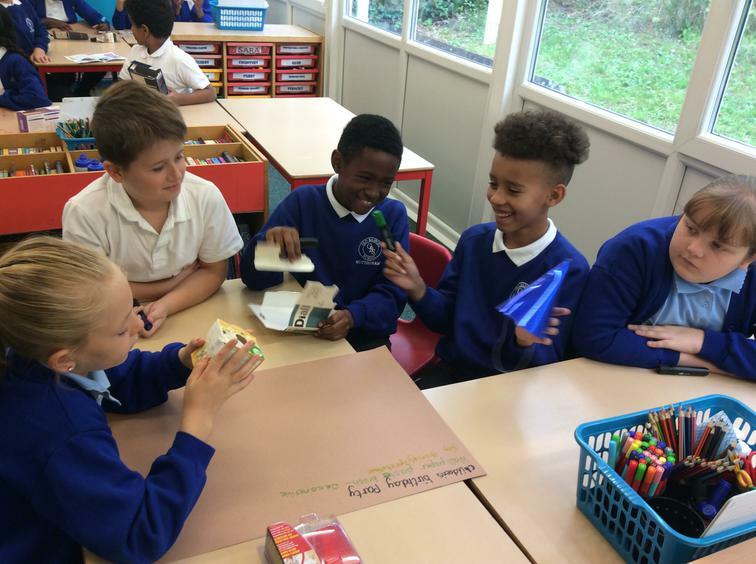 Our topic had an exciting start with our 'WOW Day' where we listened to the sounds and noises of warfare in the trenches and carried out drama, art work and writing based on it. 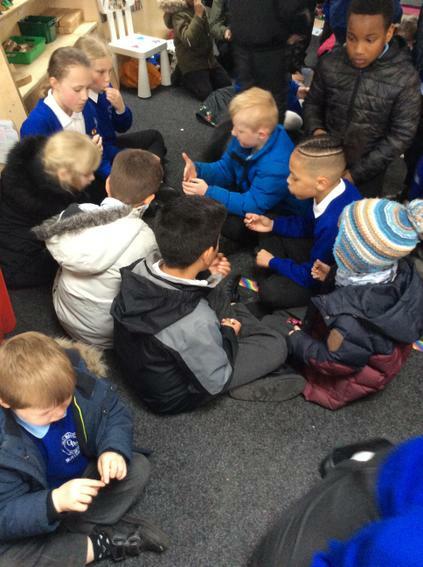 We also made remembrance messages and poppies to take to next term. 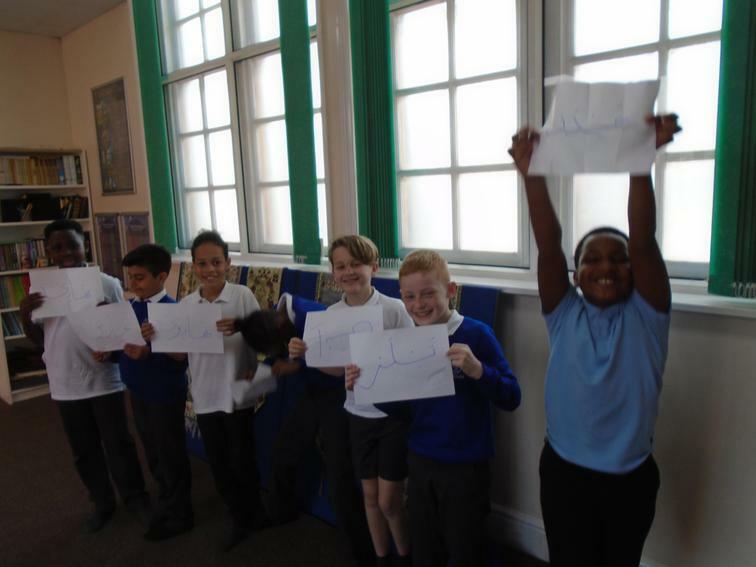 Our day finished with finding out some WOW facts about WW1 using the internet. 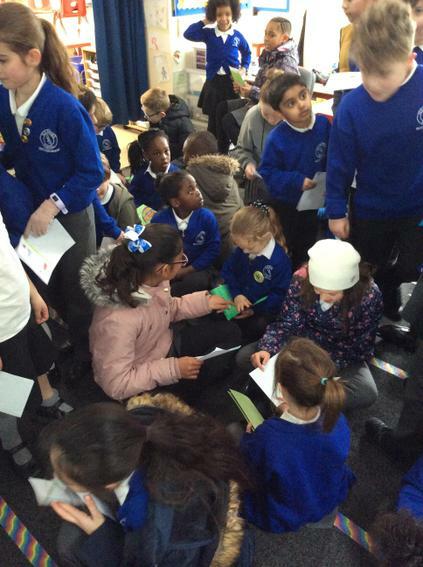 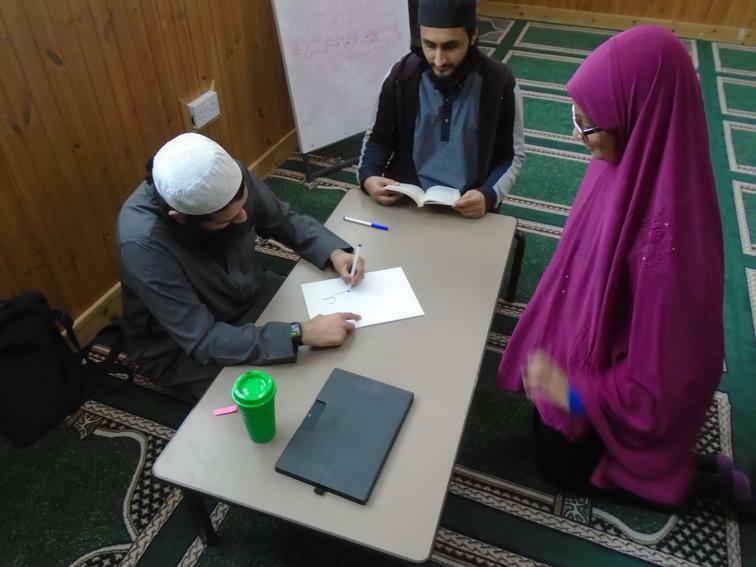 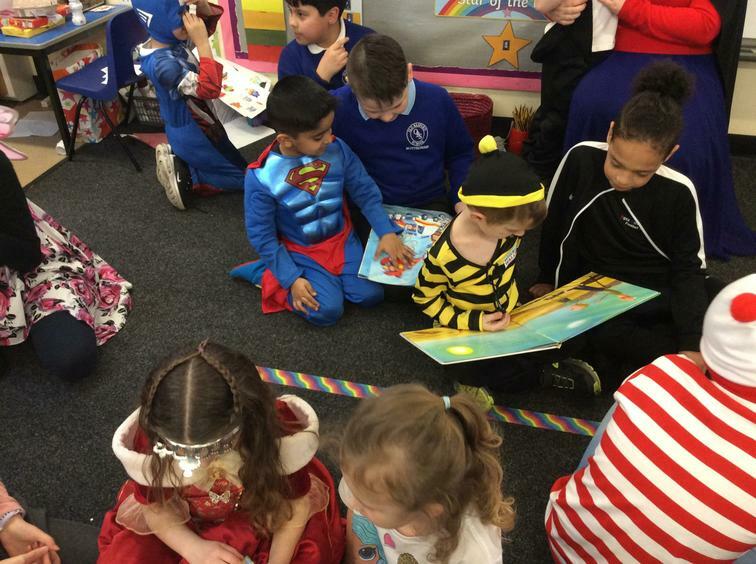 A fun and informative day was had by all! 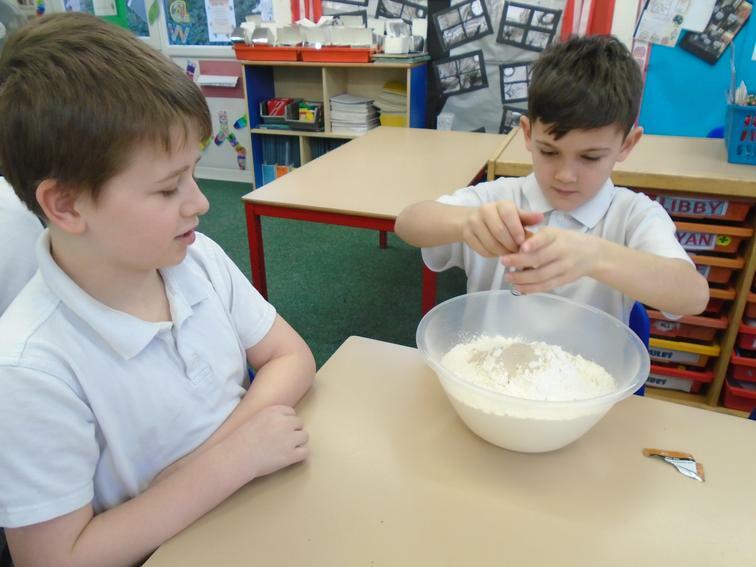 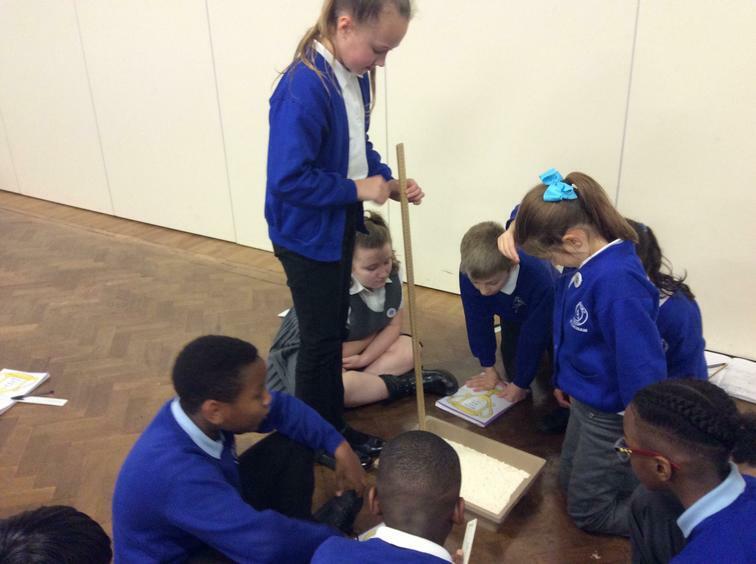 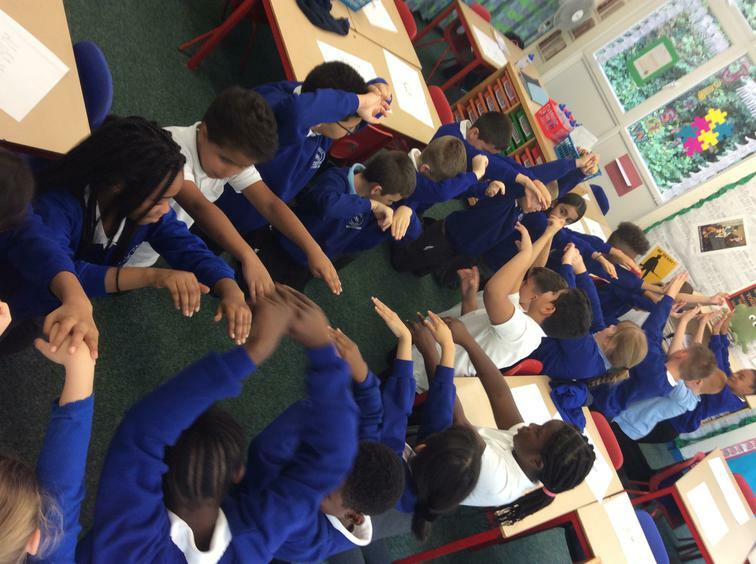 As part of our science work, we mixed up some trench water to link with our topic of World War 1. 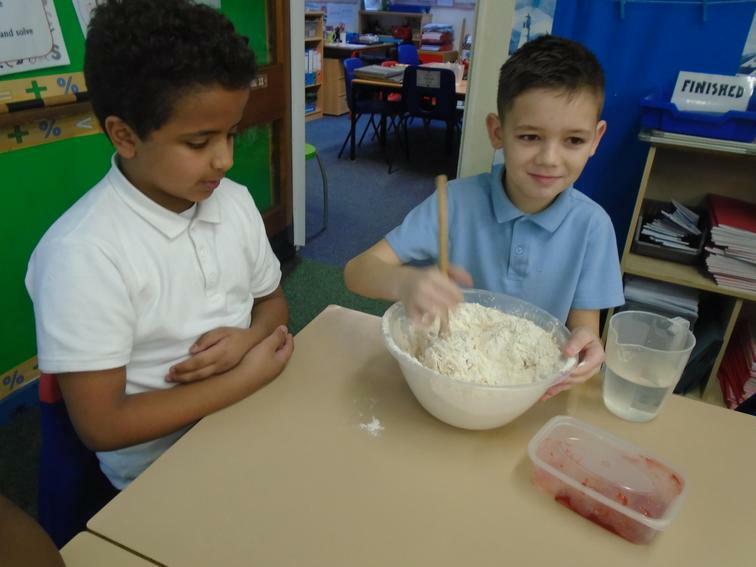 We mixed up water, oil, shrapnel (paper clips), stones (marbles) and soil. 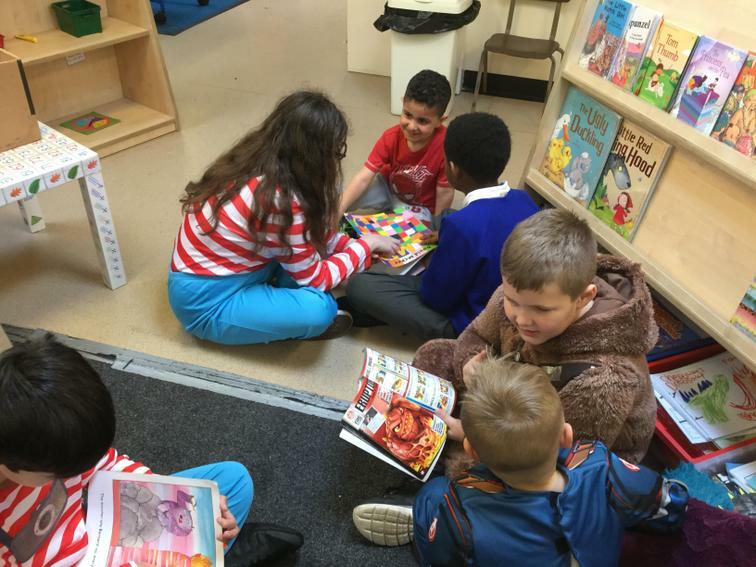 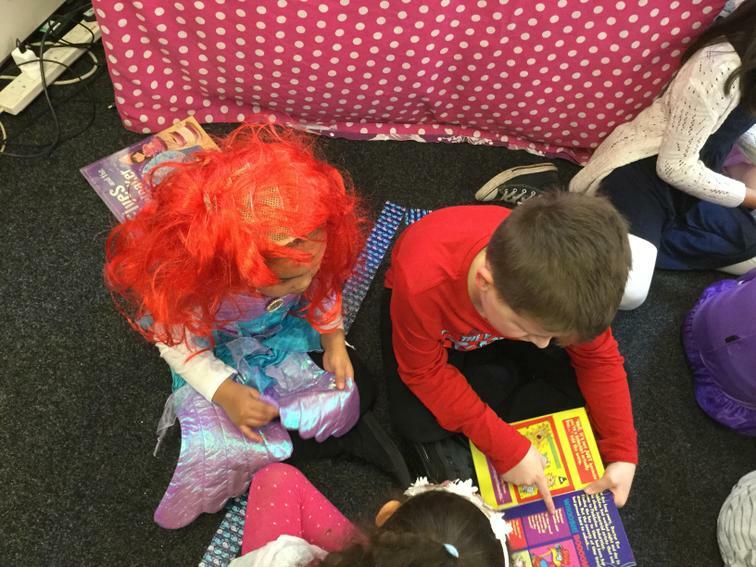 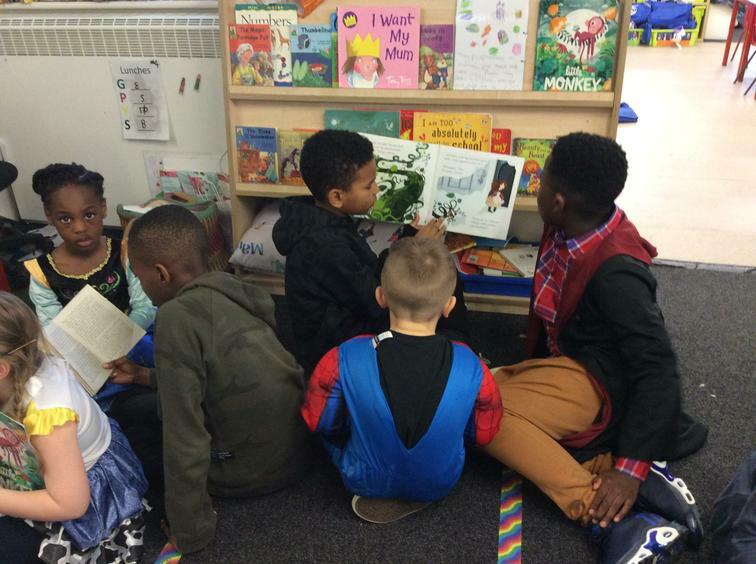 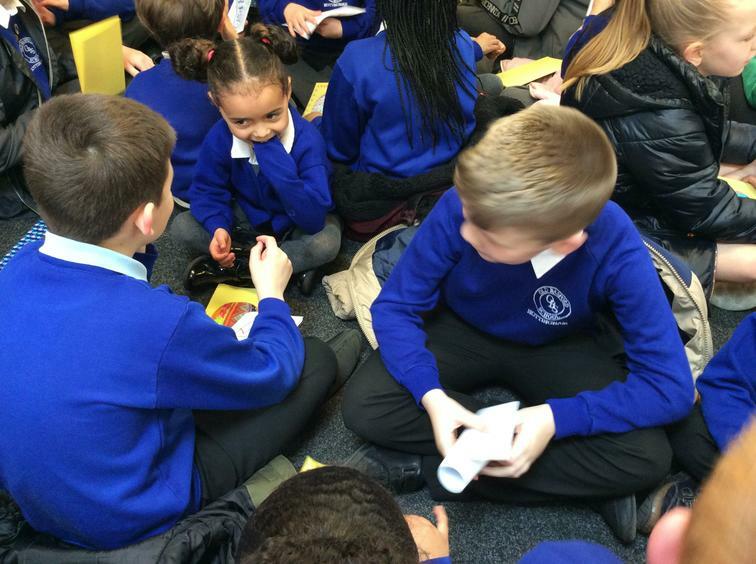 In groups, children planned, predicted and used a variety of resources to separate each component part.